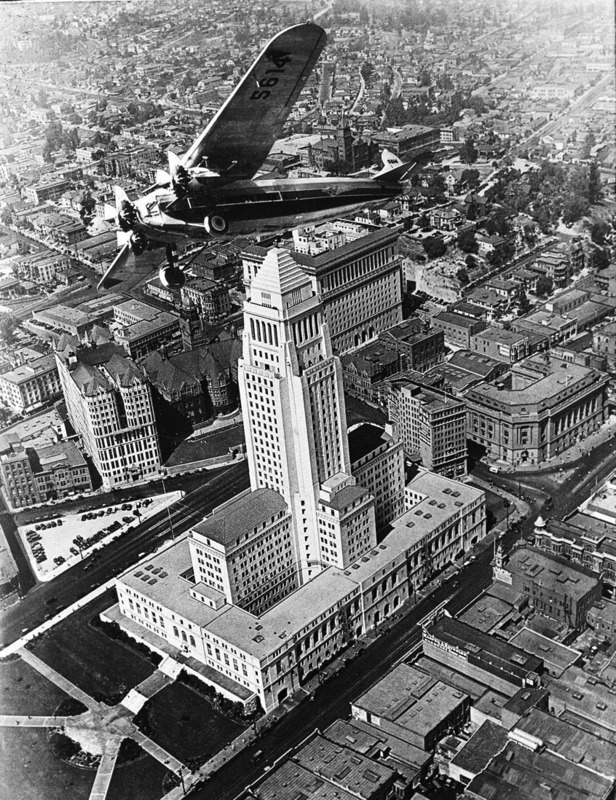 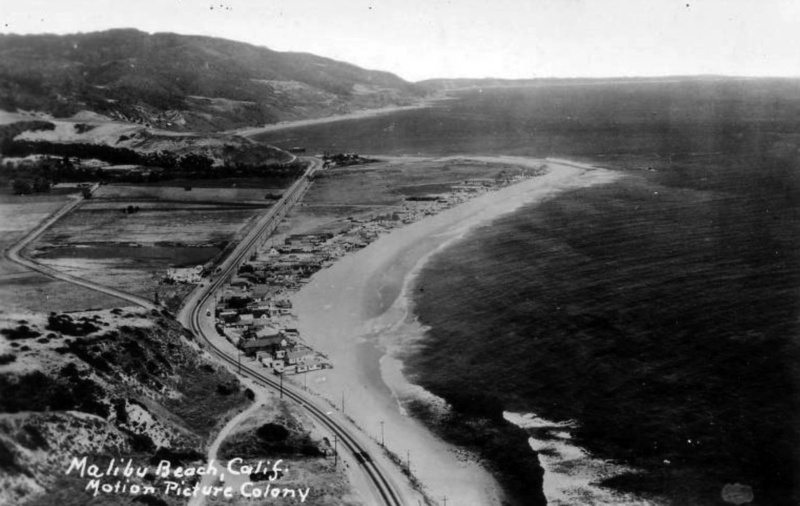 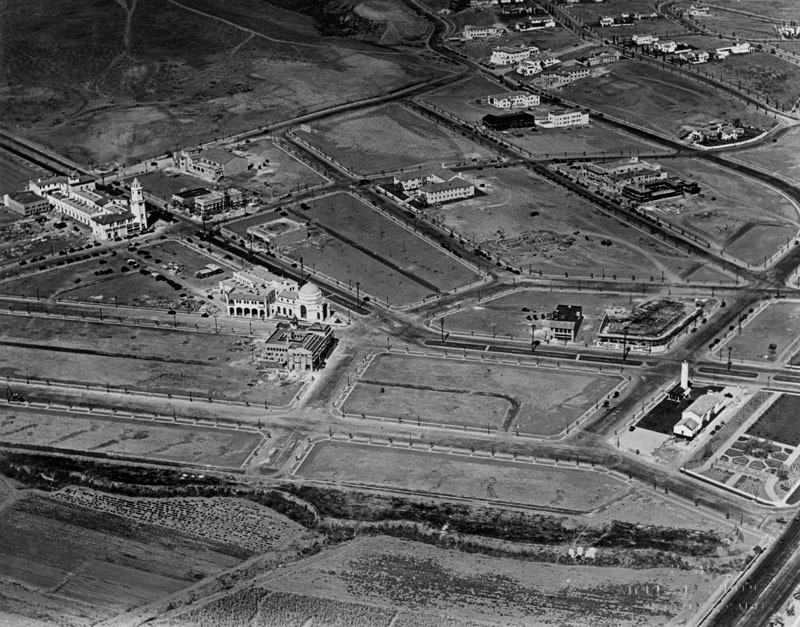 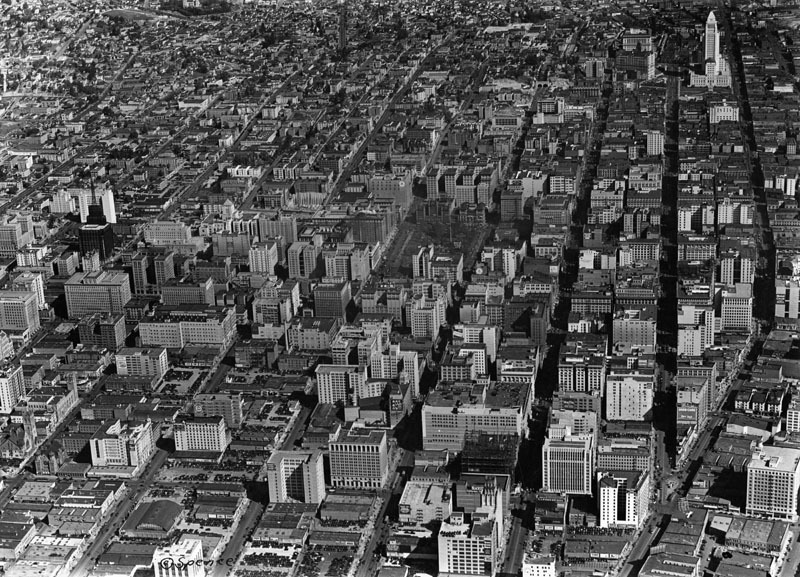 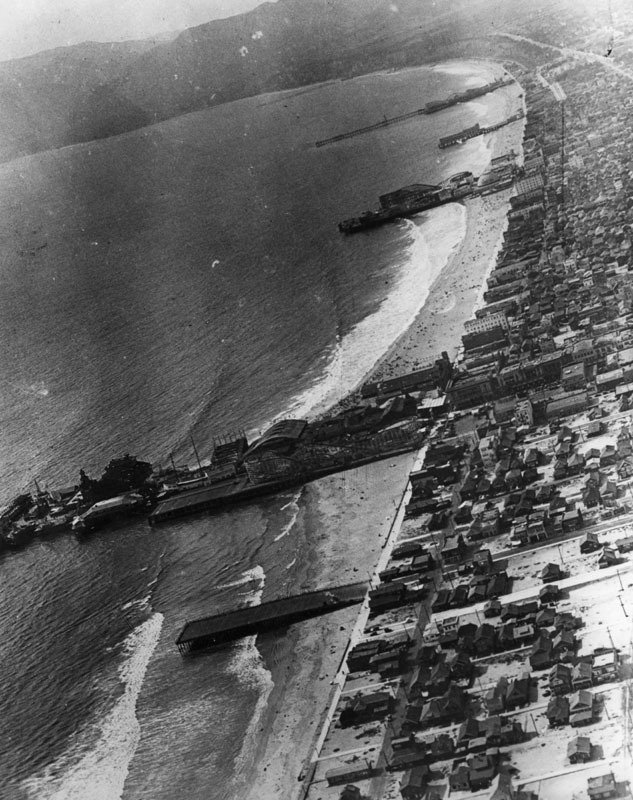 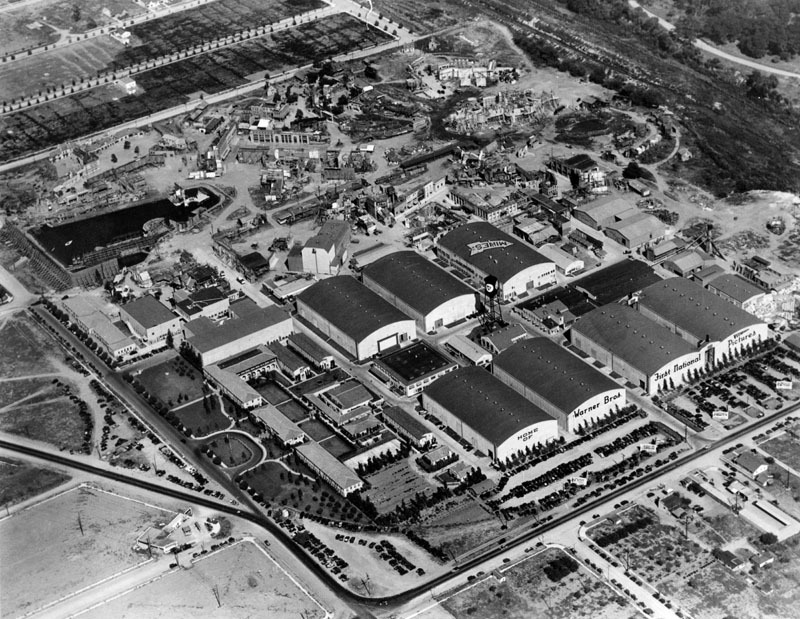 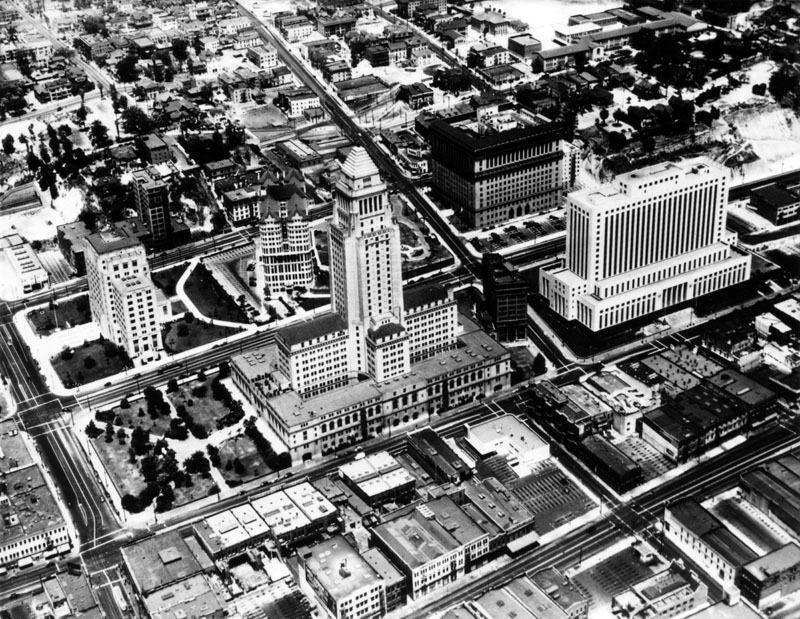 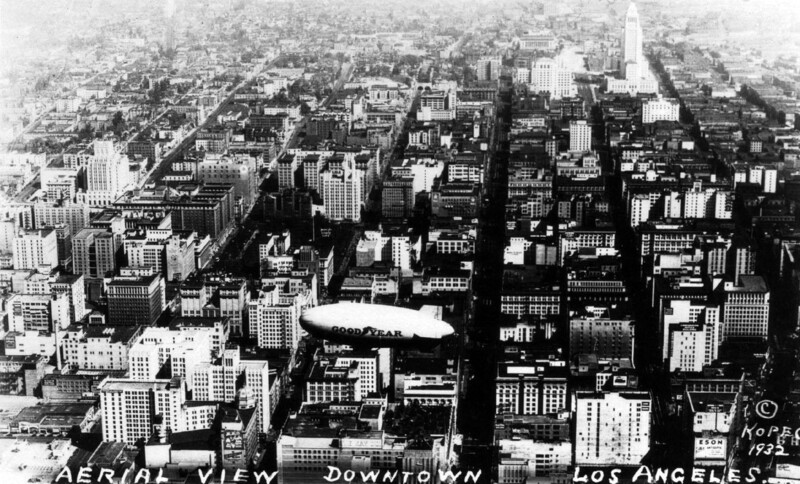 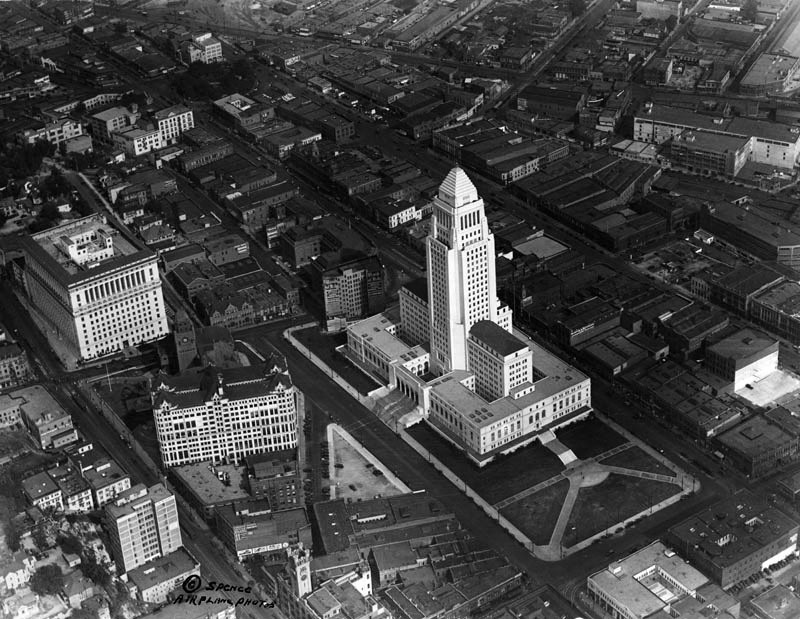 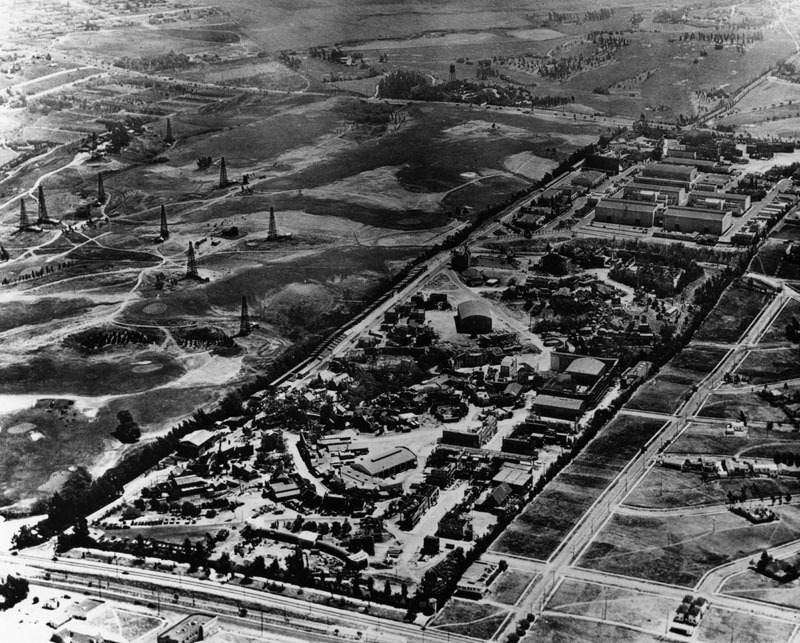 (1929)^ - An aerial view of the new U.C.L.A. 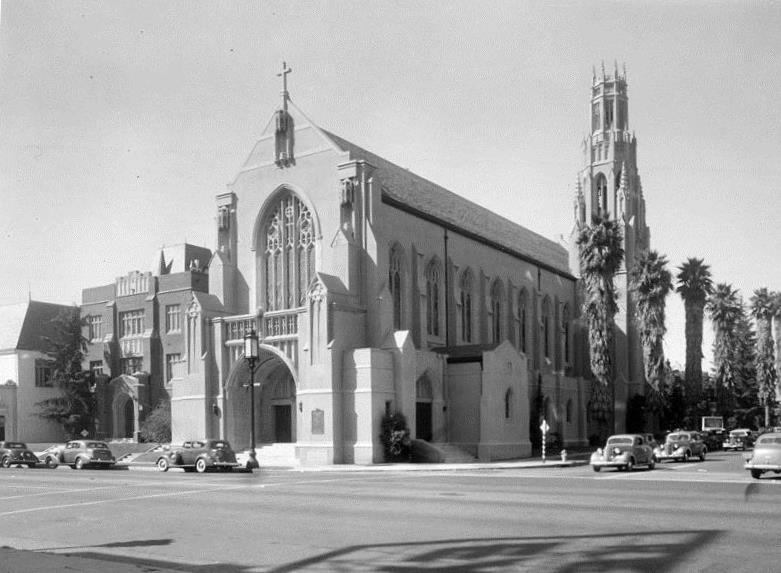 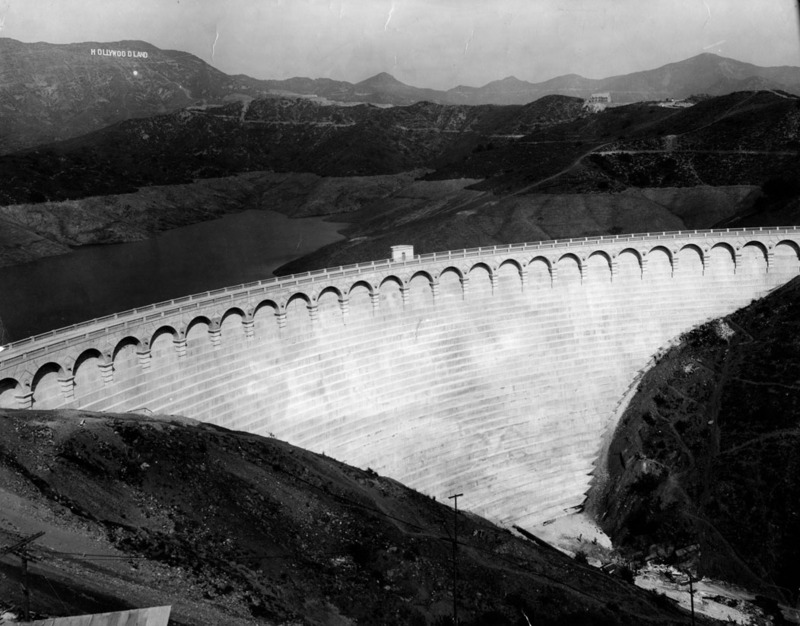 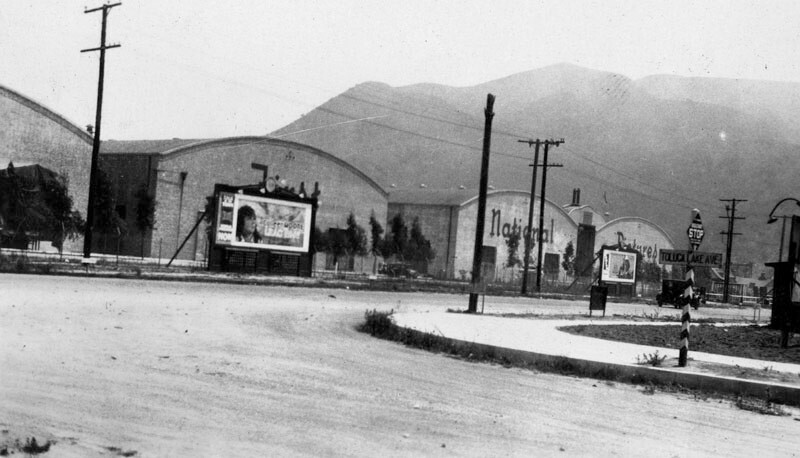 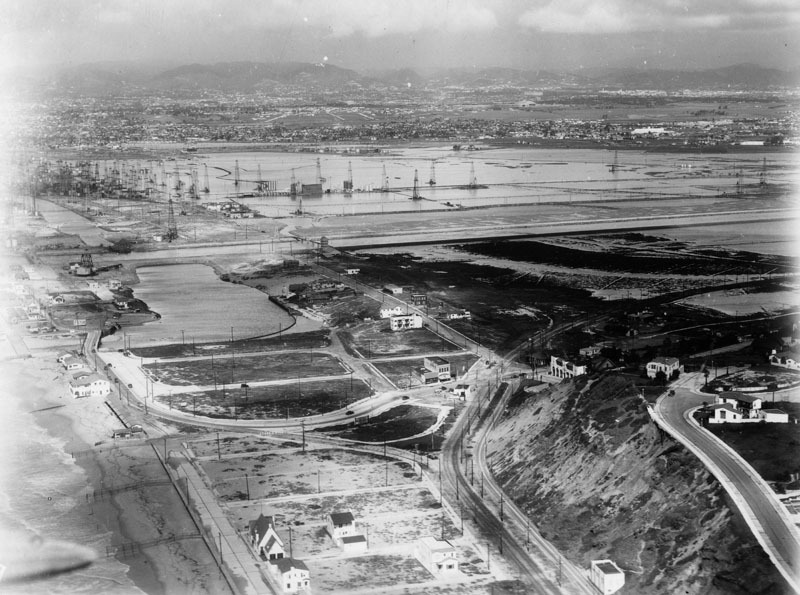 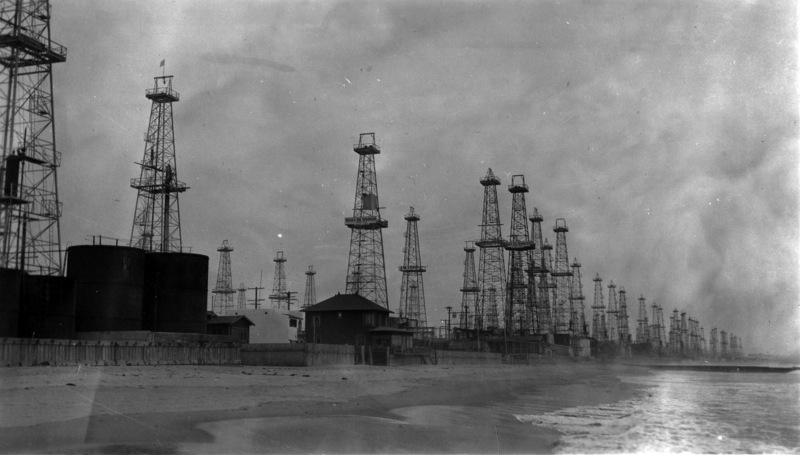 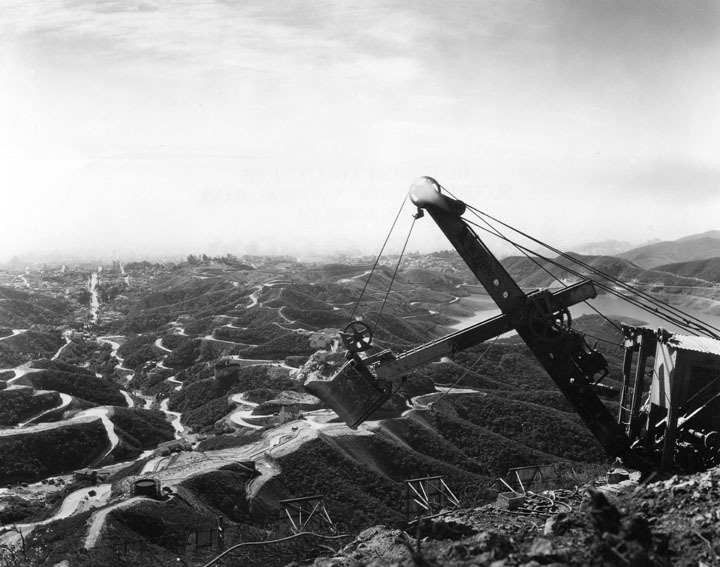 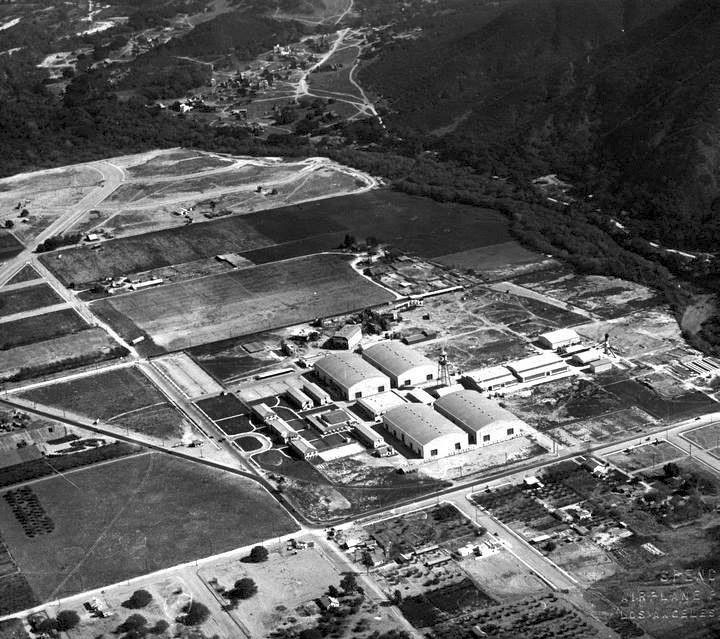 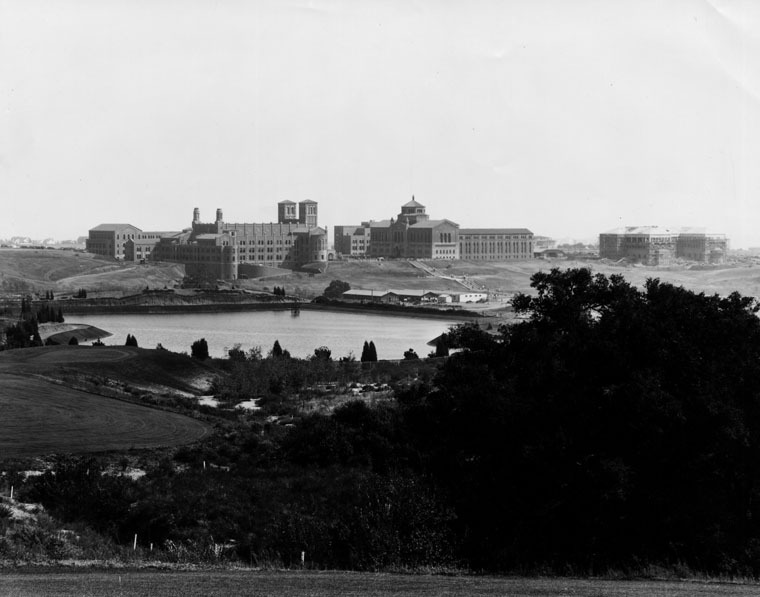 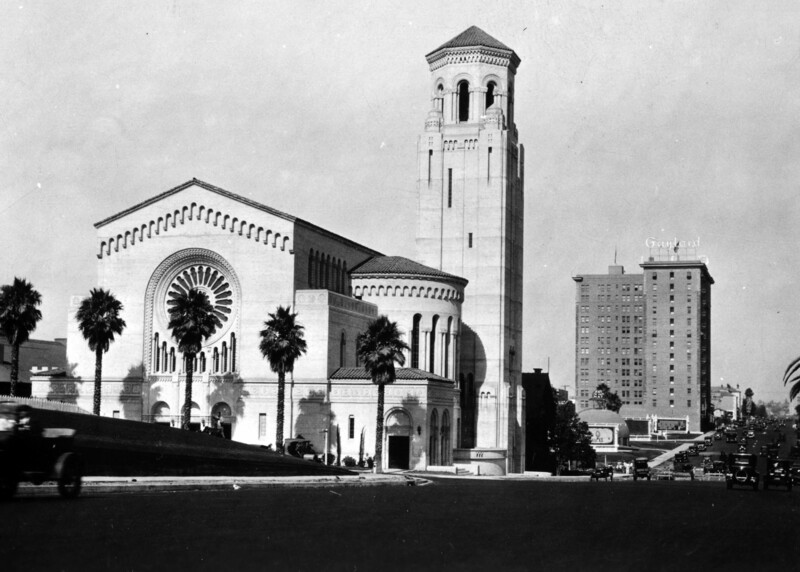 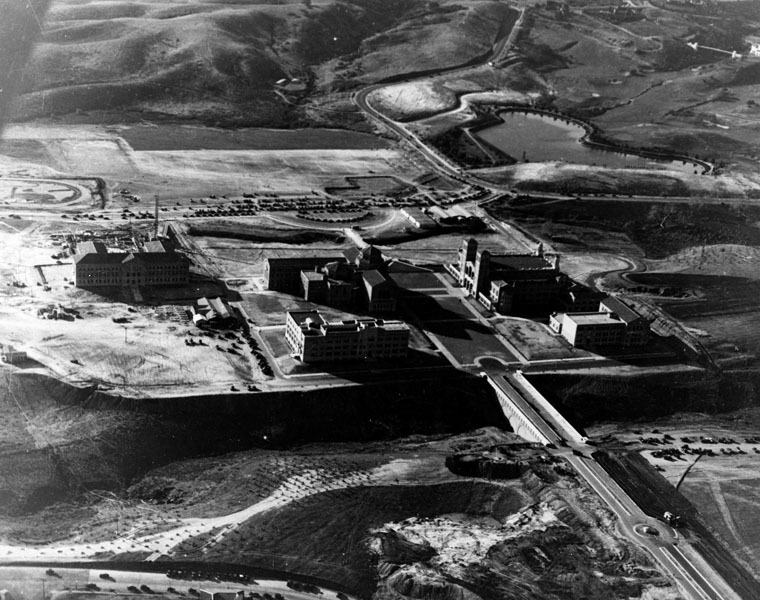 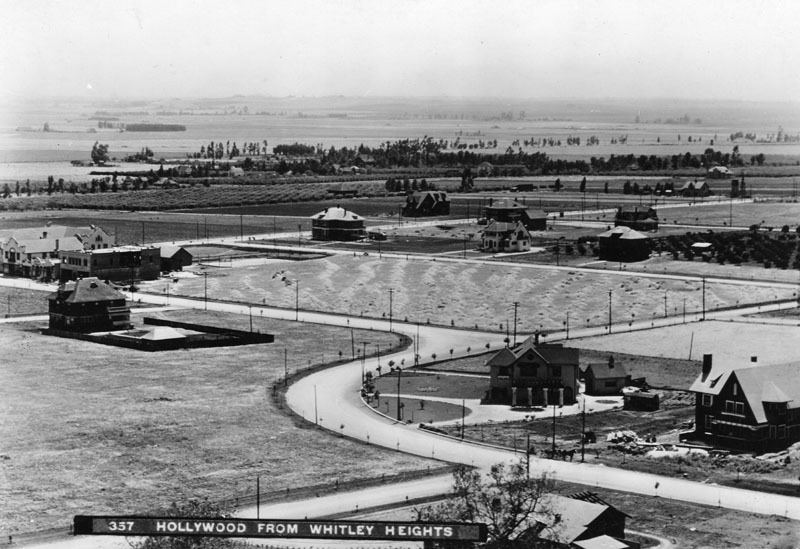 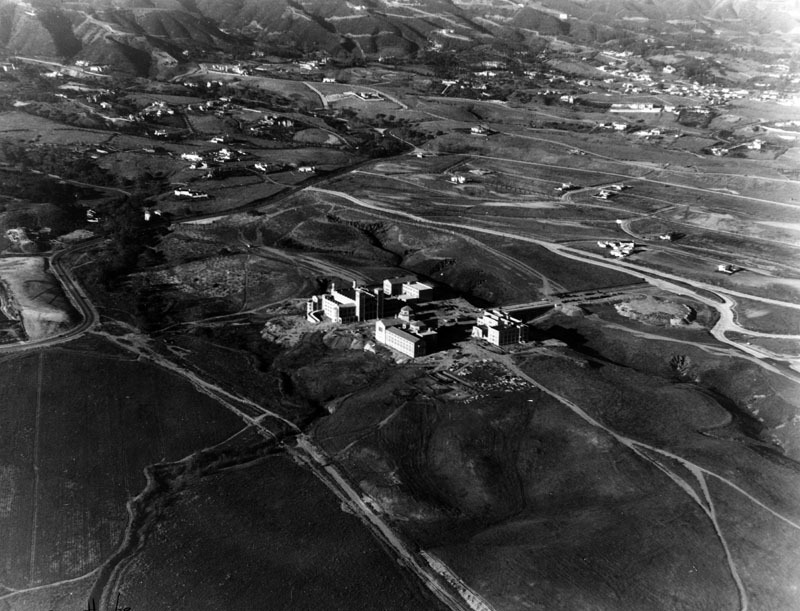 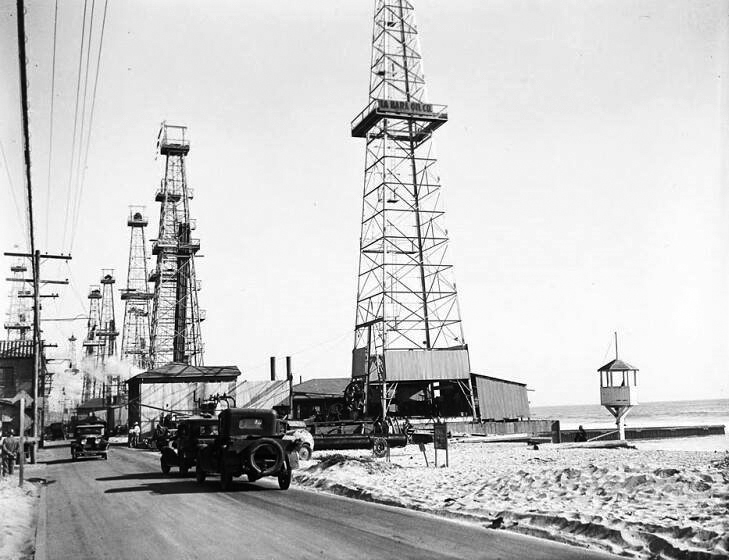 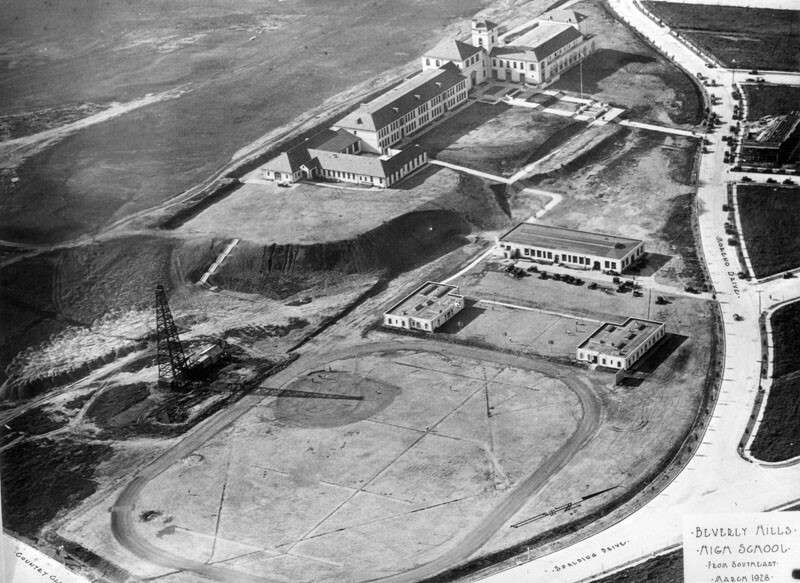 Westwood campus, looking west, as construction was completed in 1929. 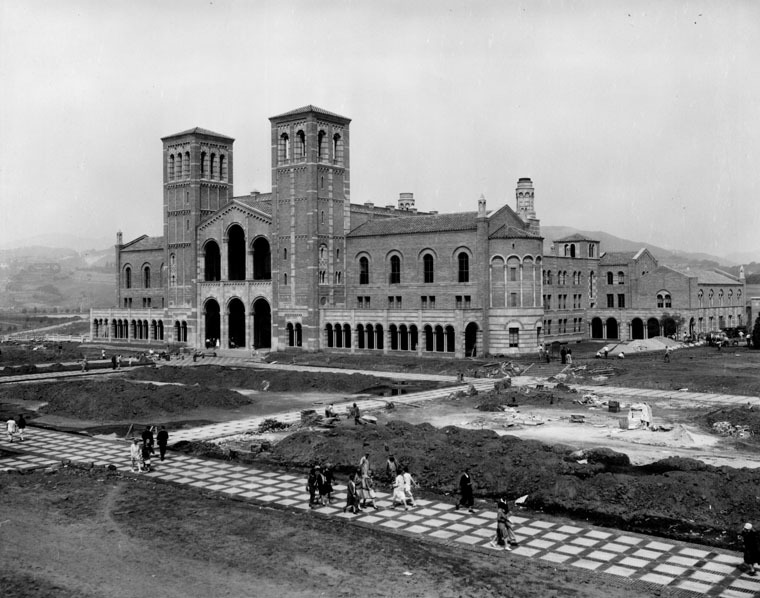 Buildings from left to right: Moore Hall, then called the Education Building, left; Physics Building, foreground center; Powell Library, back center; Royce Hall, back right; and Haines Hall, far right. 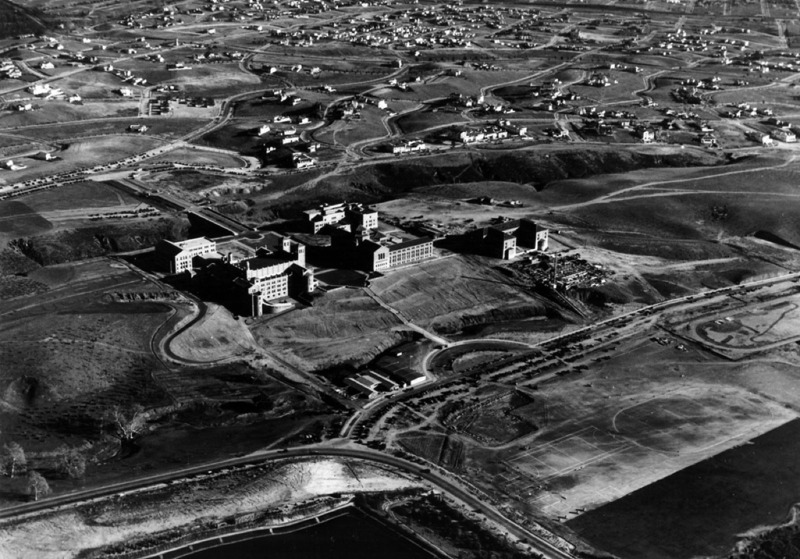 The main campus quadrangle appears at the center. 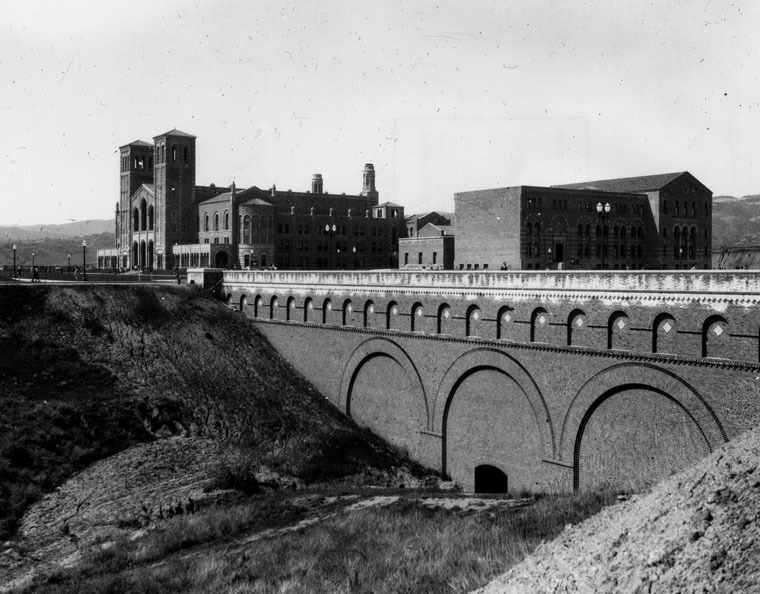 In the foreground is Arroyo Bridge which connected the campus to Hilgard Avenue. 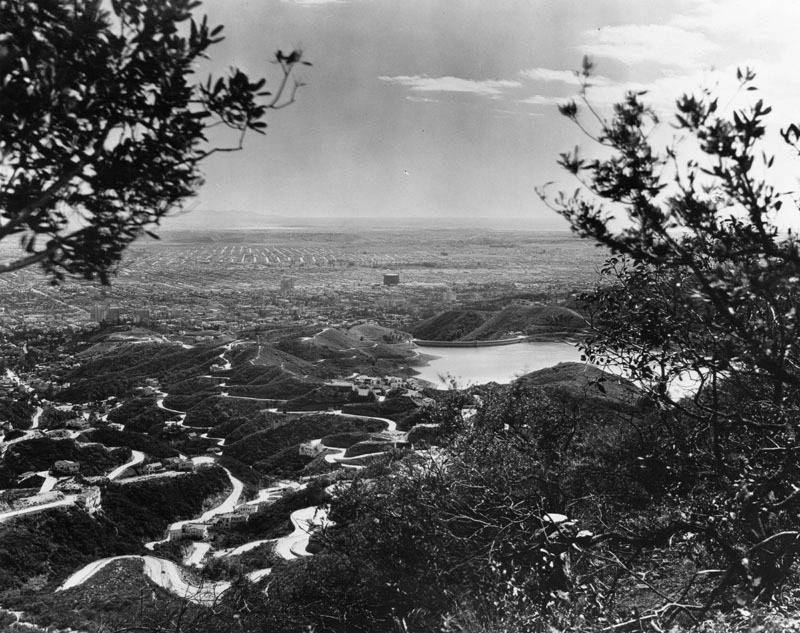 The gully which the bridge crossed was filled-in after World War II. 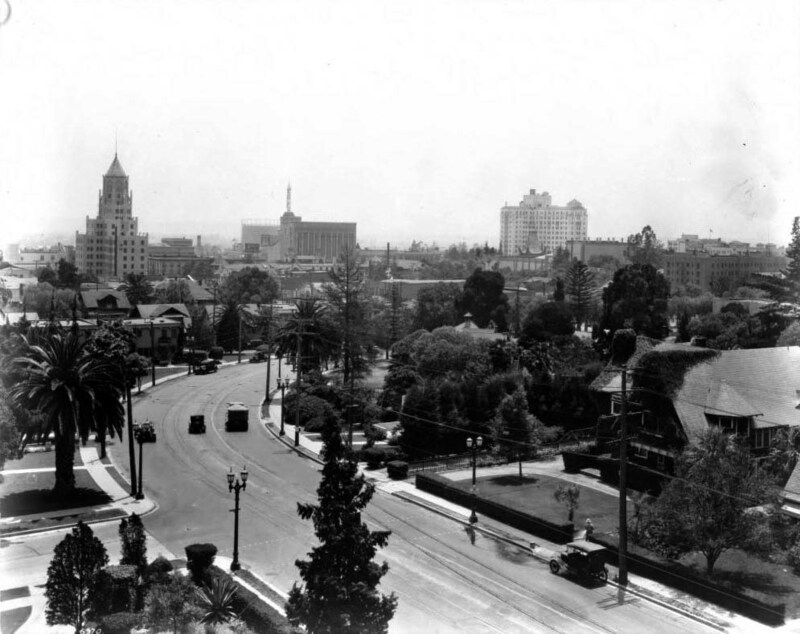 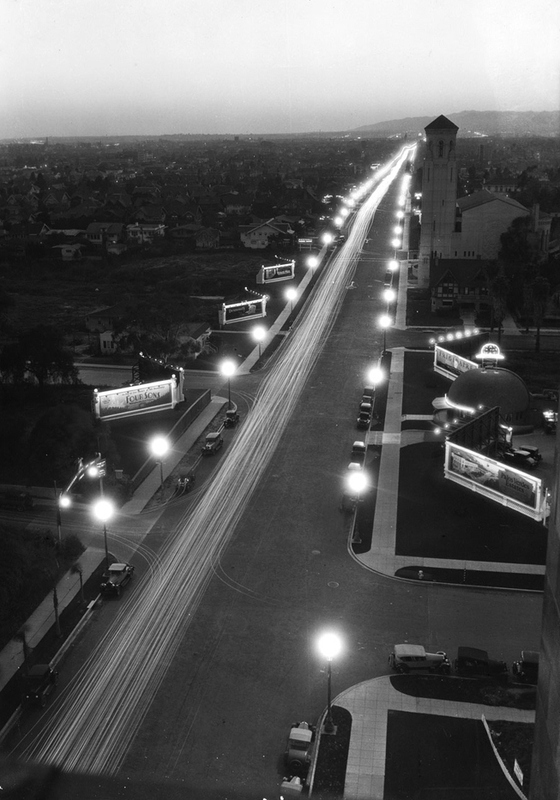 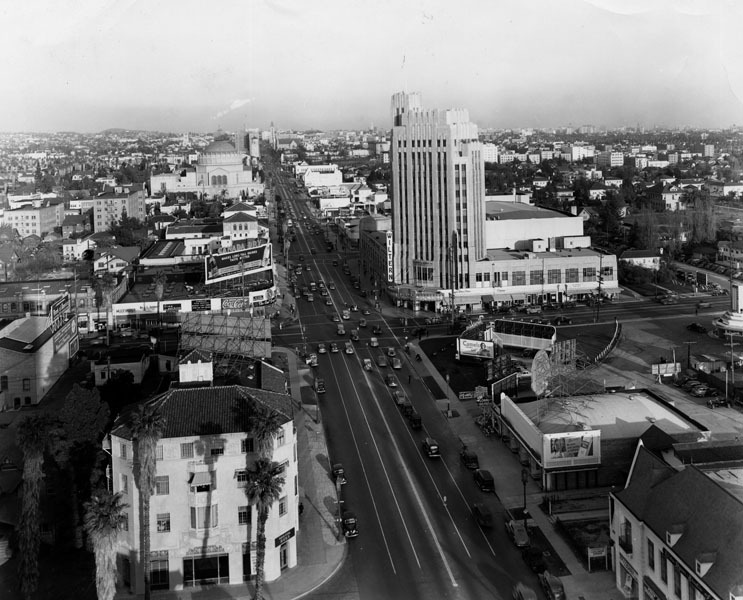 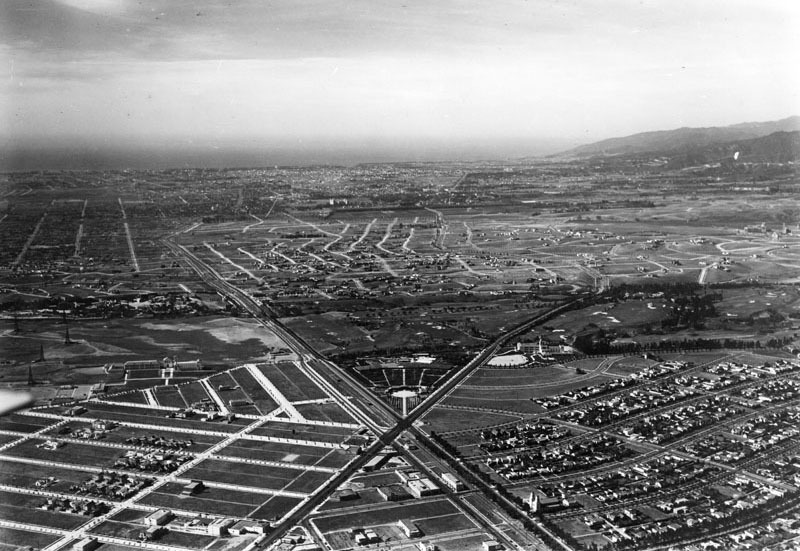 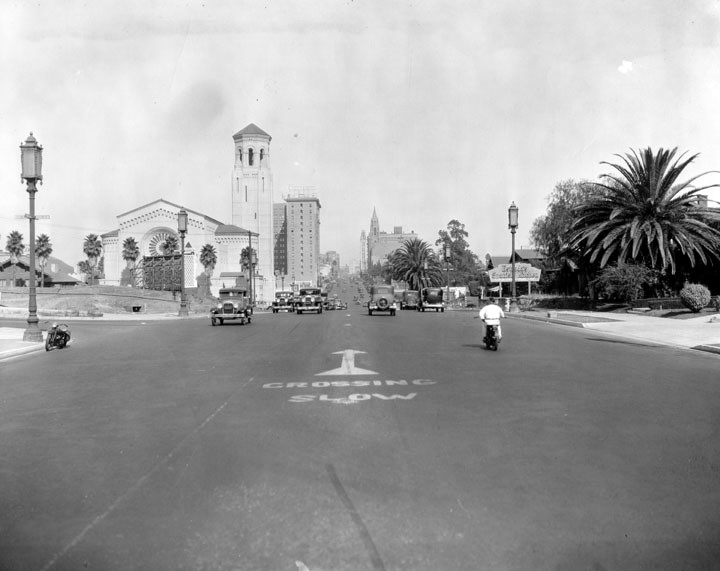 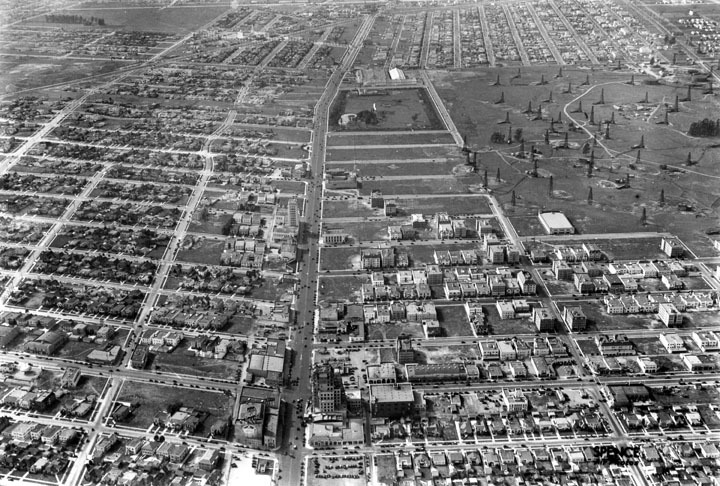 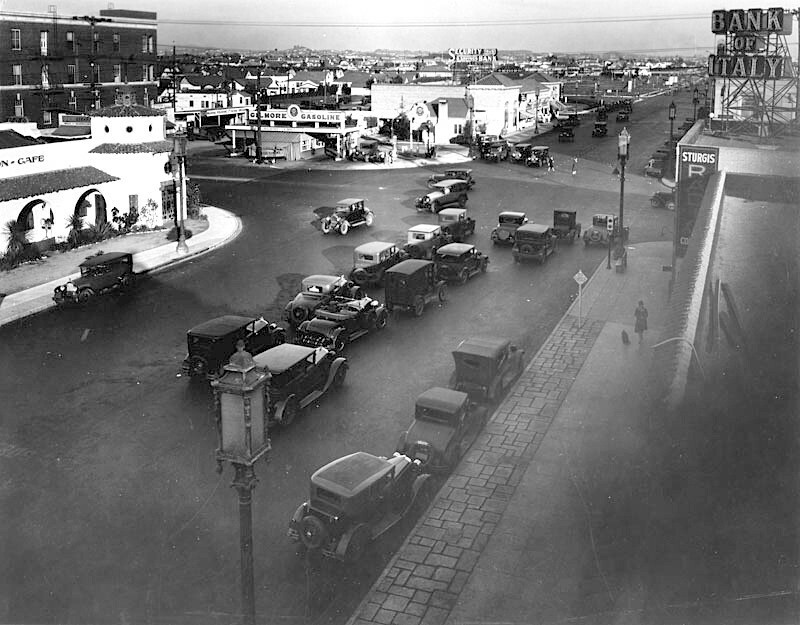 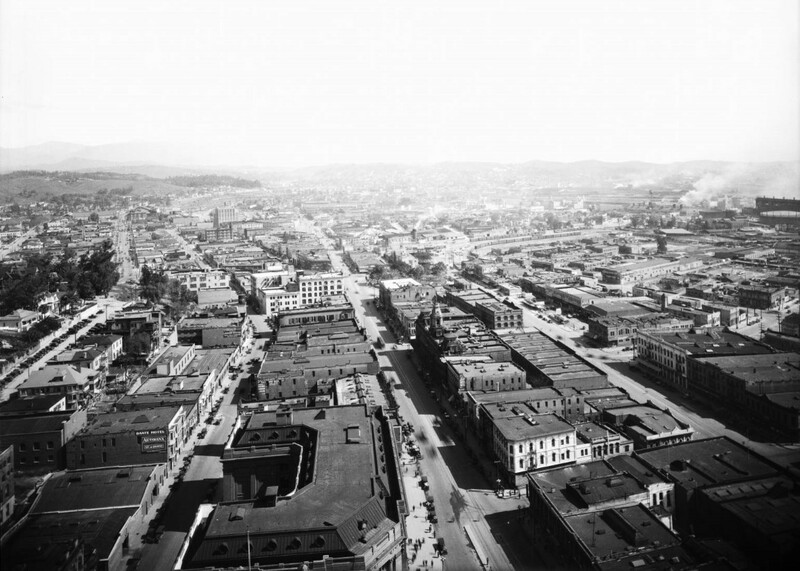 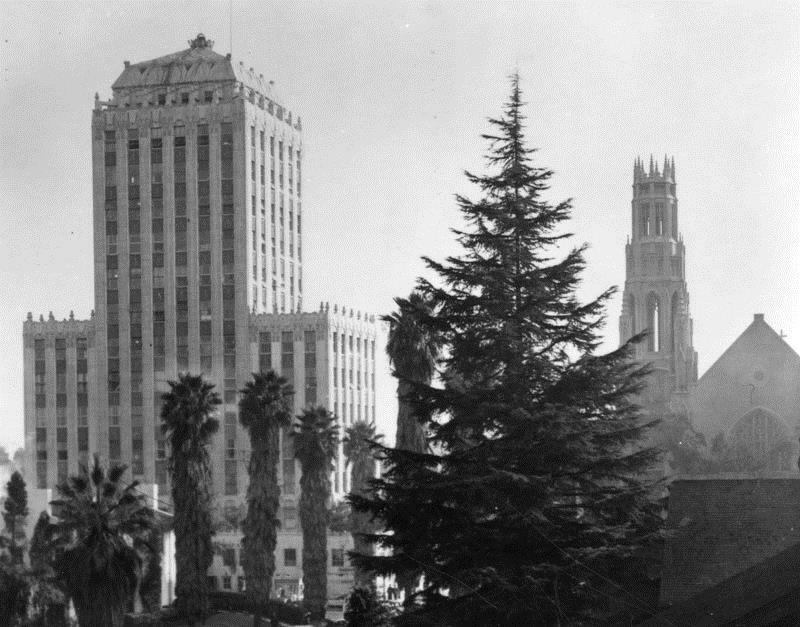 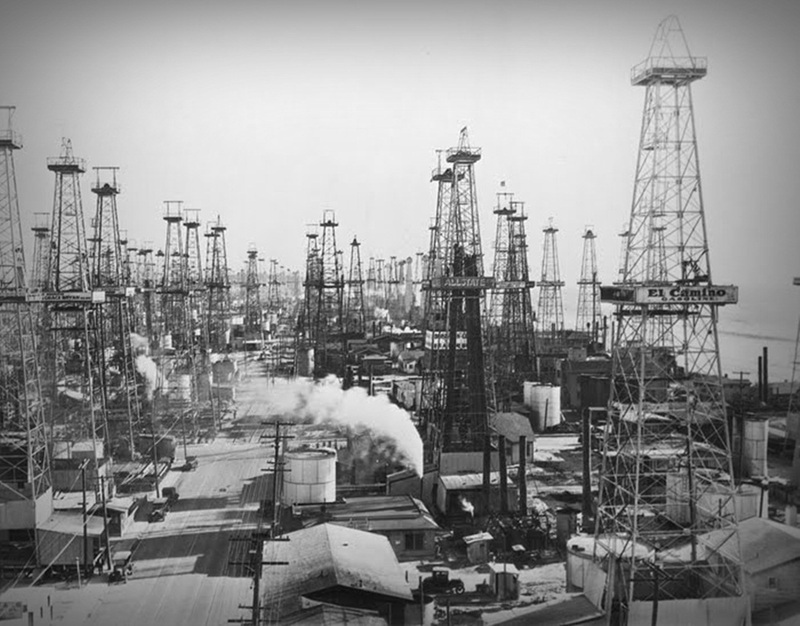 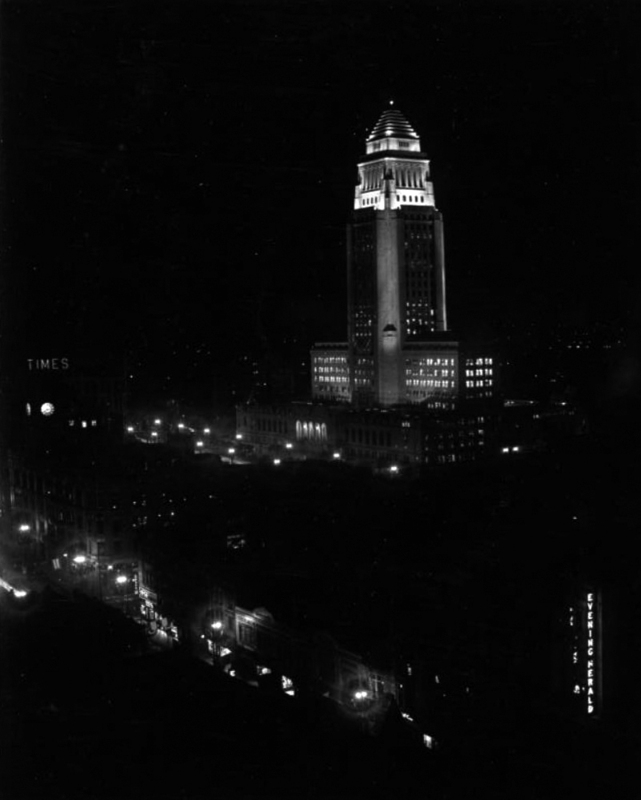 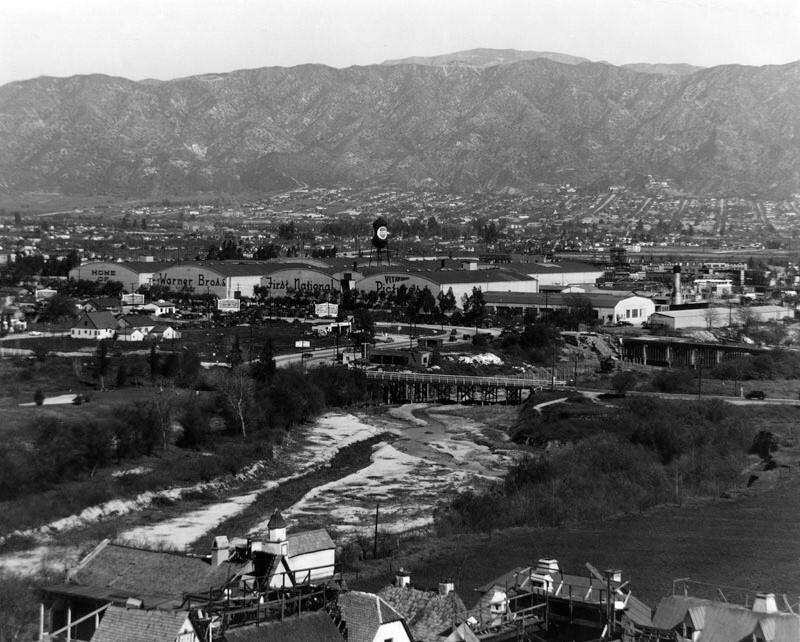 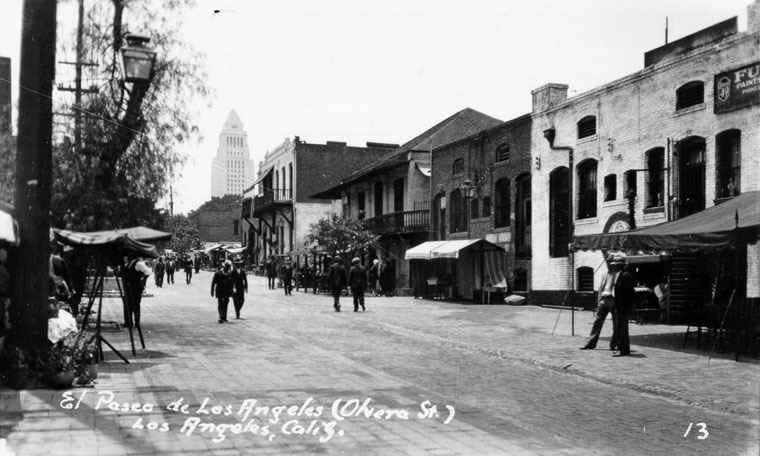 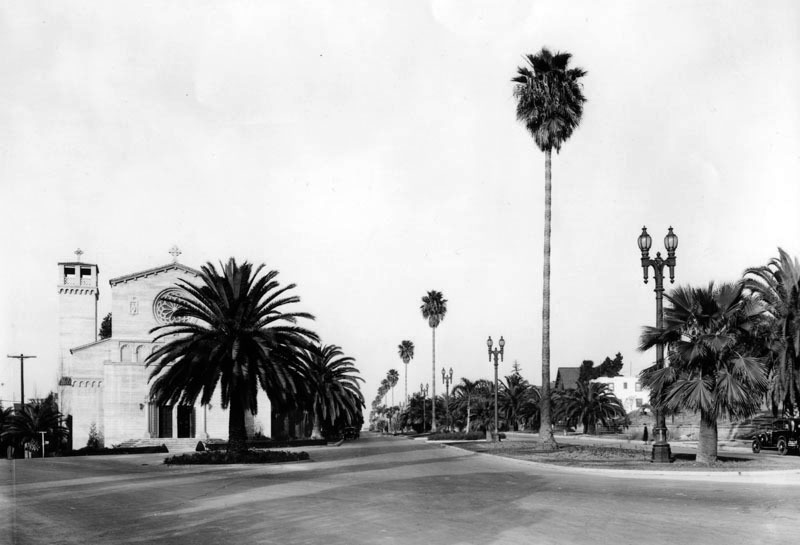 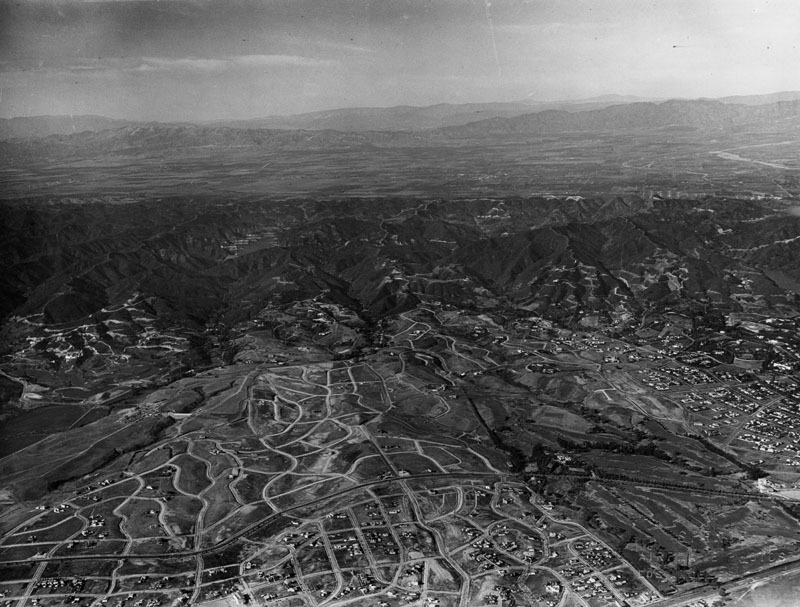 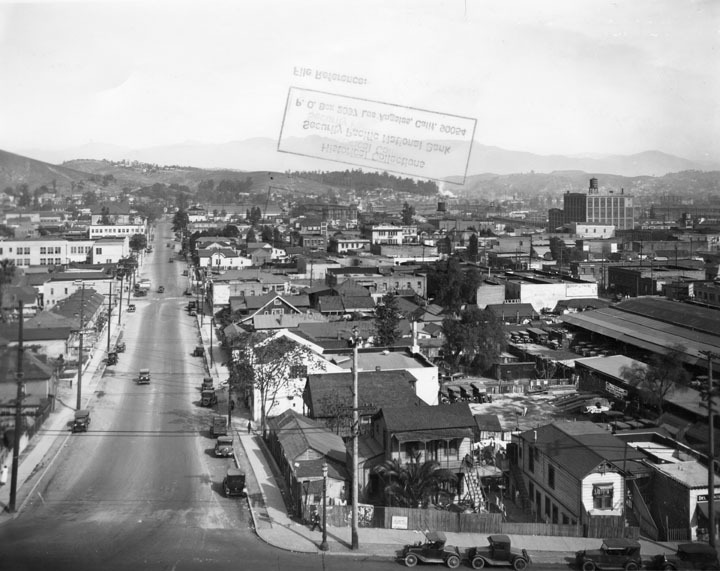 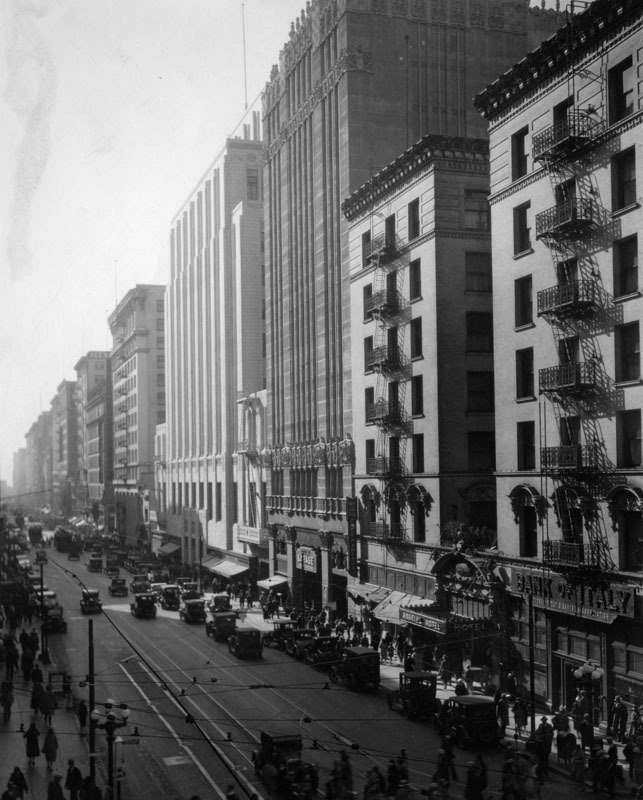 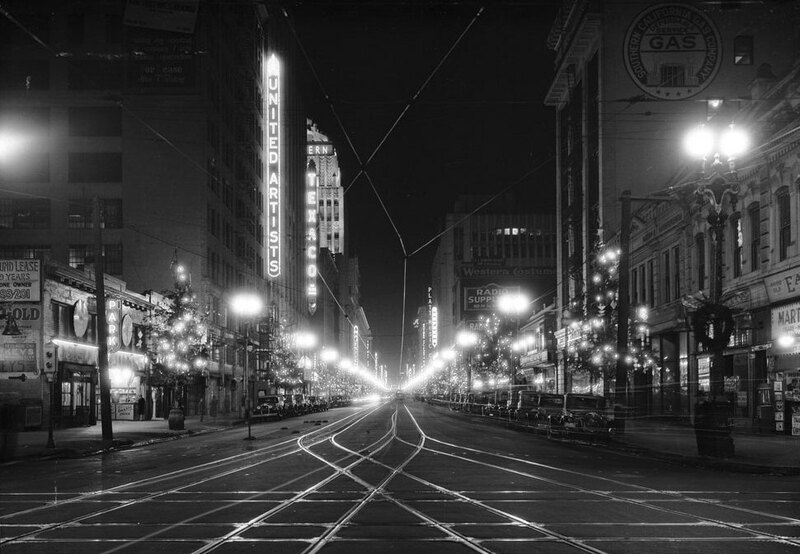 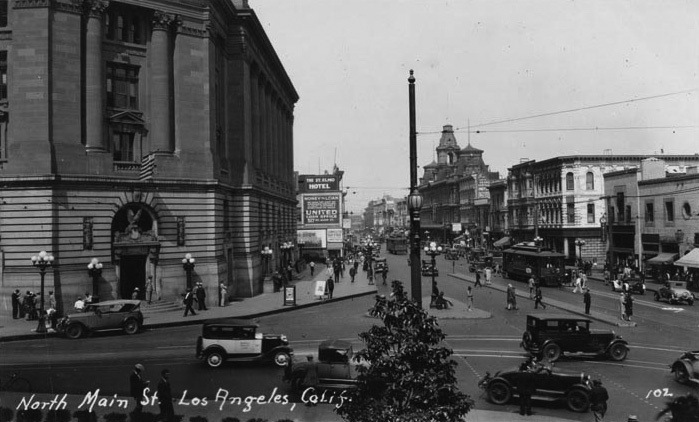 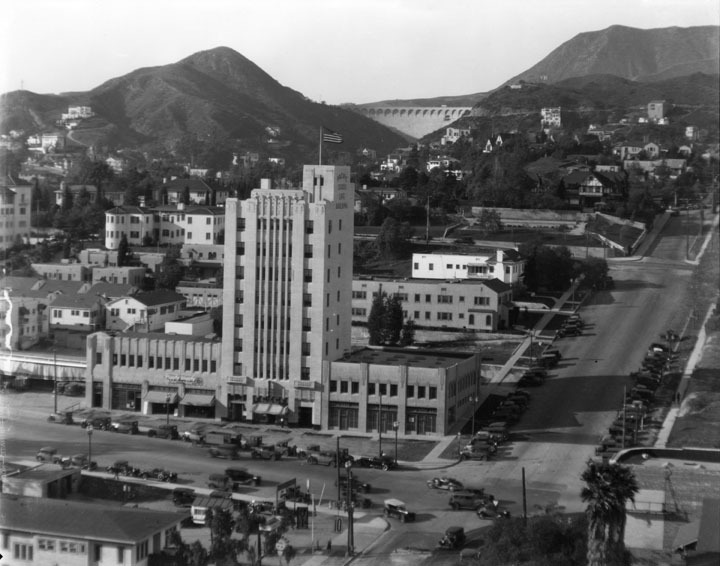 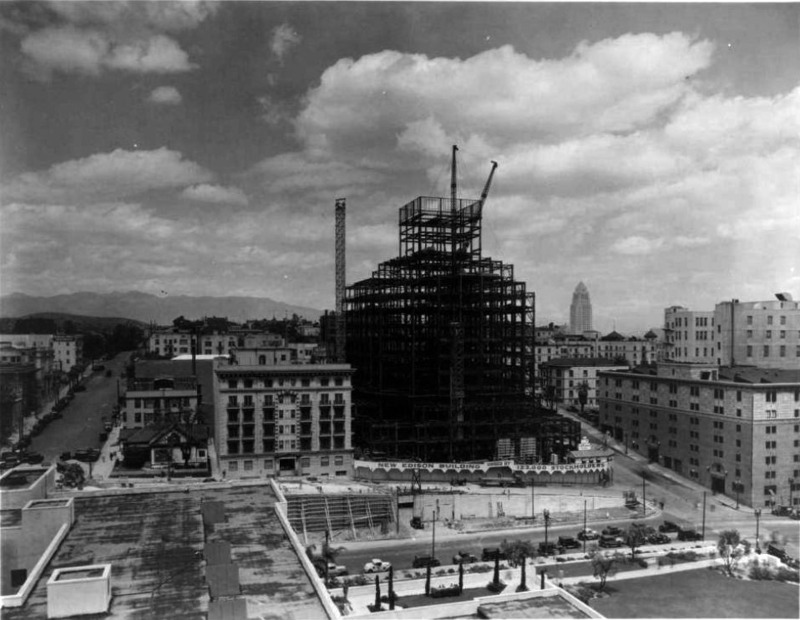 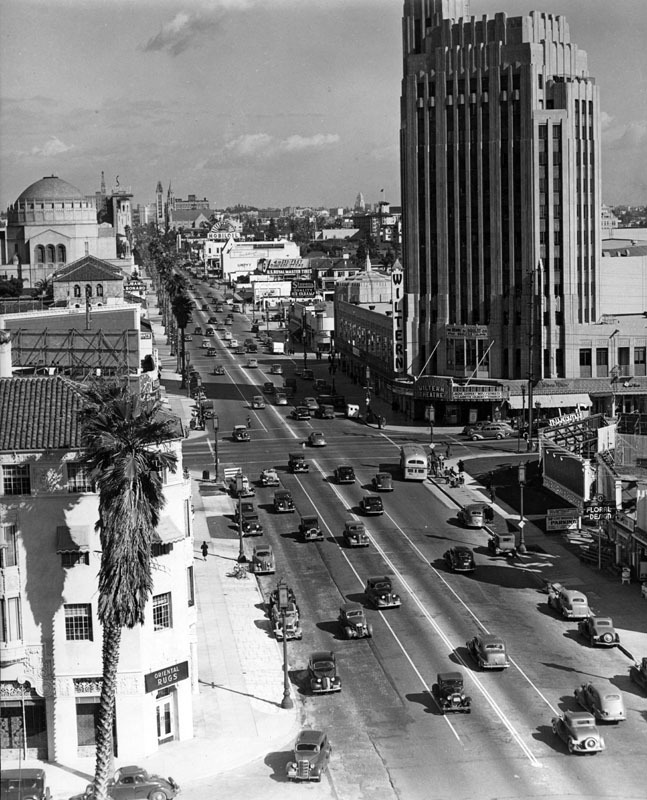 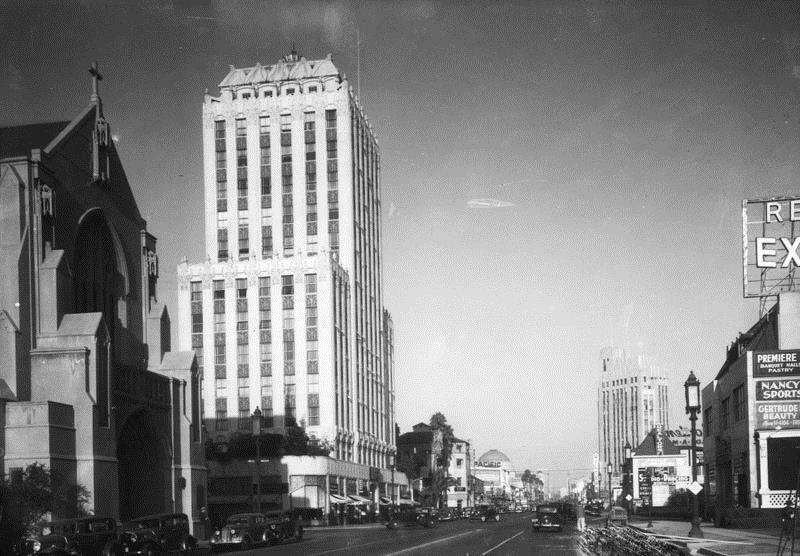 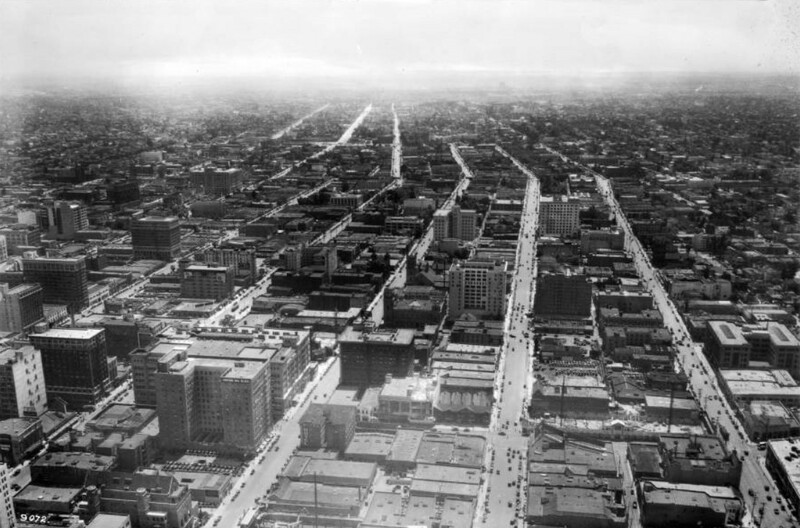 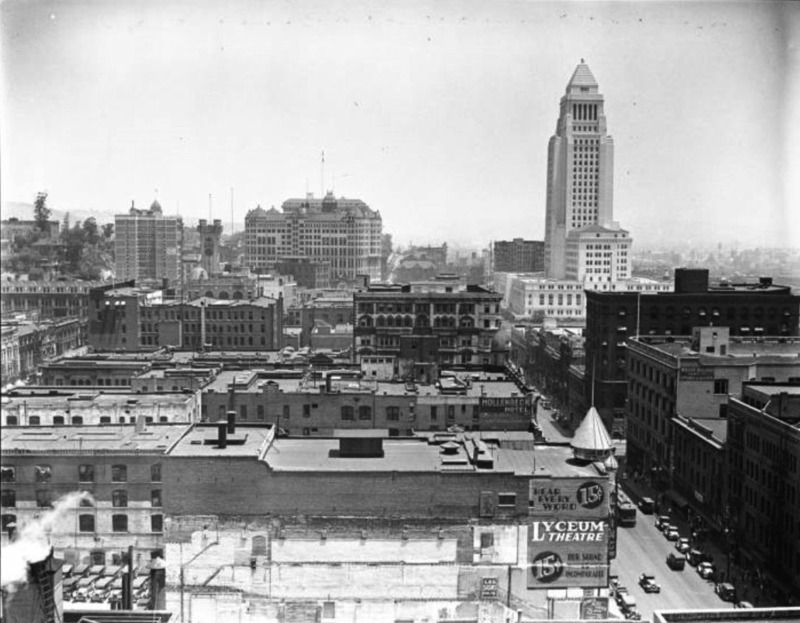 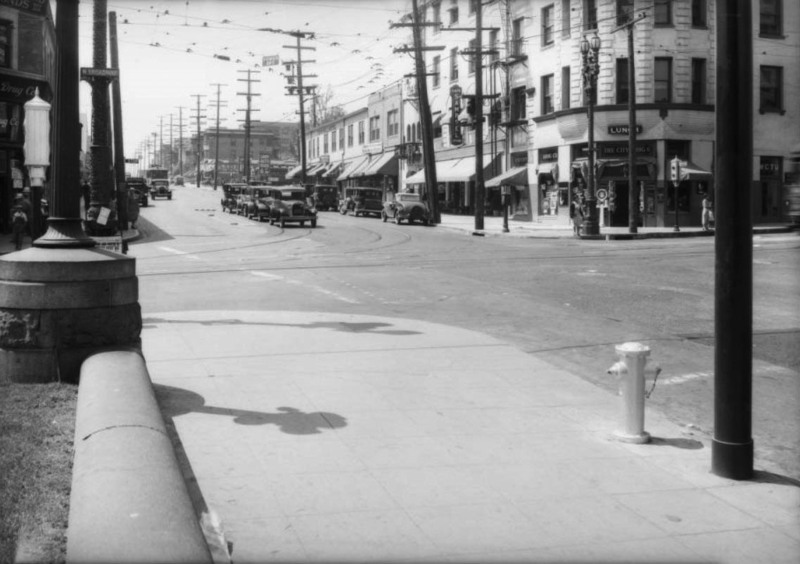 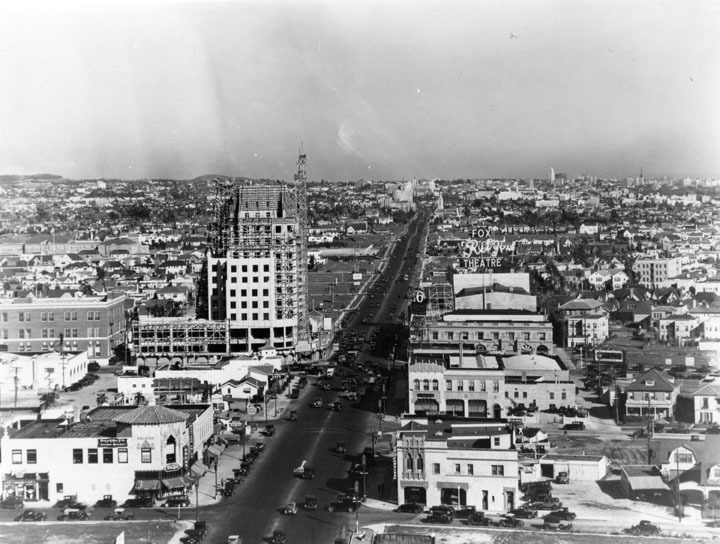 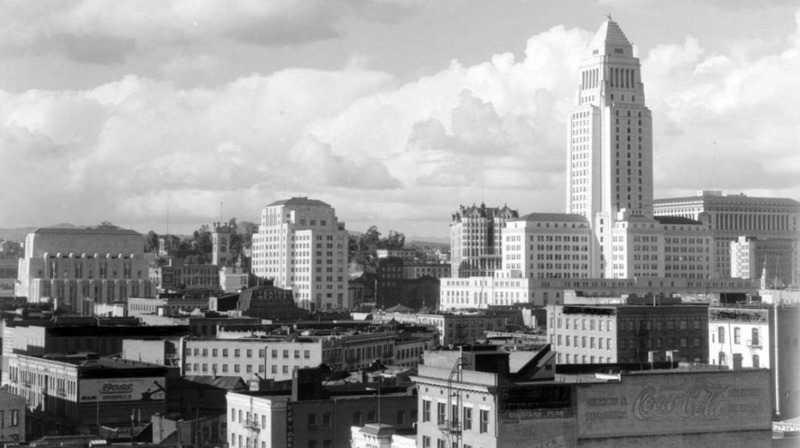 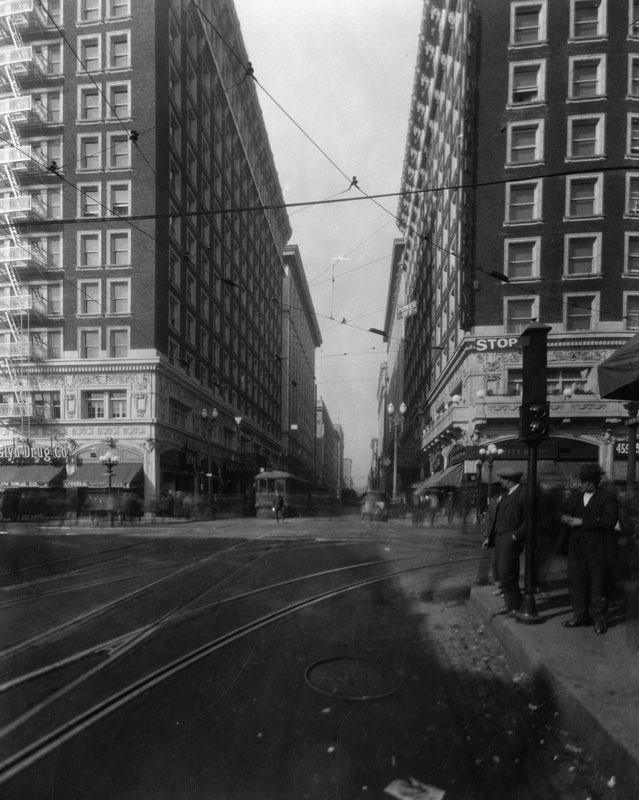 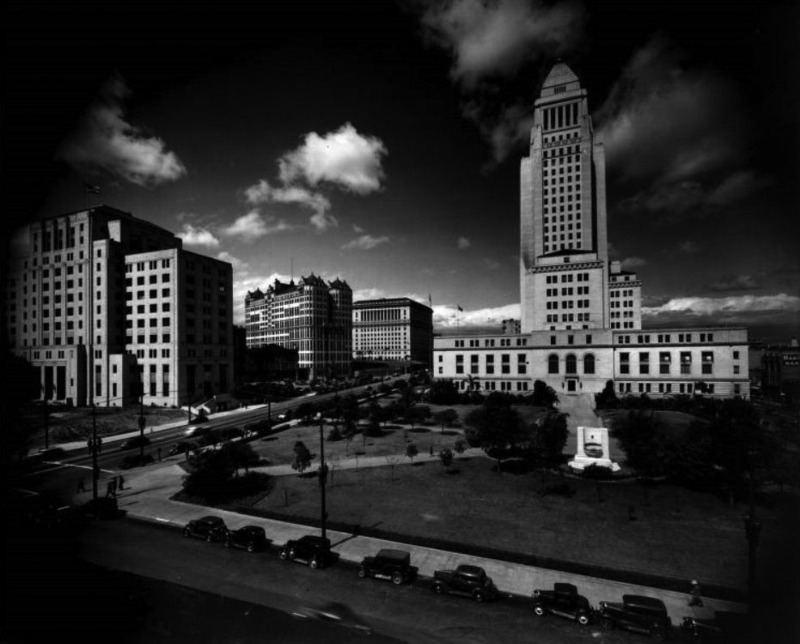 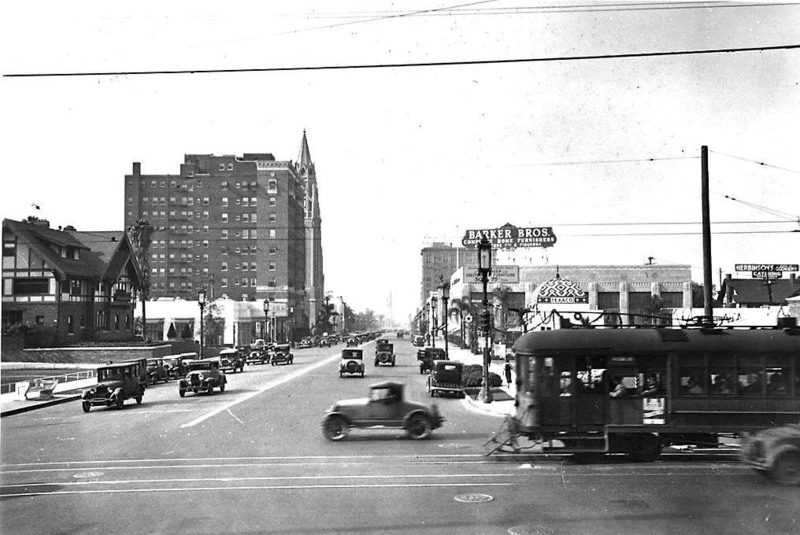 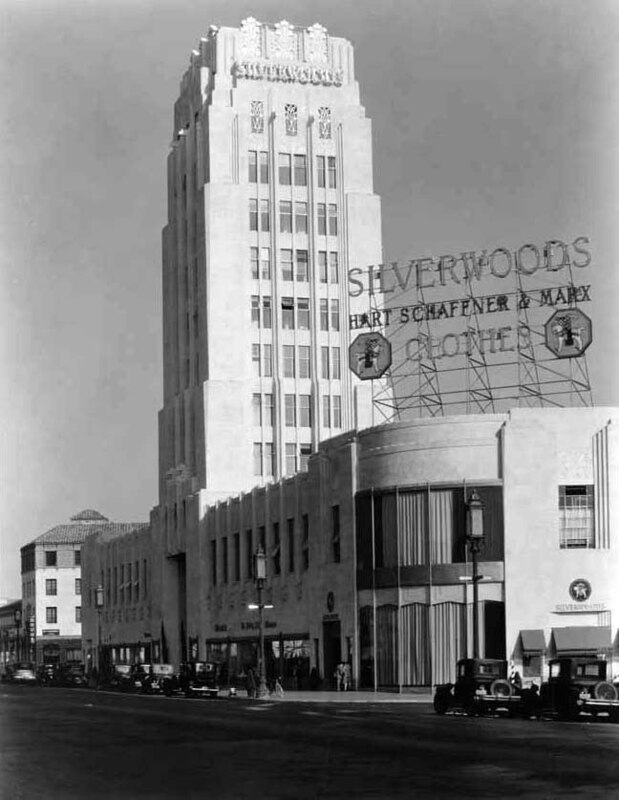 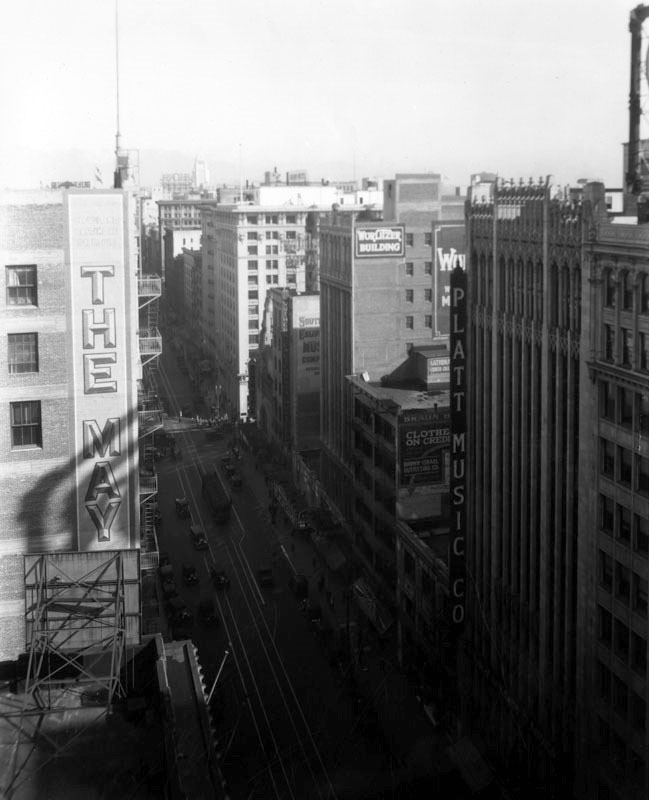 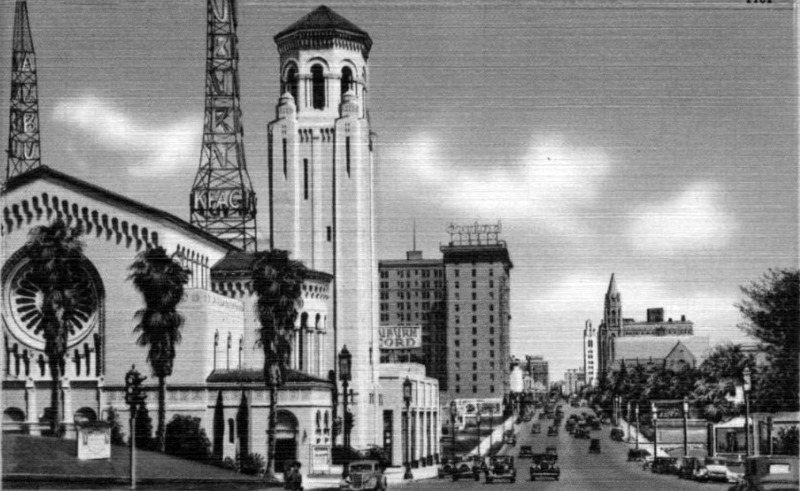 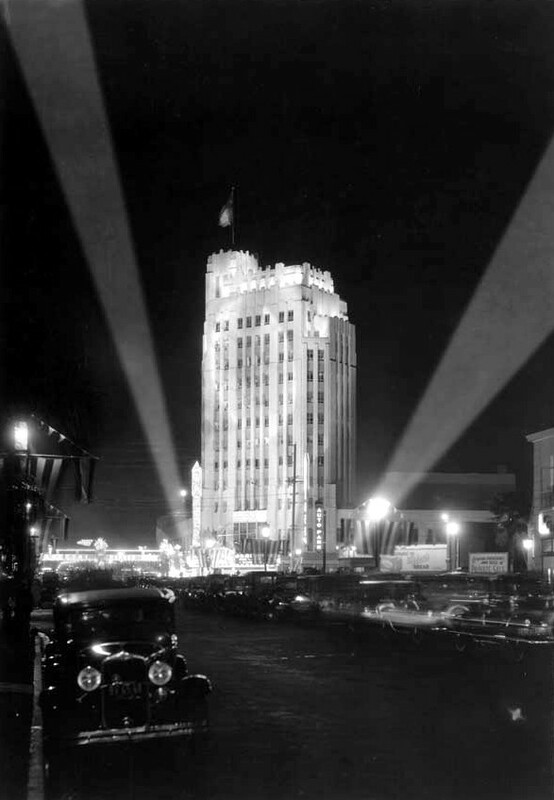 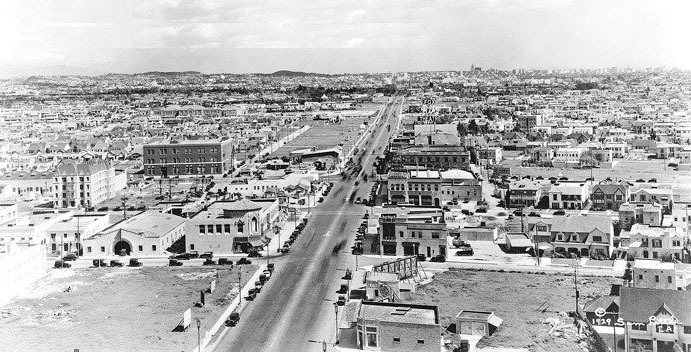 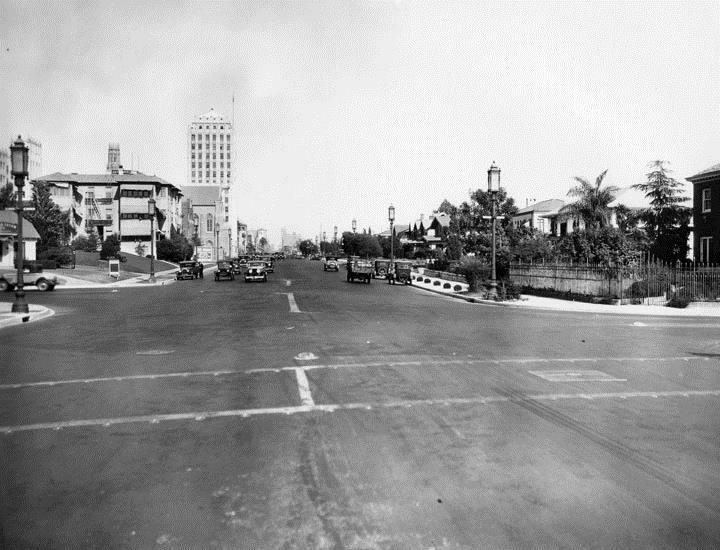 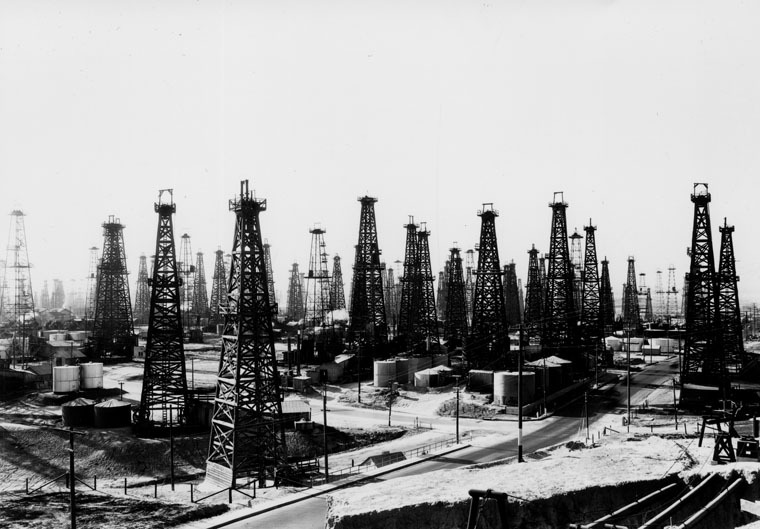 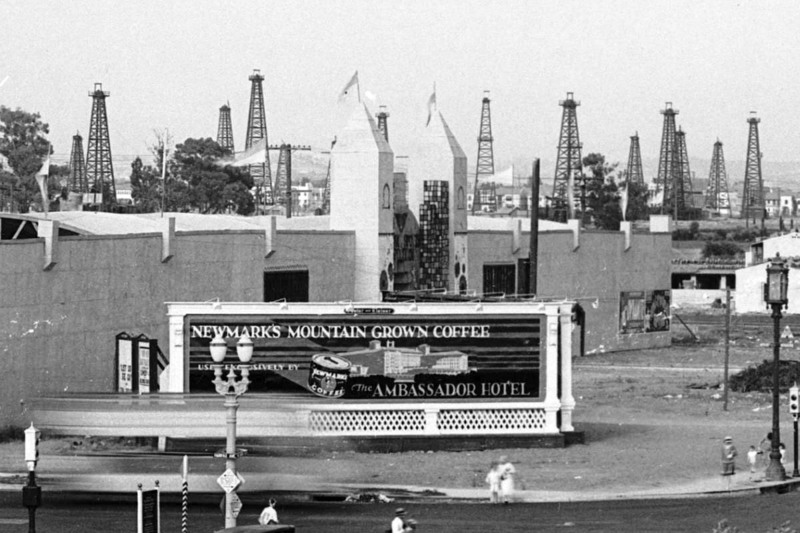 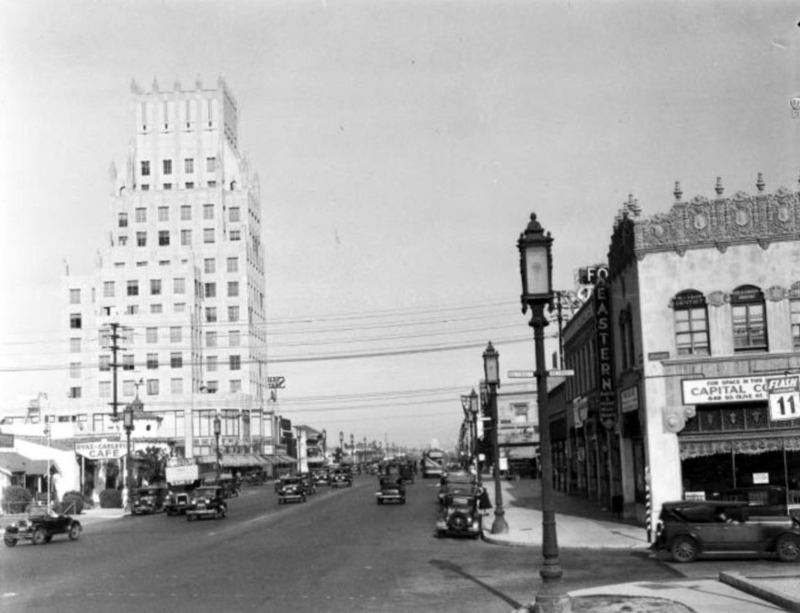 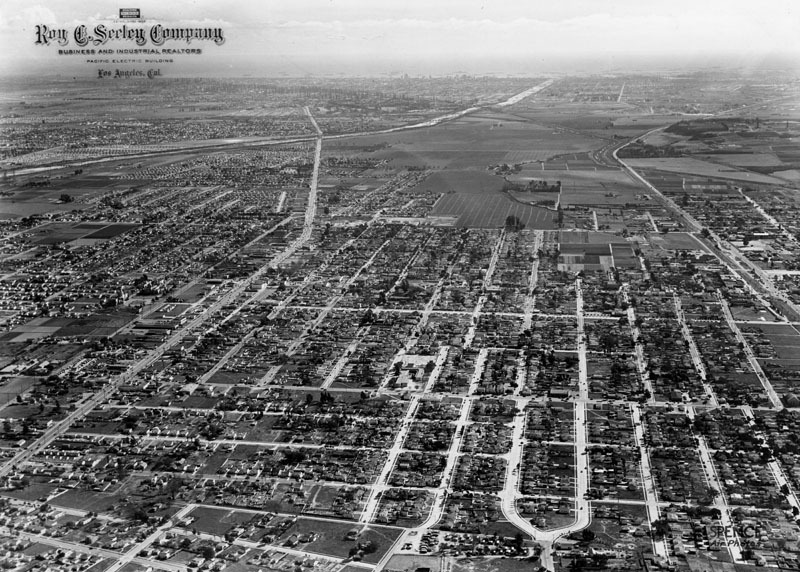 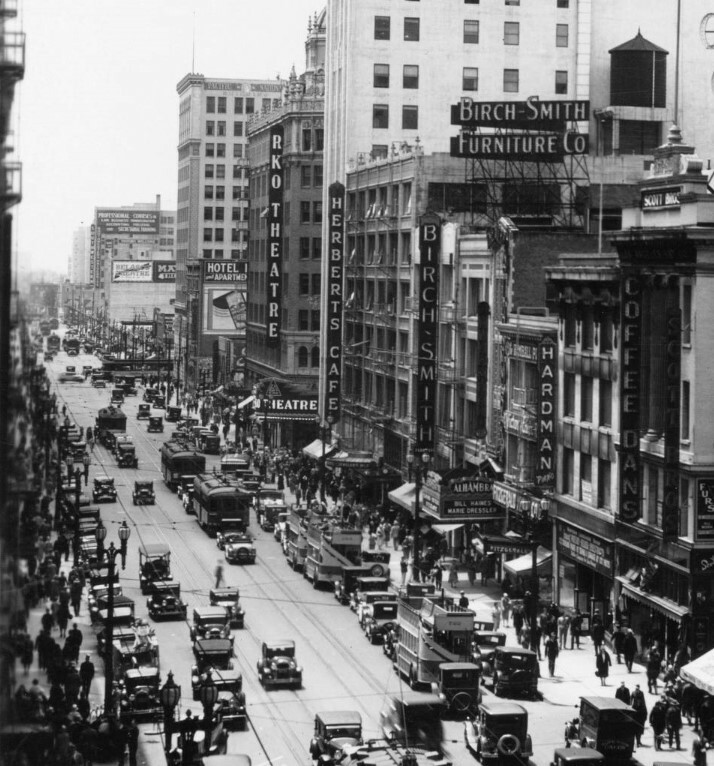 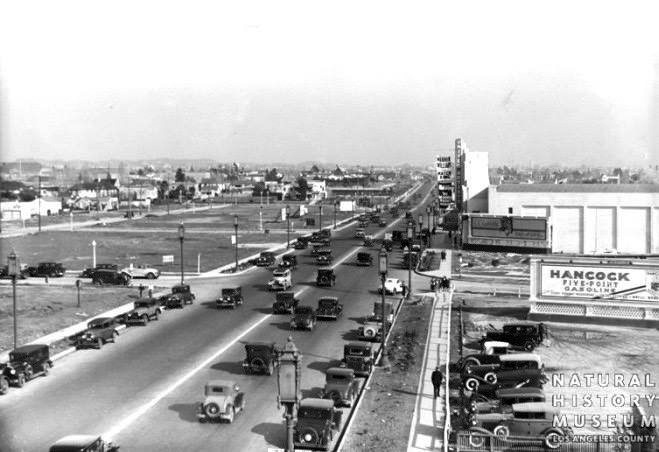 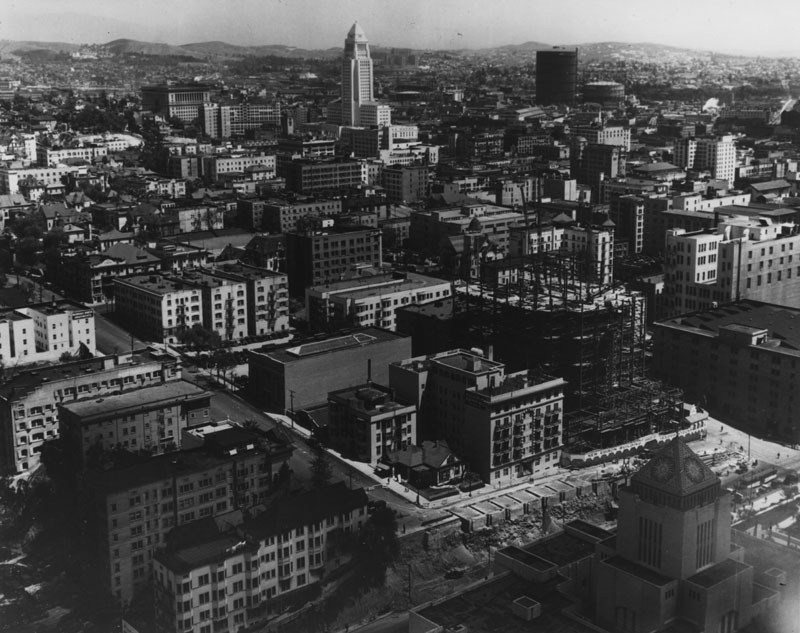 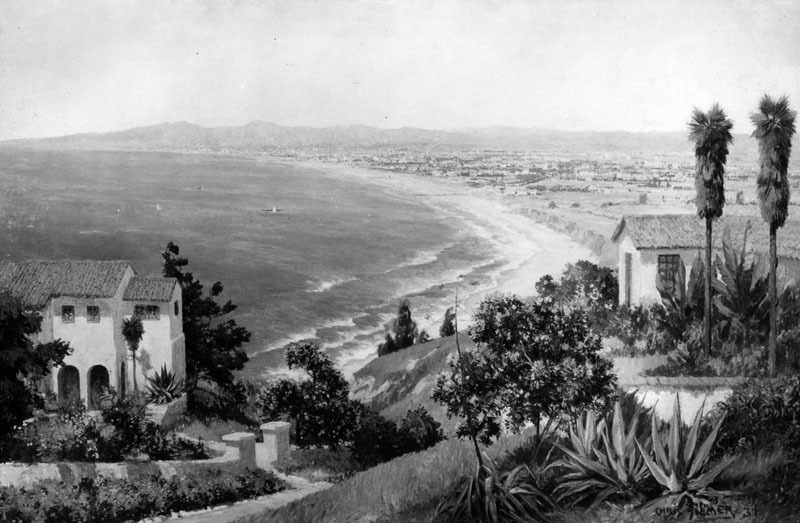 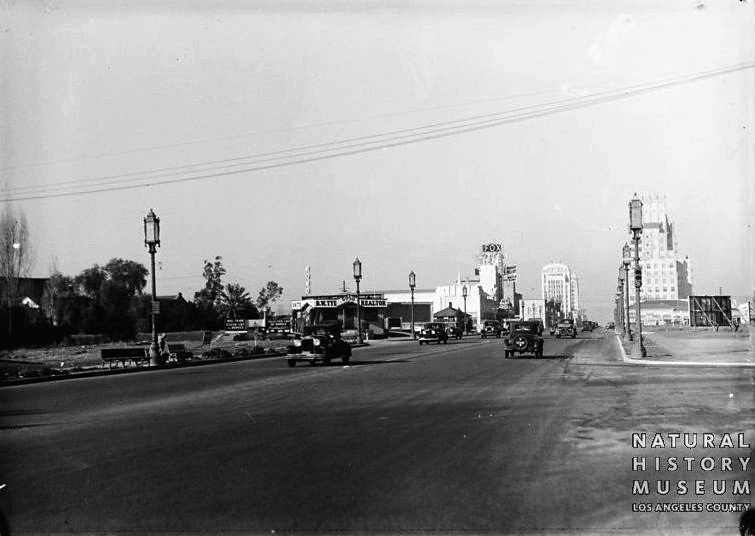 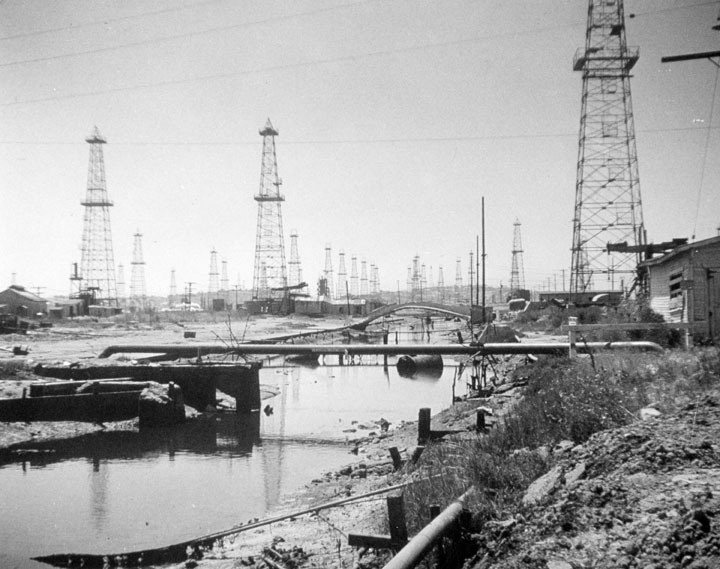 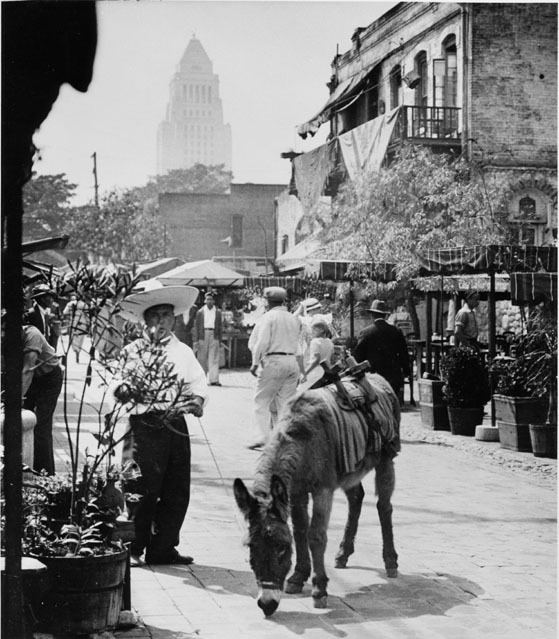 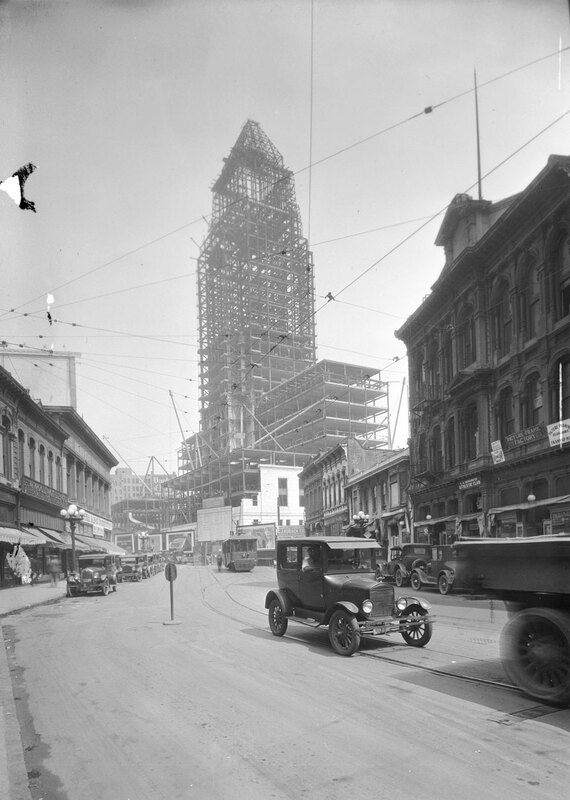 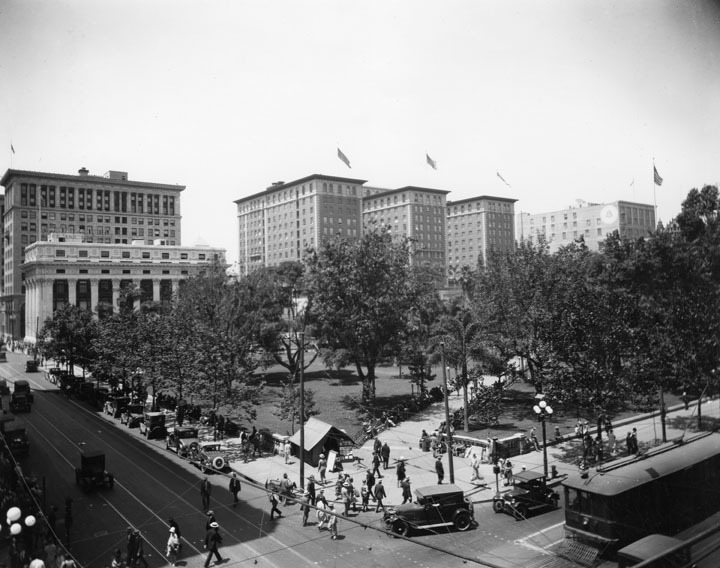 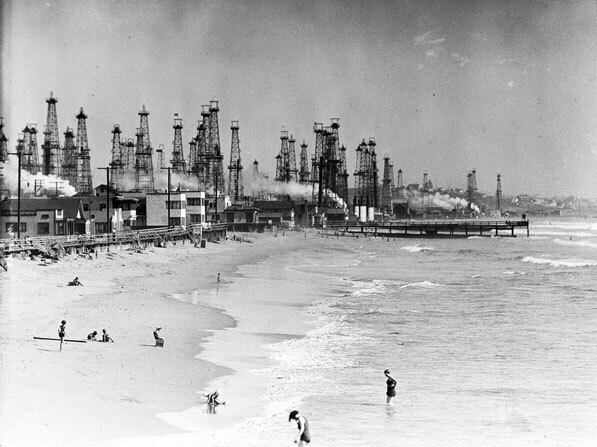 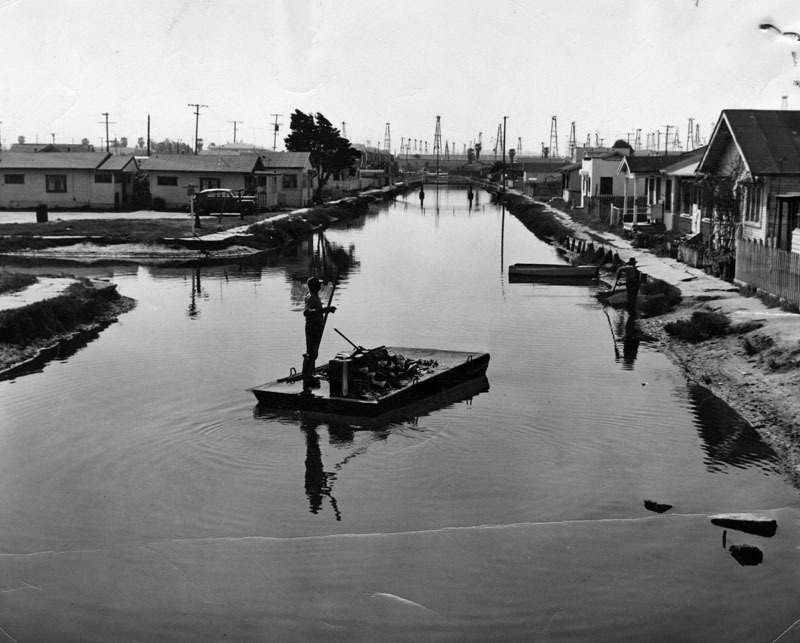 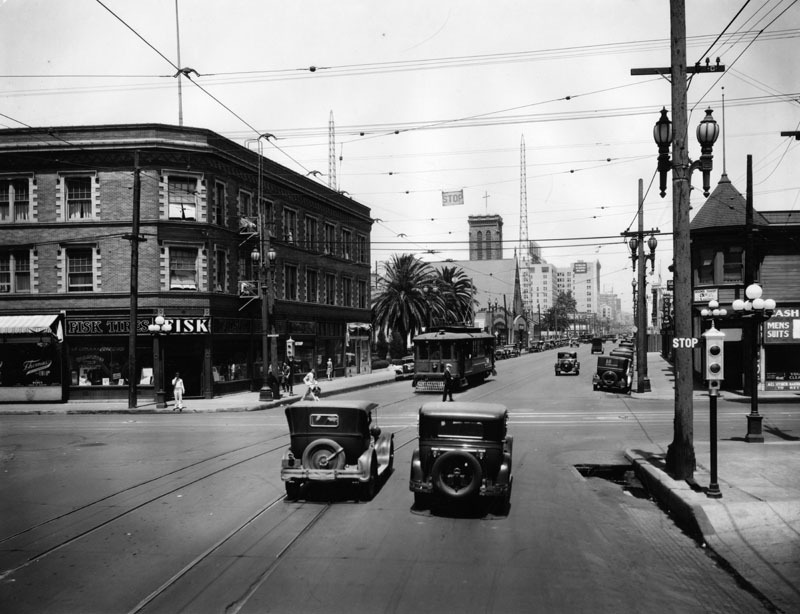 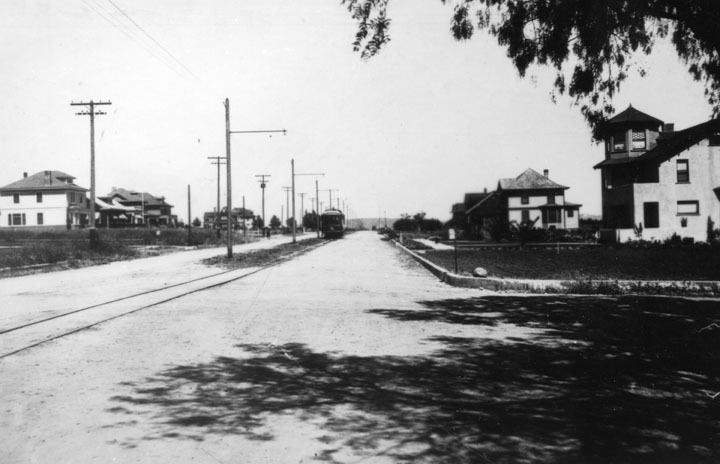 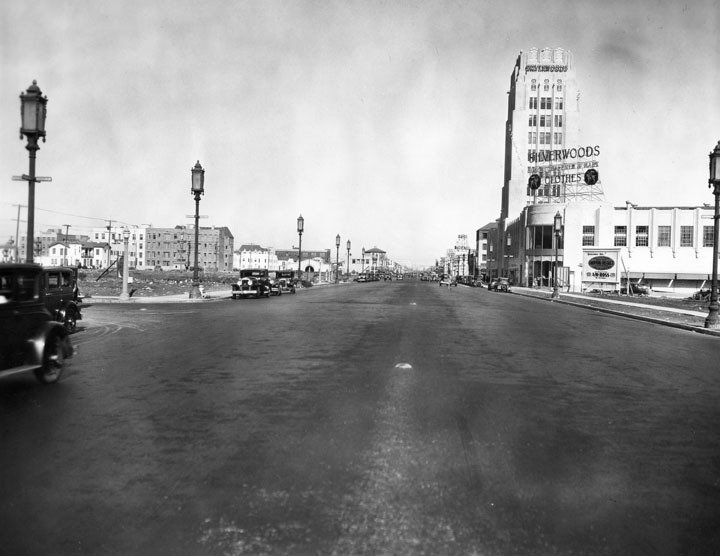 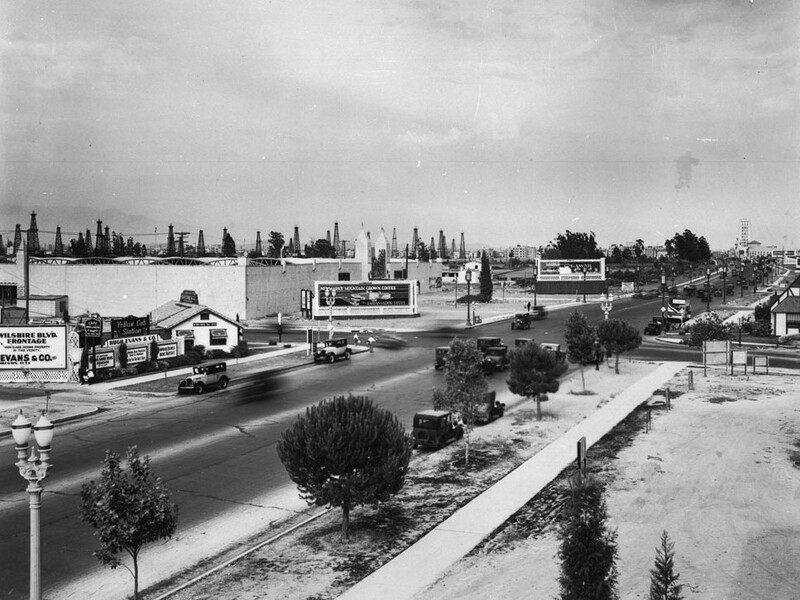 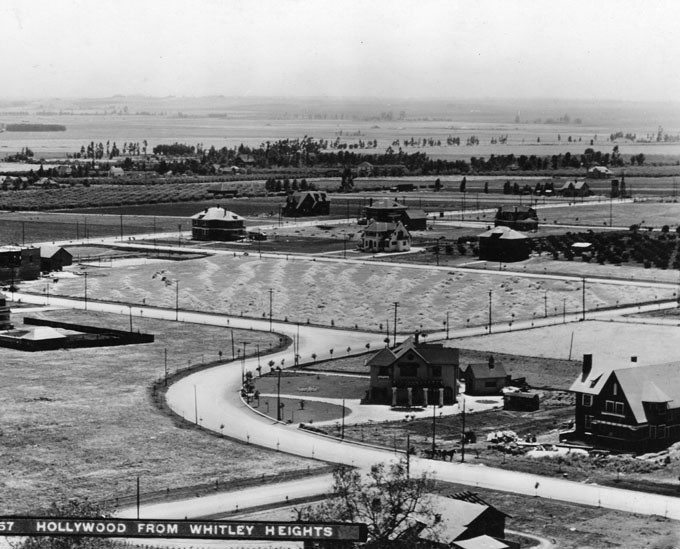 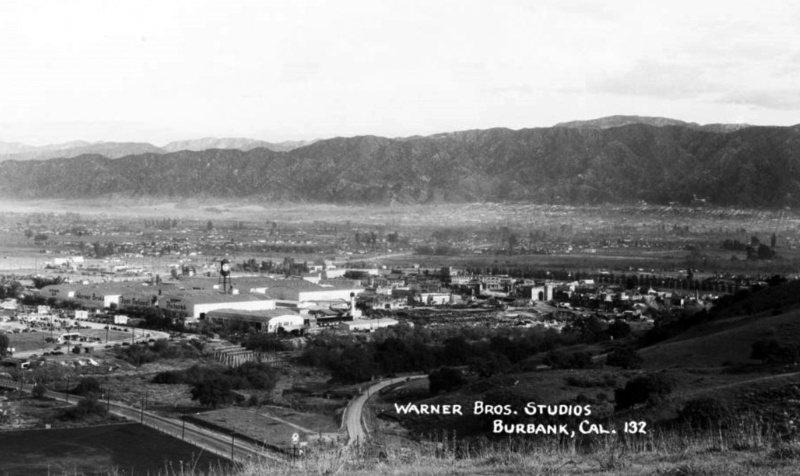 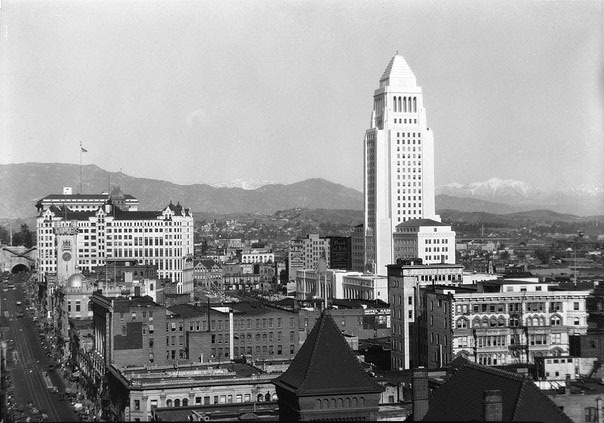 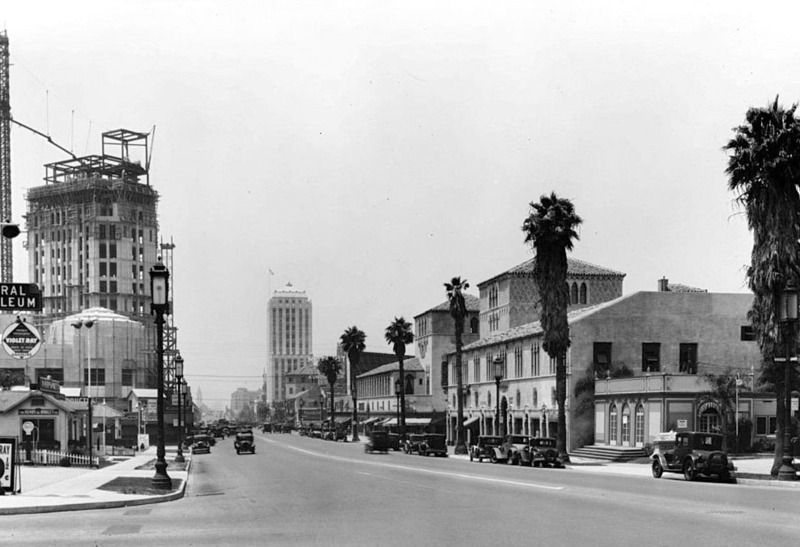 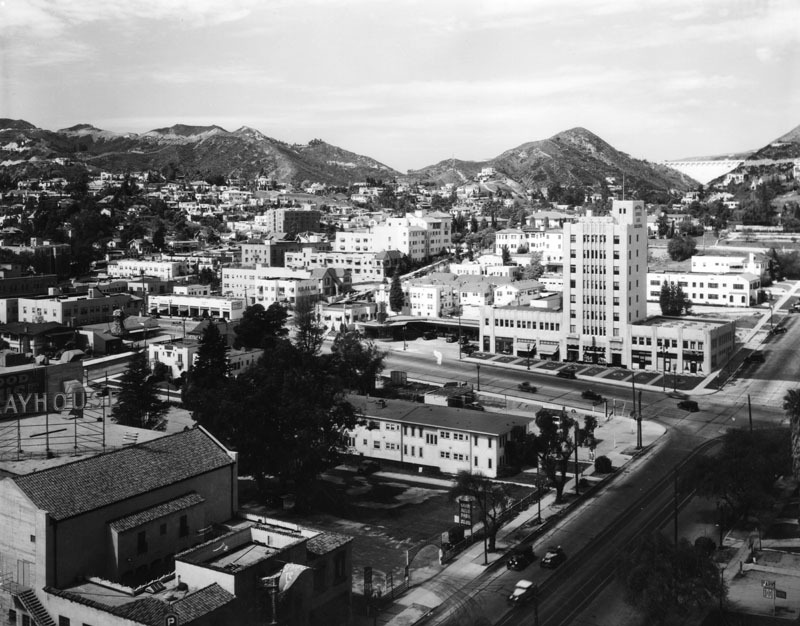 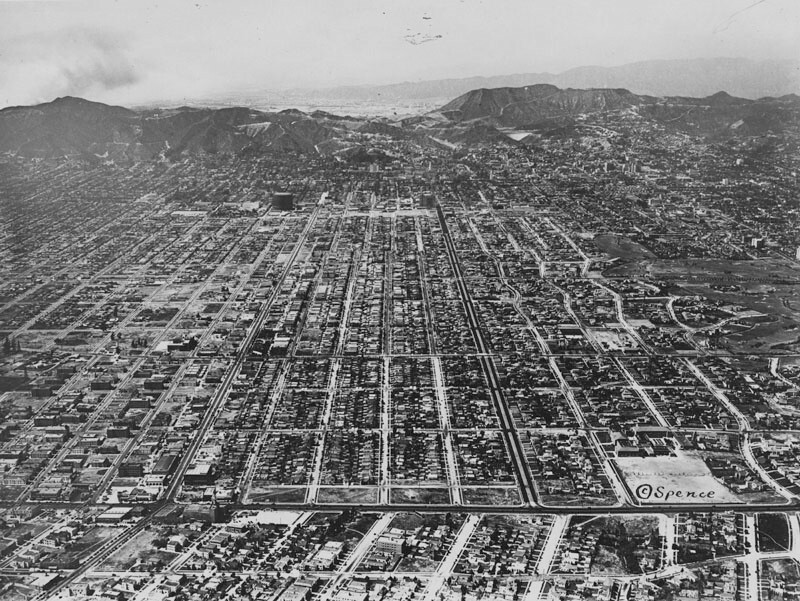 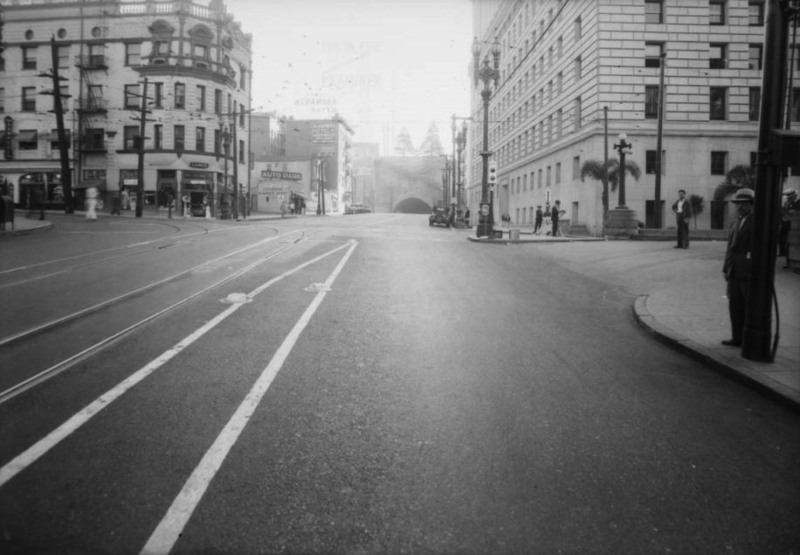 (1930)^ - Wilshire Boulevard looking east from Tower Building west of La Brea in 1930. 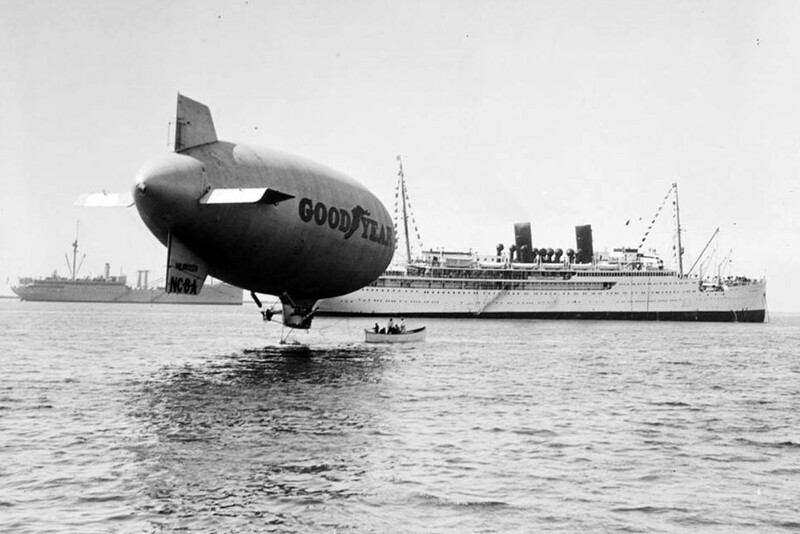 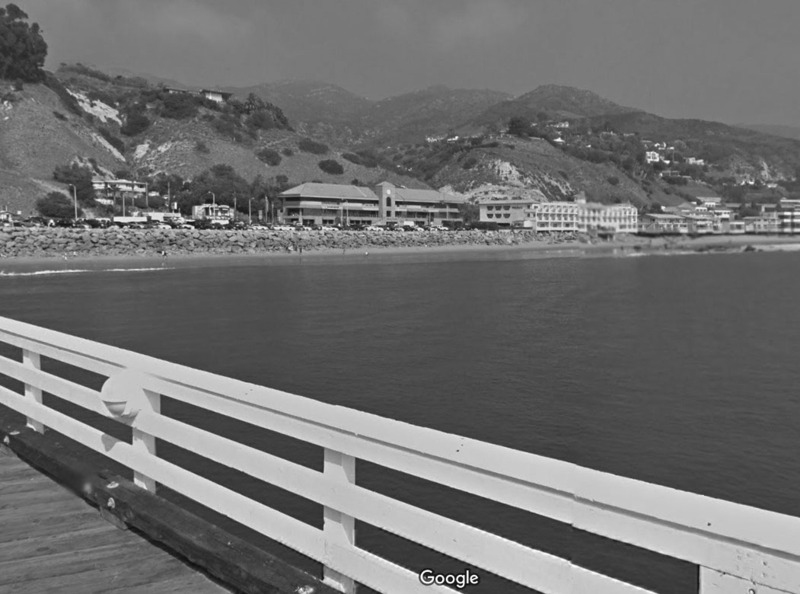 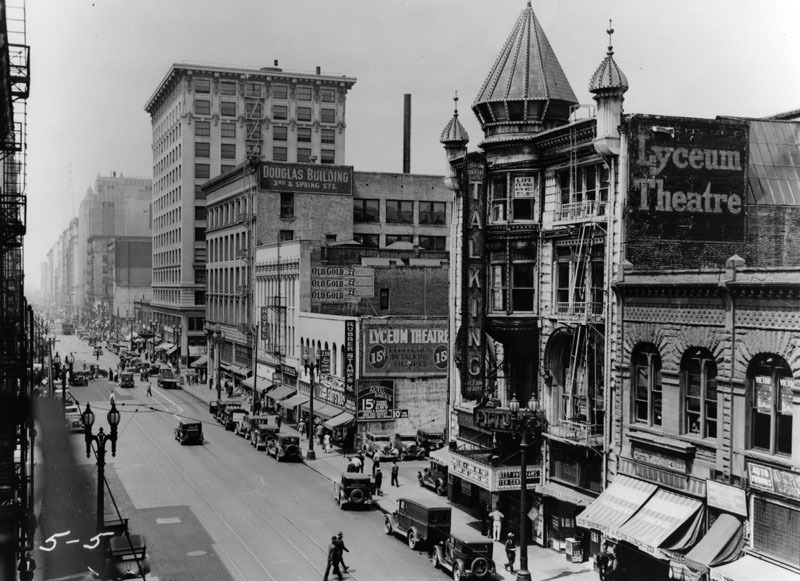 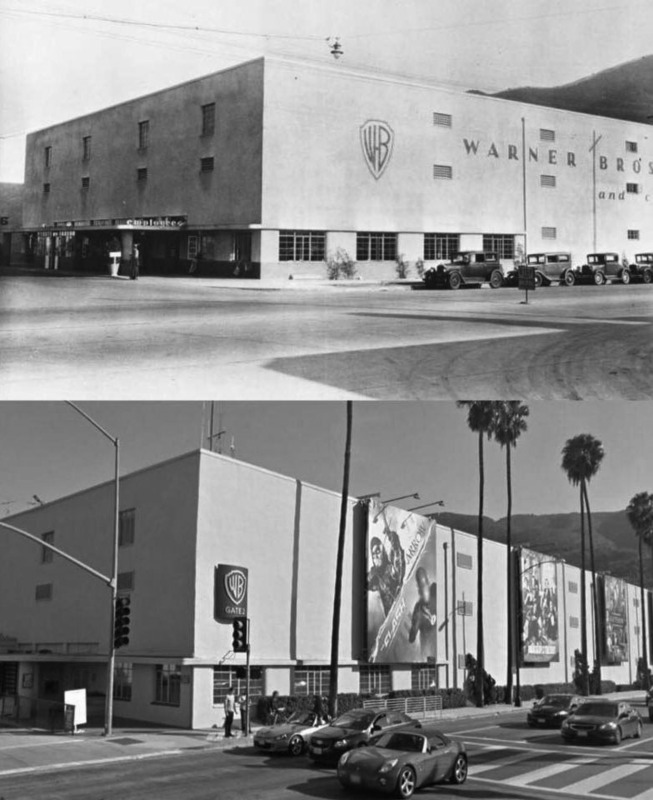 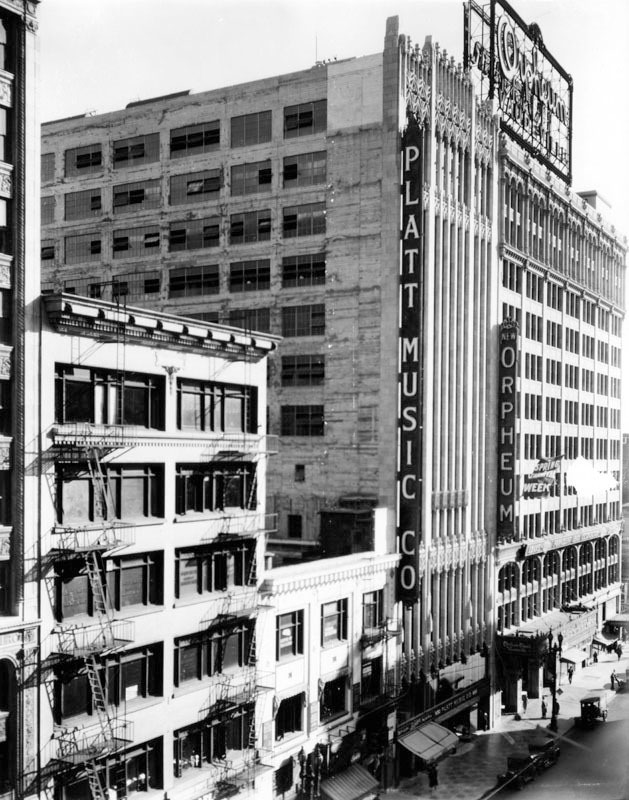 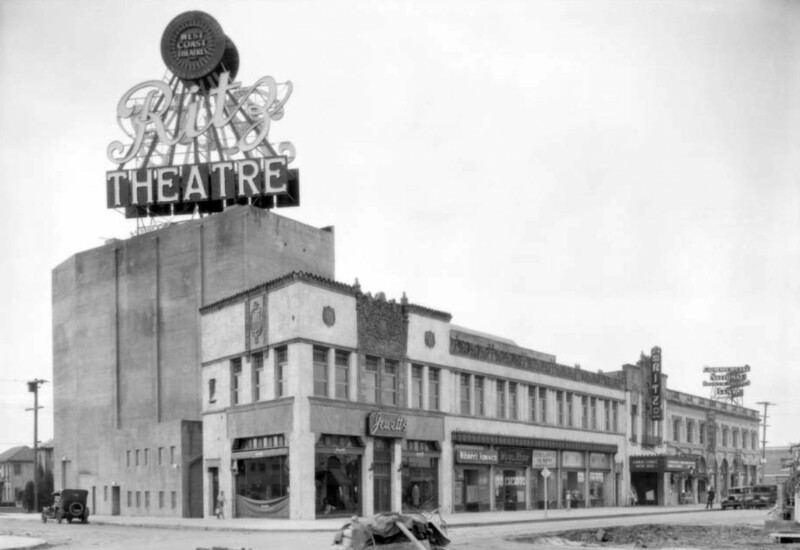 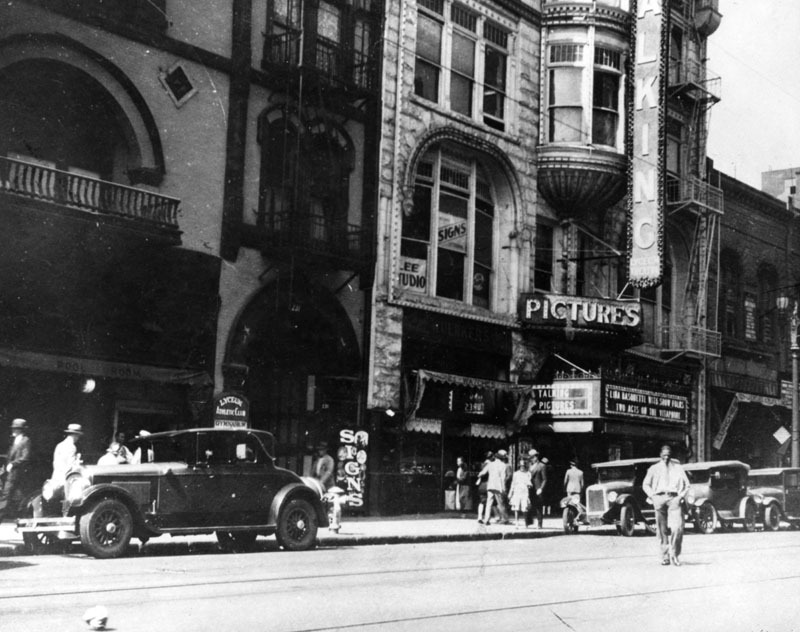 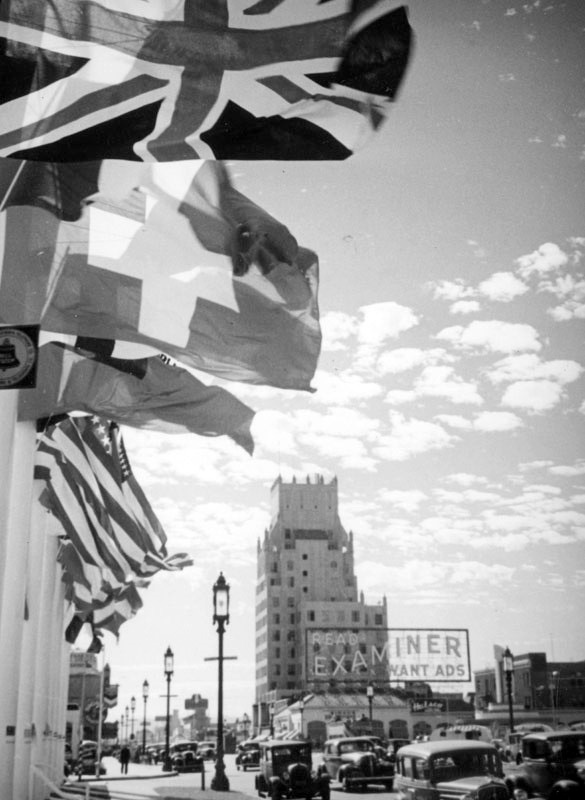 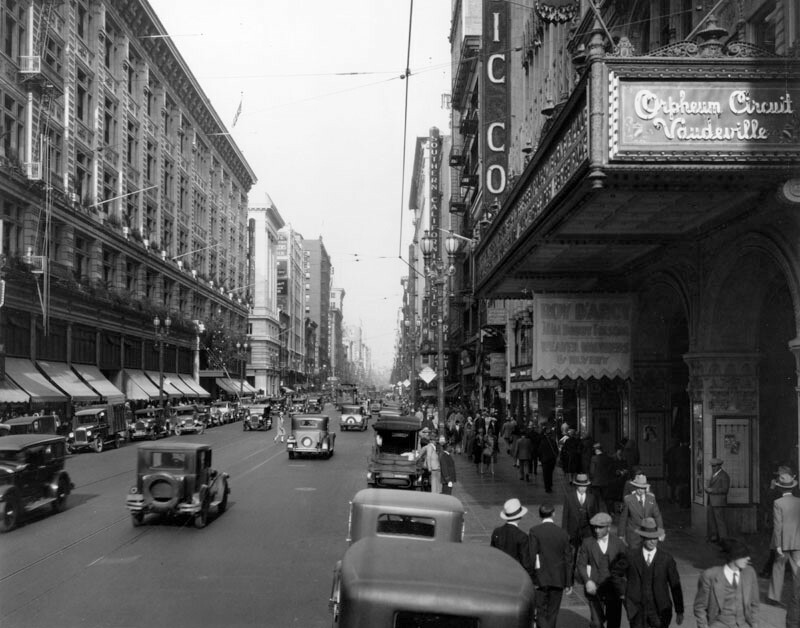 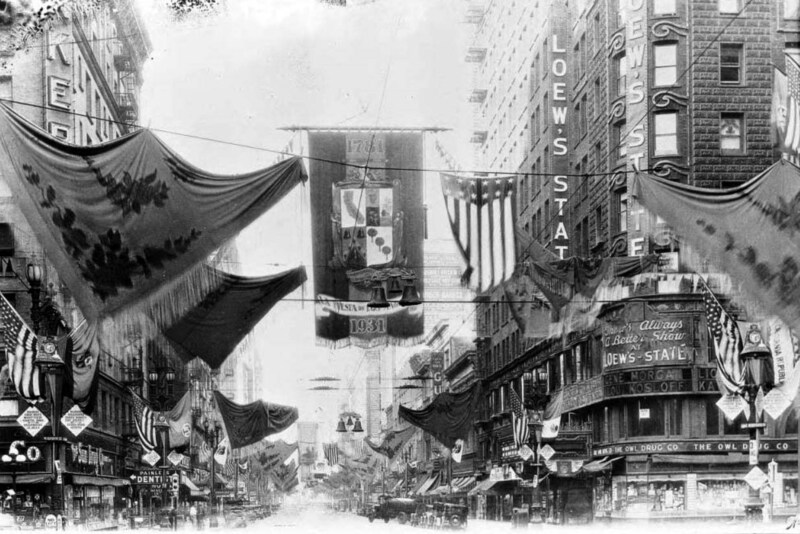 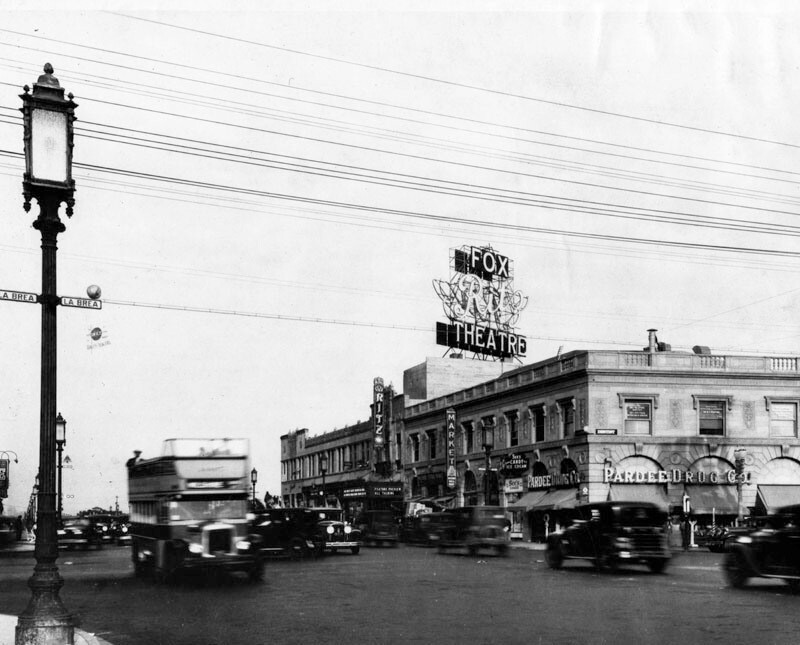 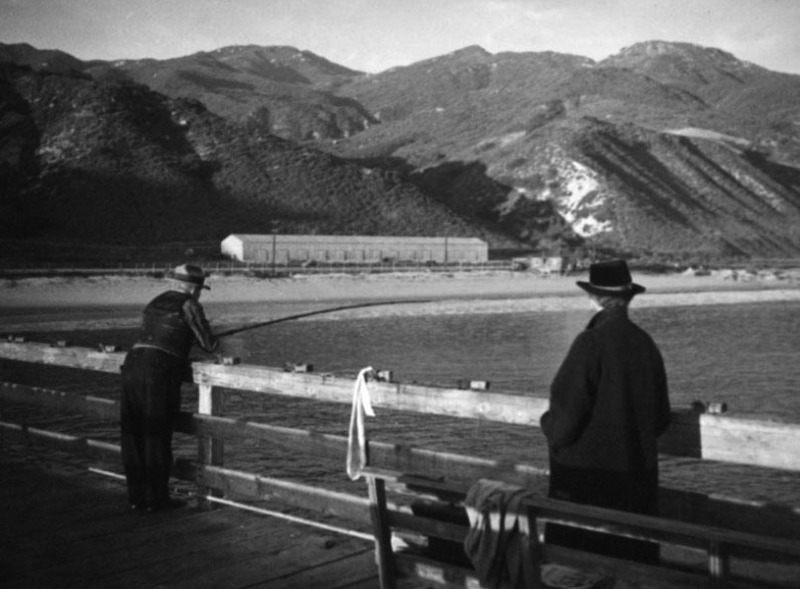 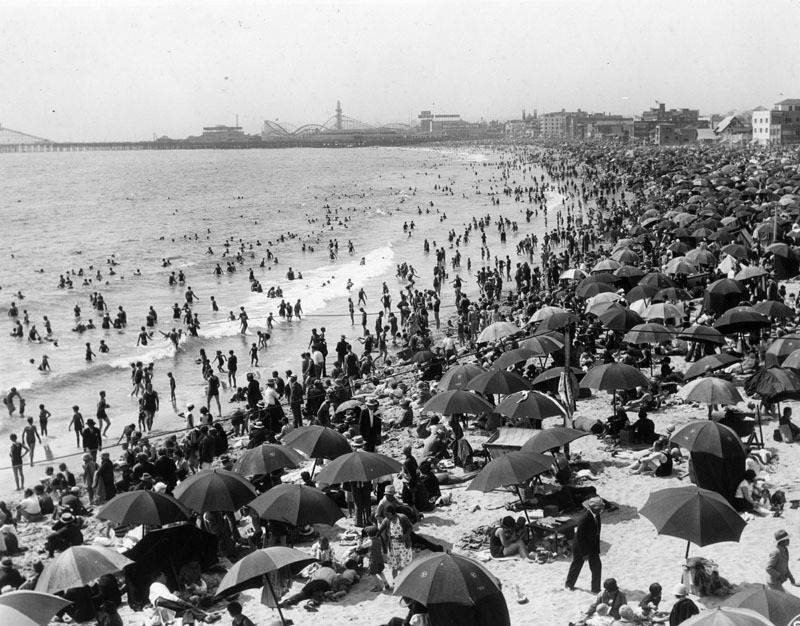 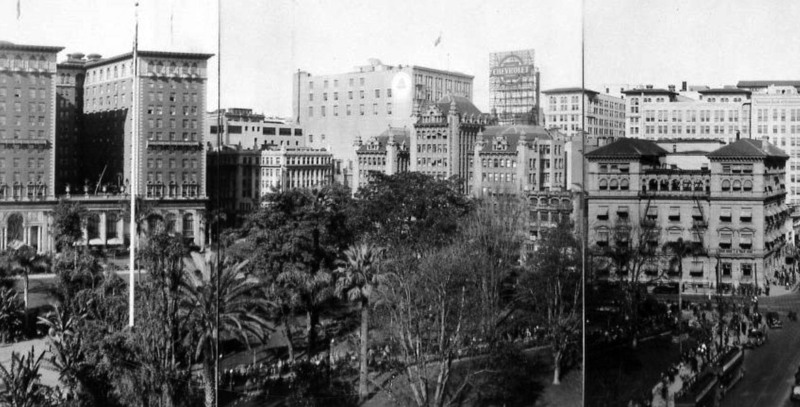 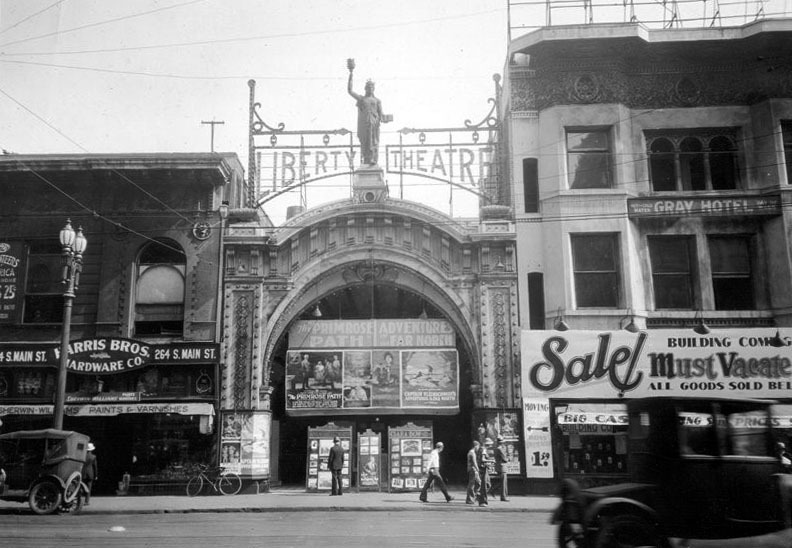 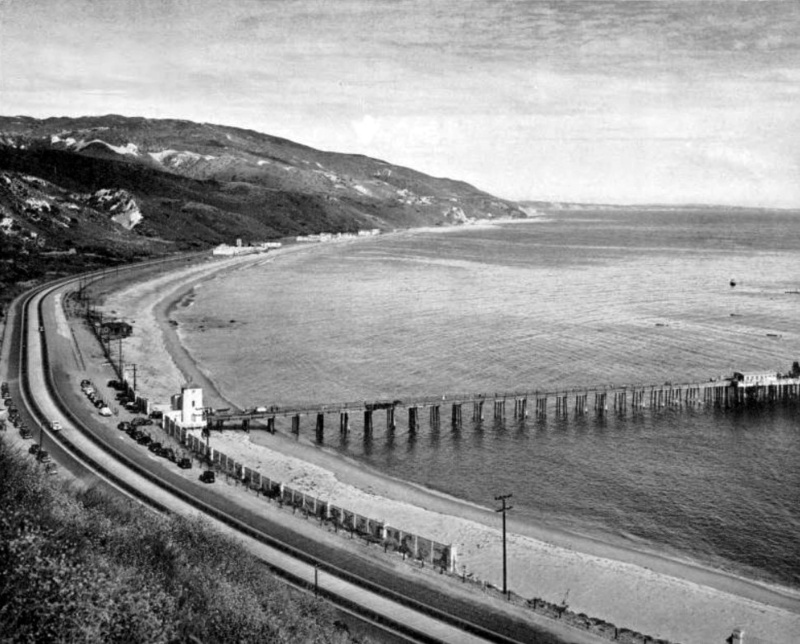 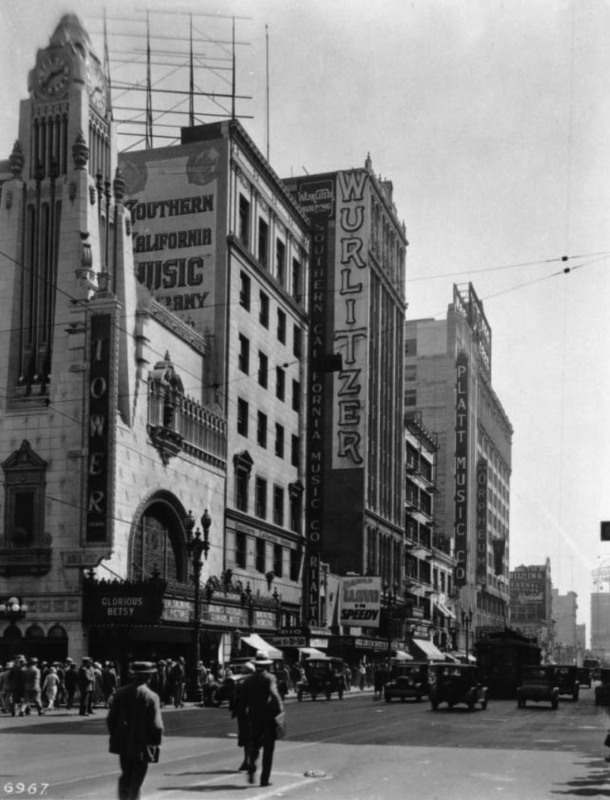 The Ritz Theatre is visible on the right. 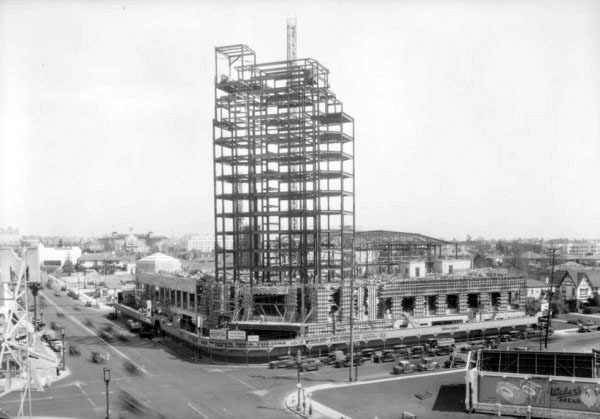 The new high rise E. Clem Wilson Building on the northeast corner of La Brea and Wilshire is under construction. 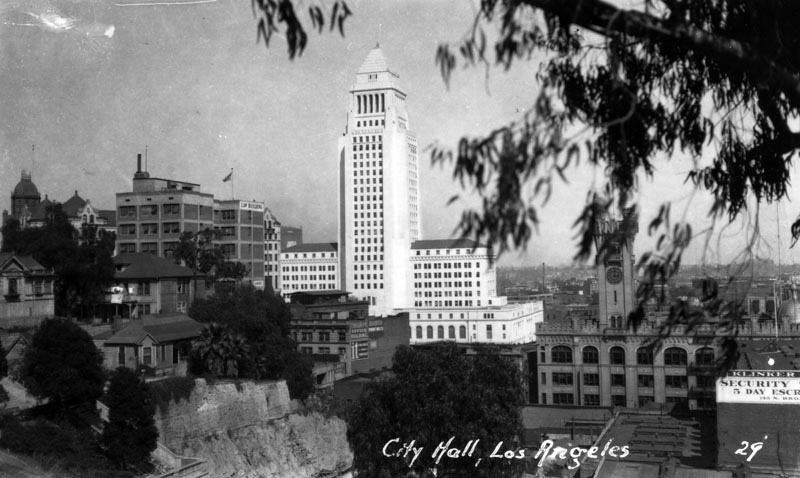 (ca. 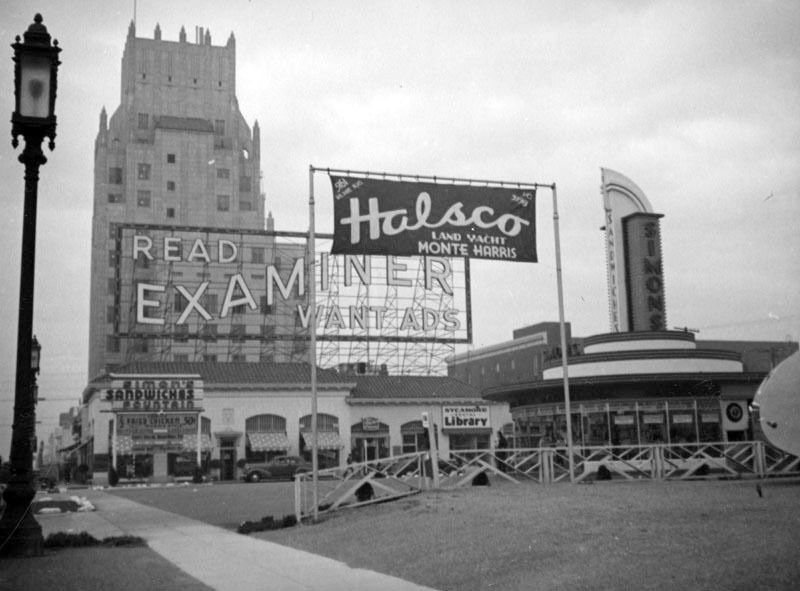 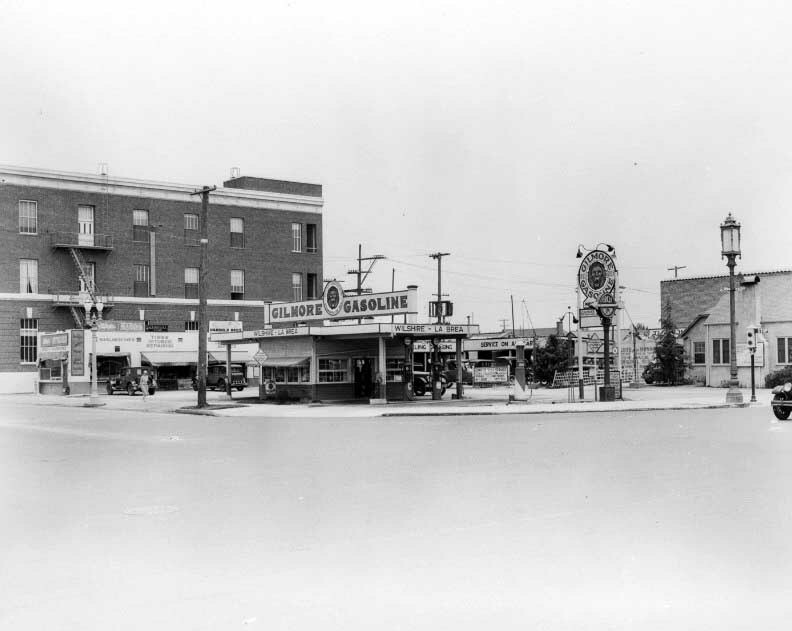 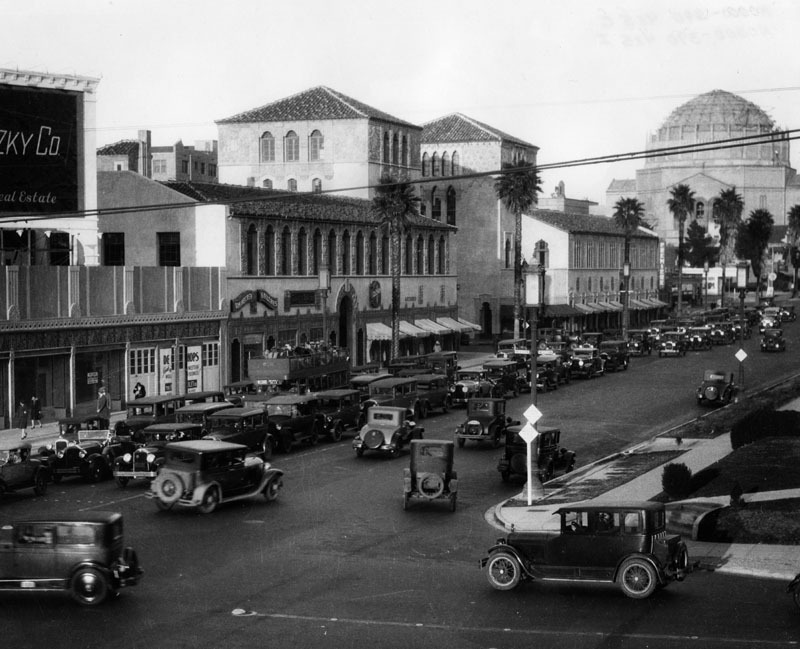 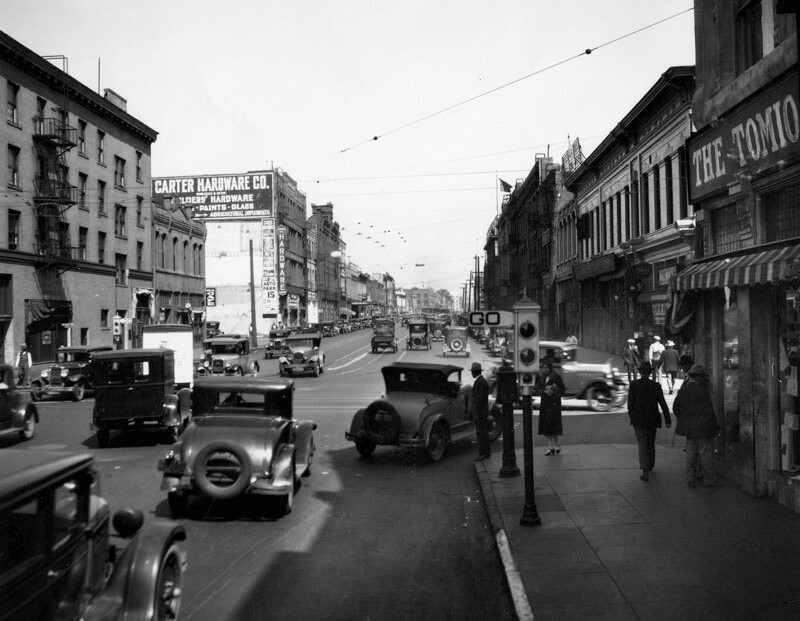 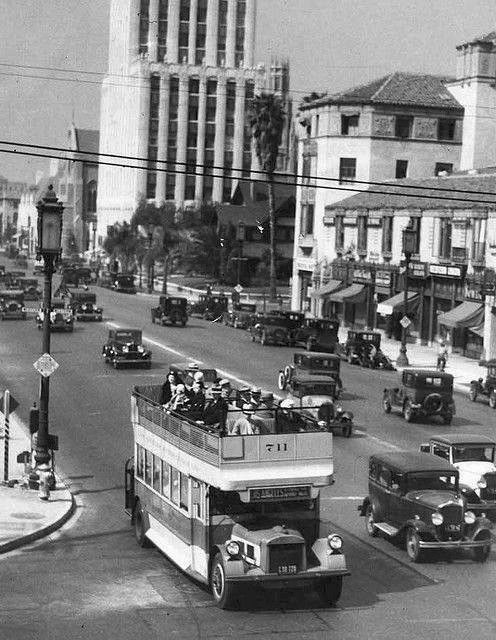 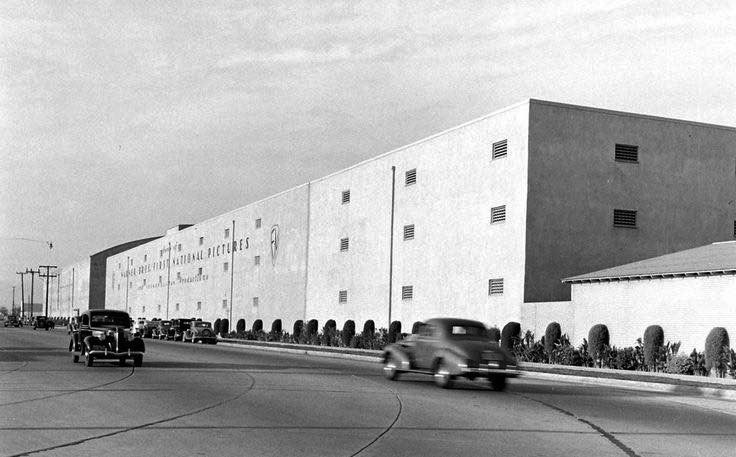 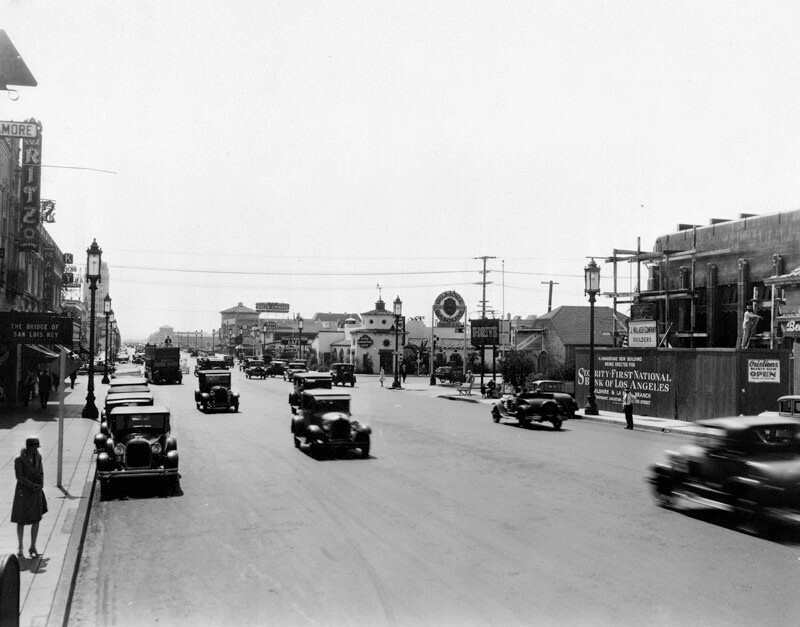 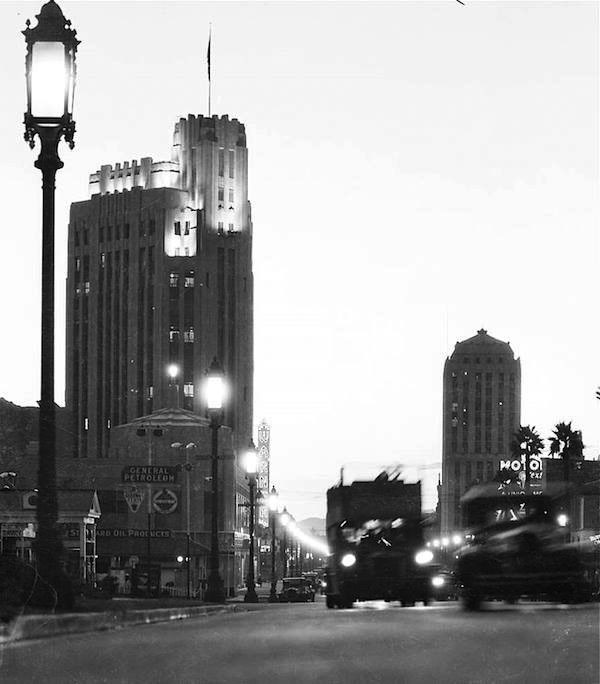 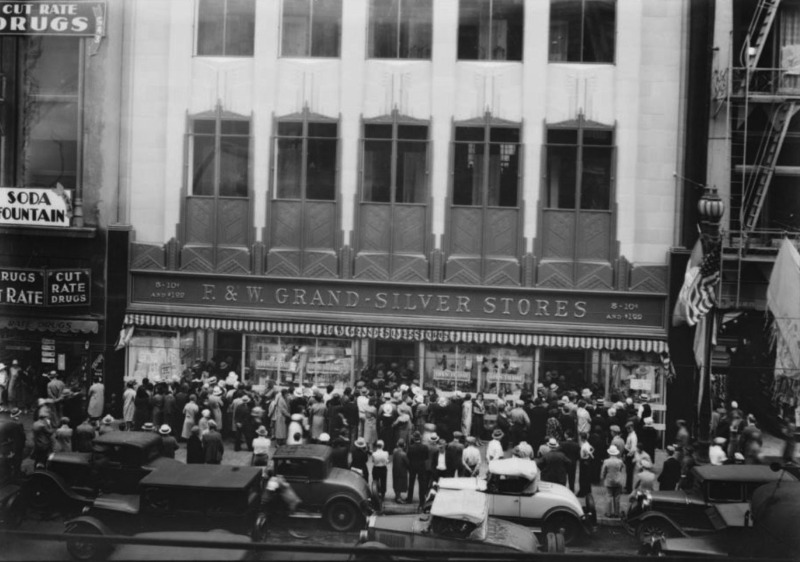 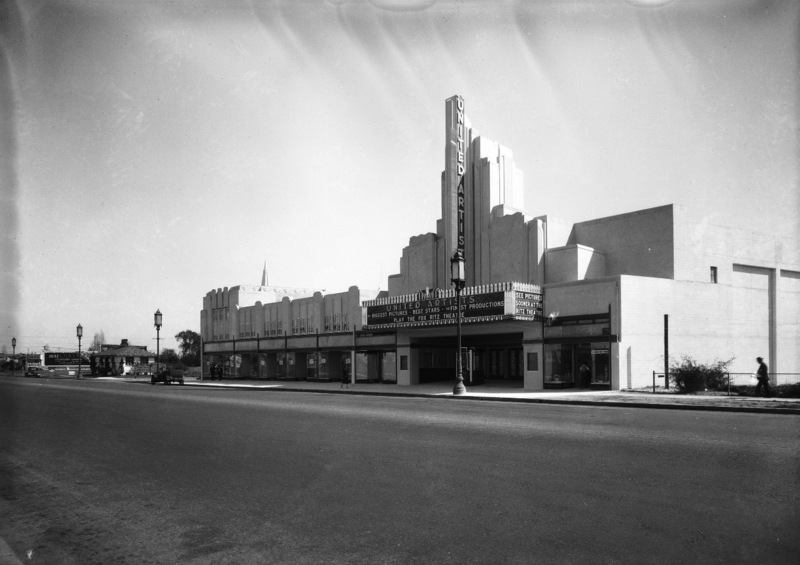 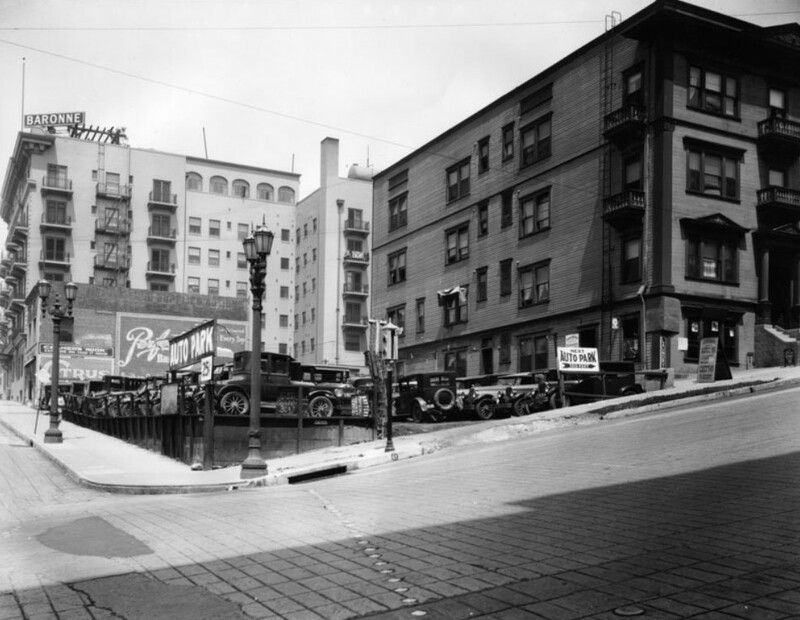 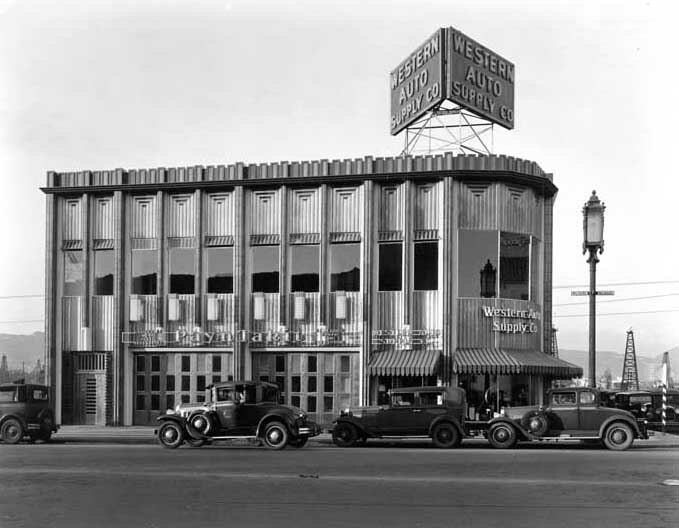 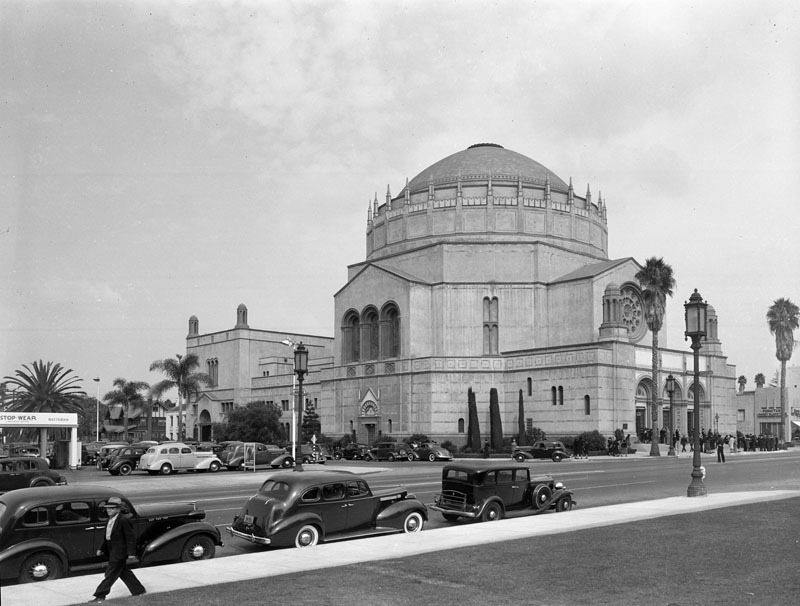 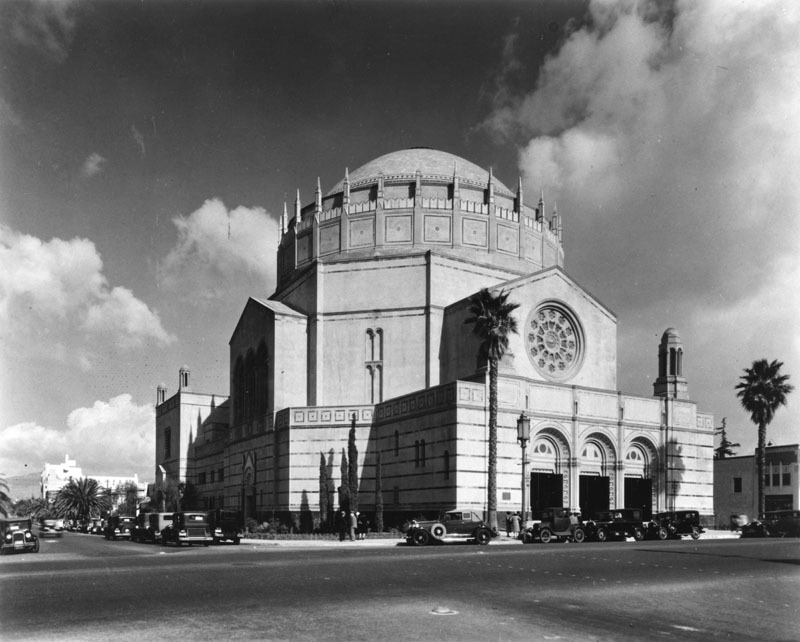 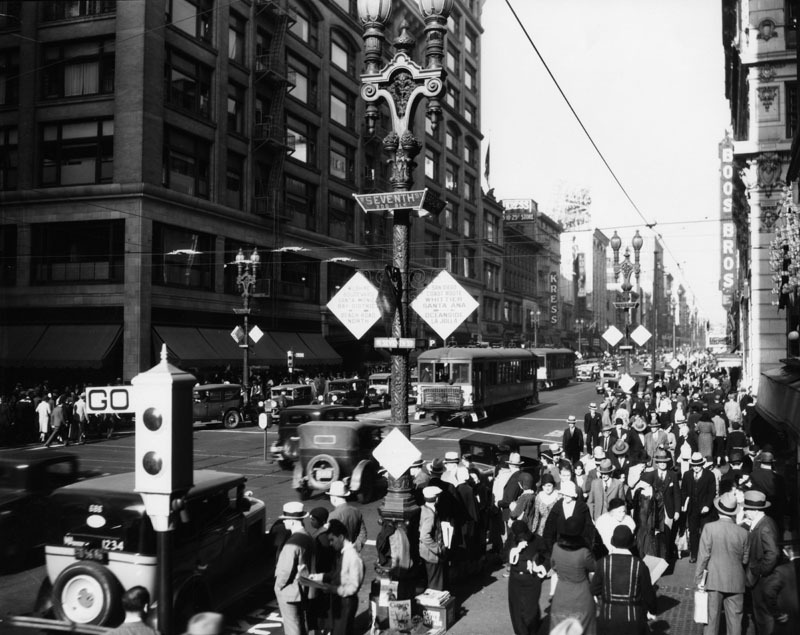 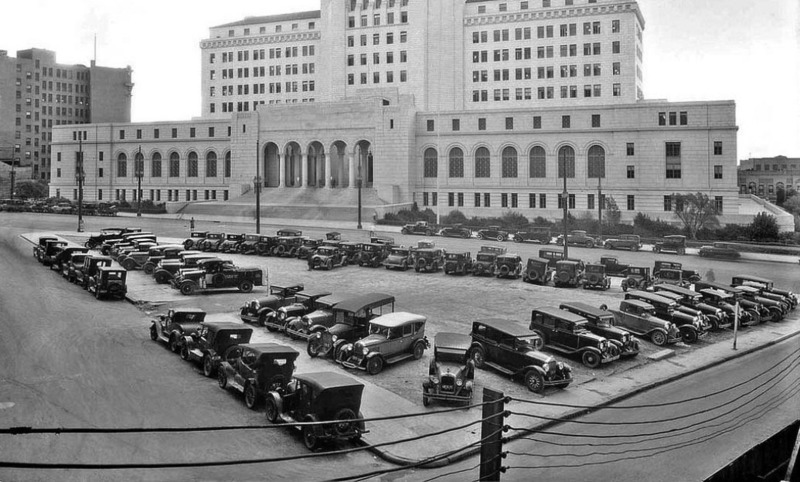 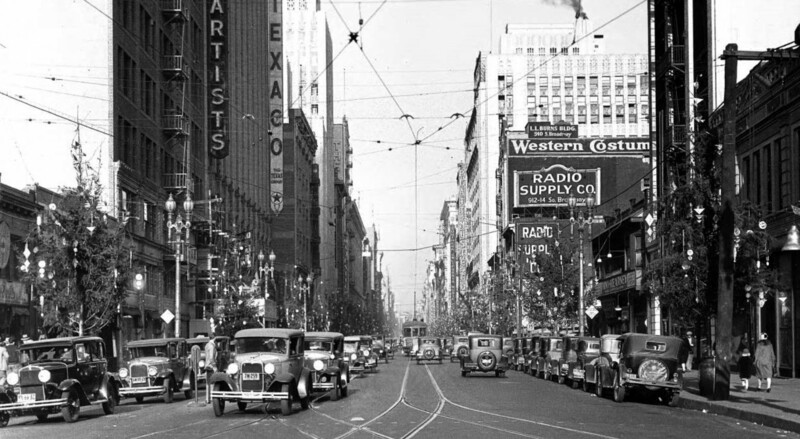 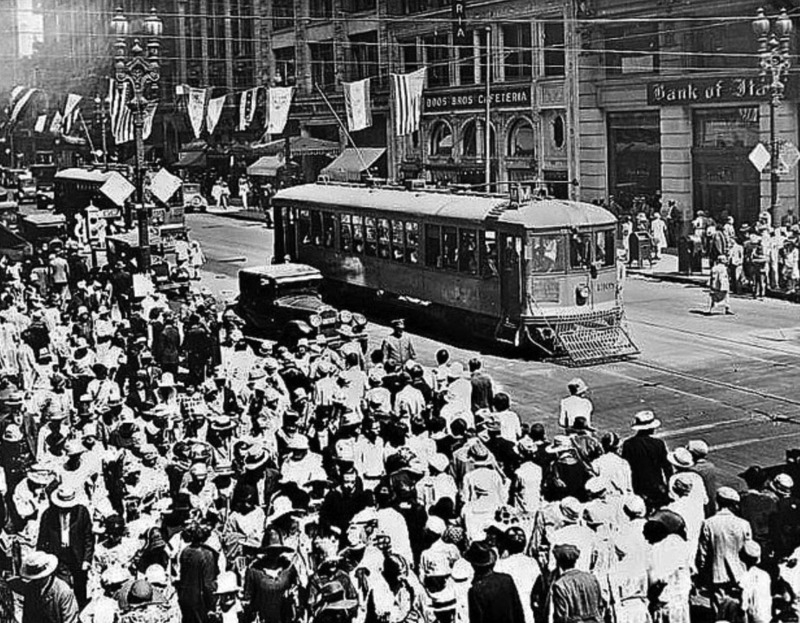 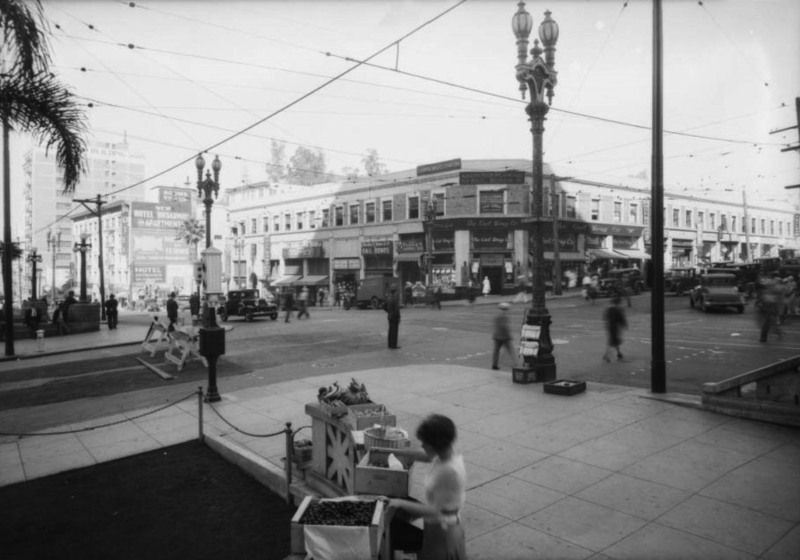 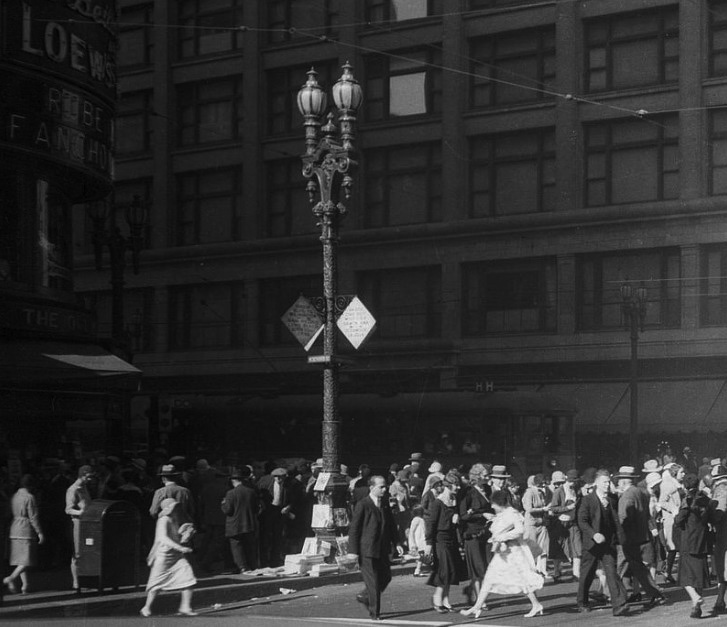 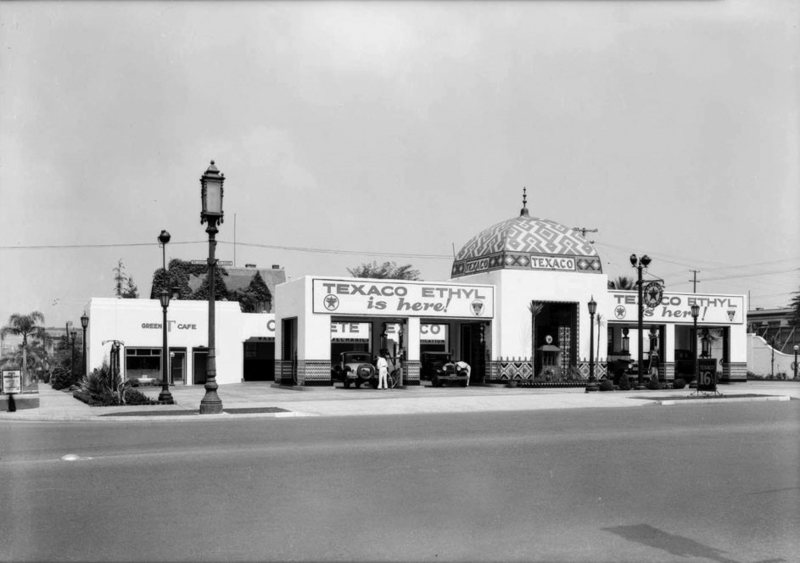 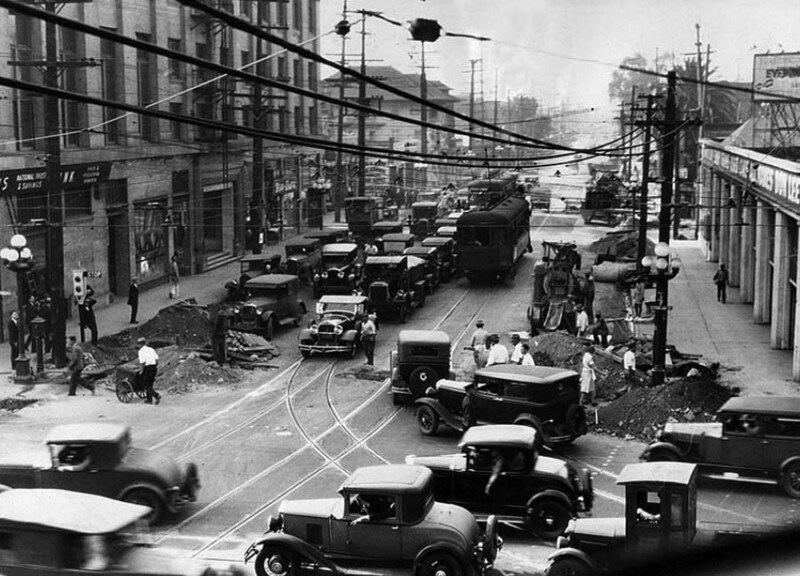 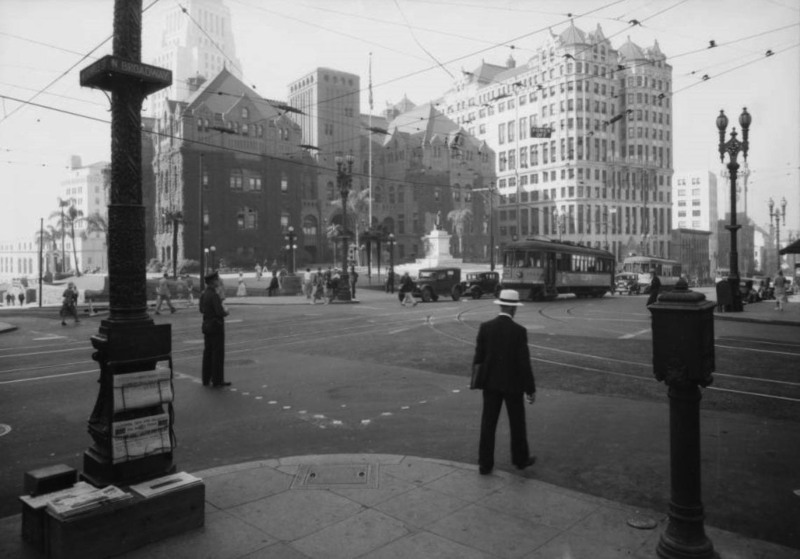 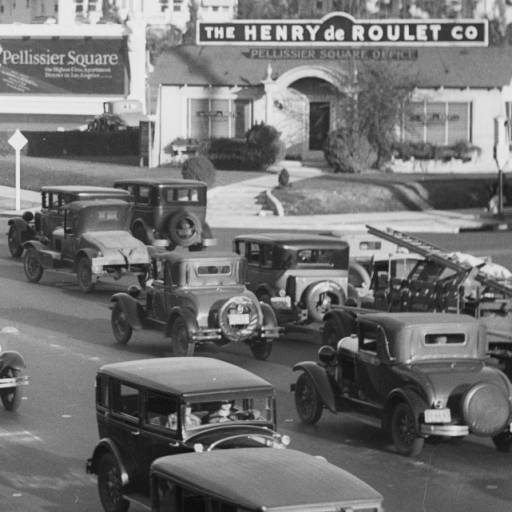 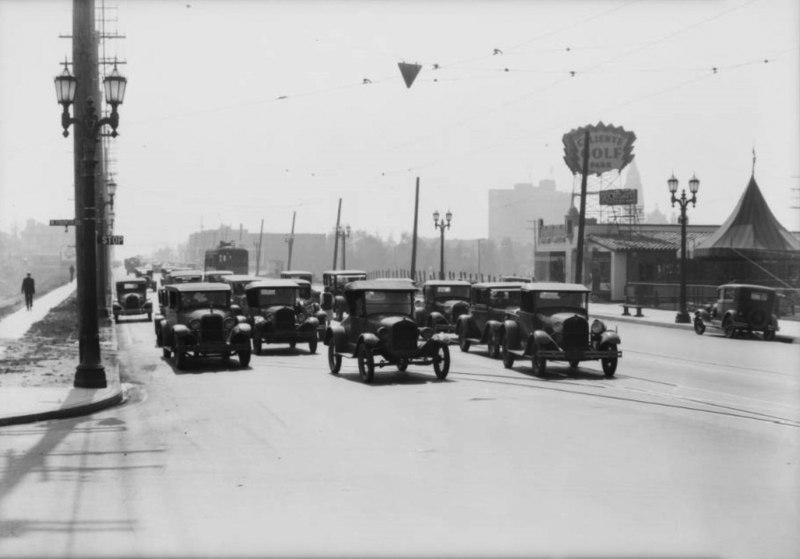 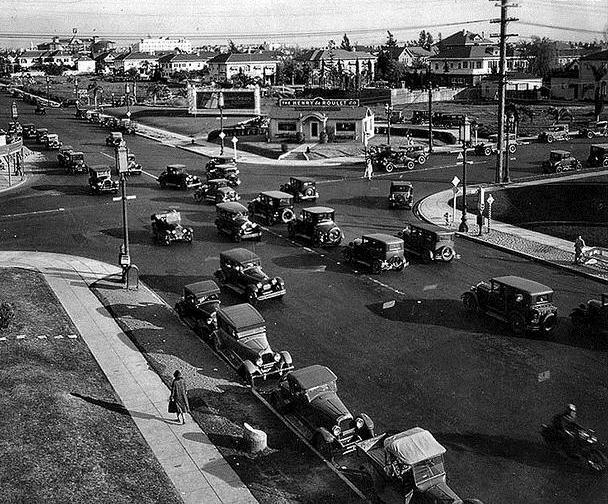 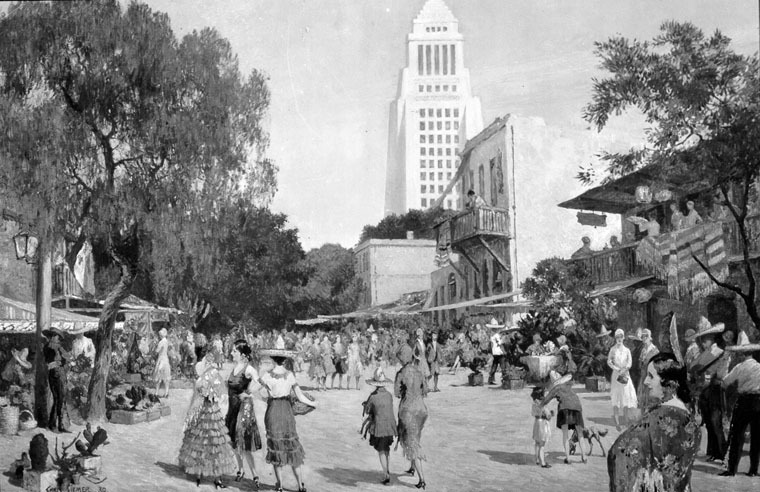 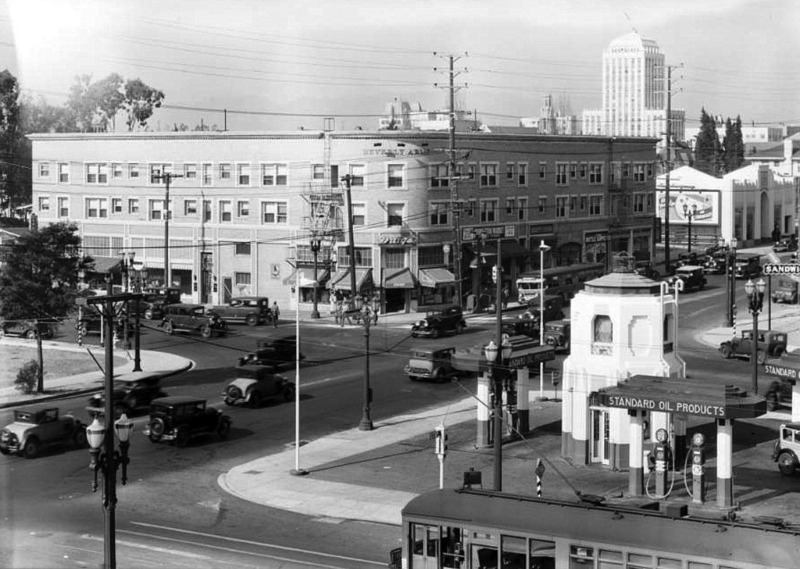 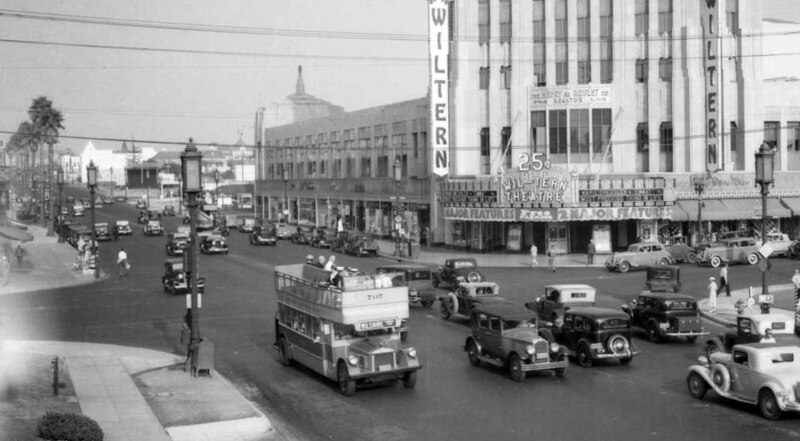 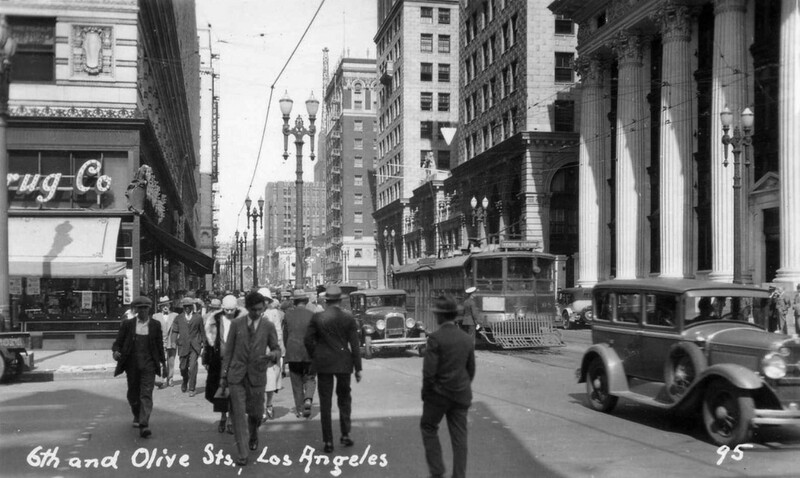 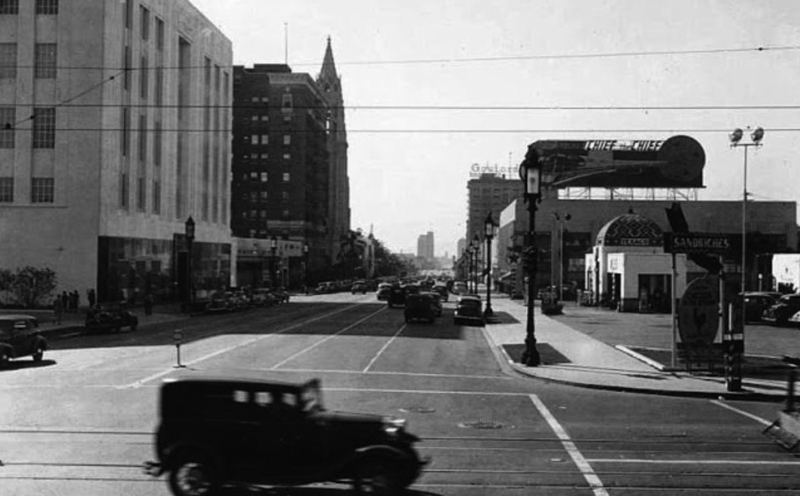 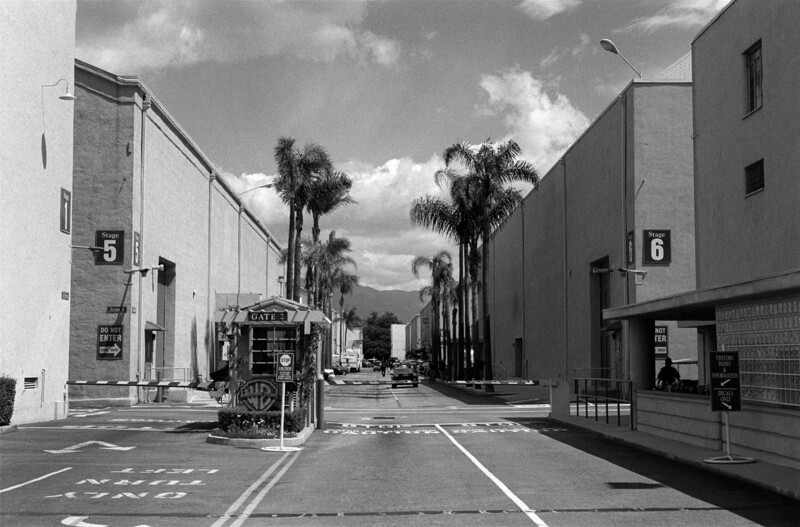 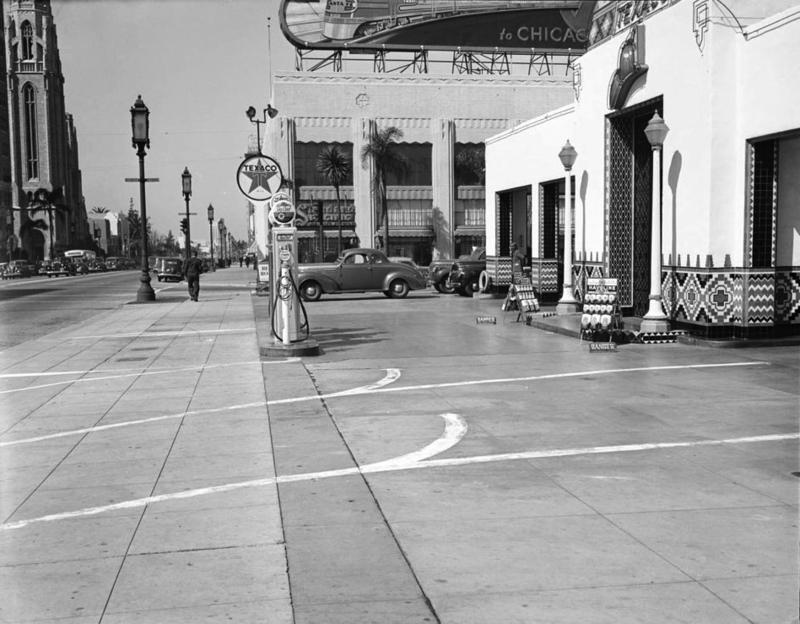 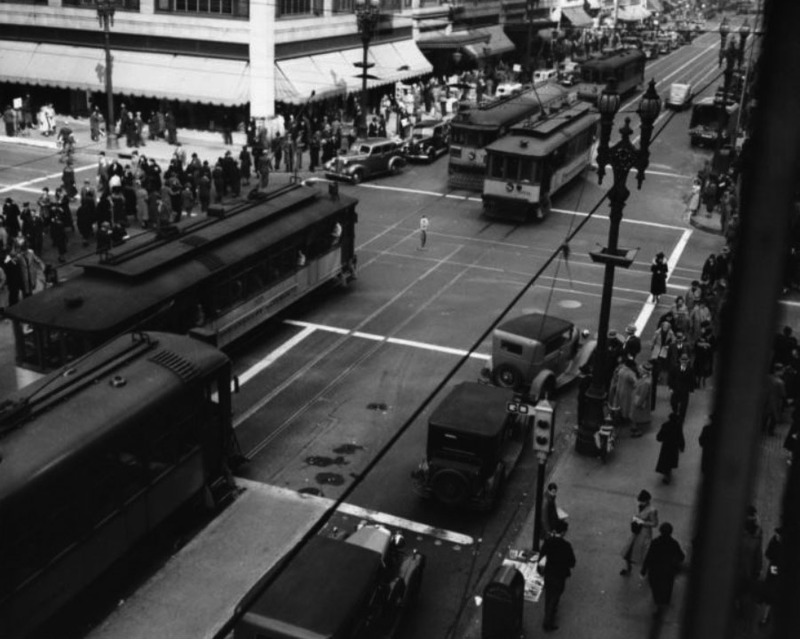 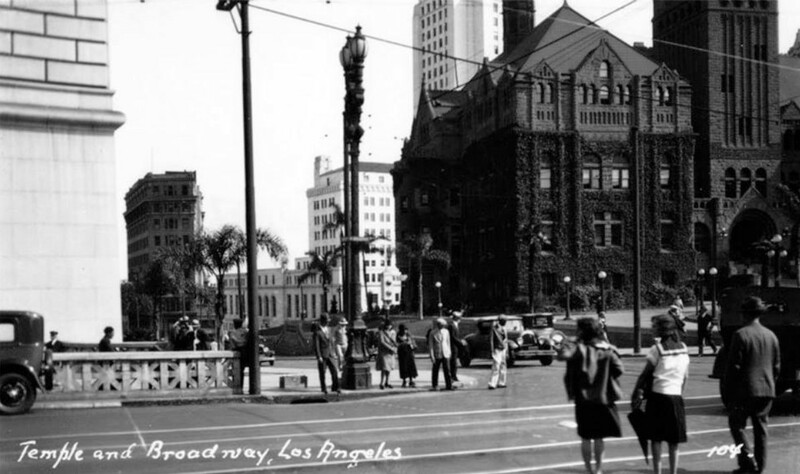 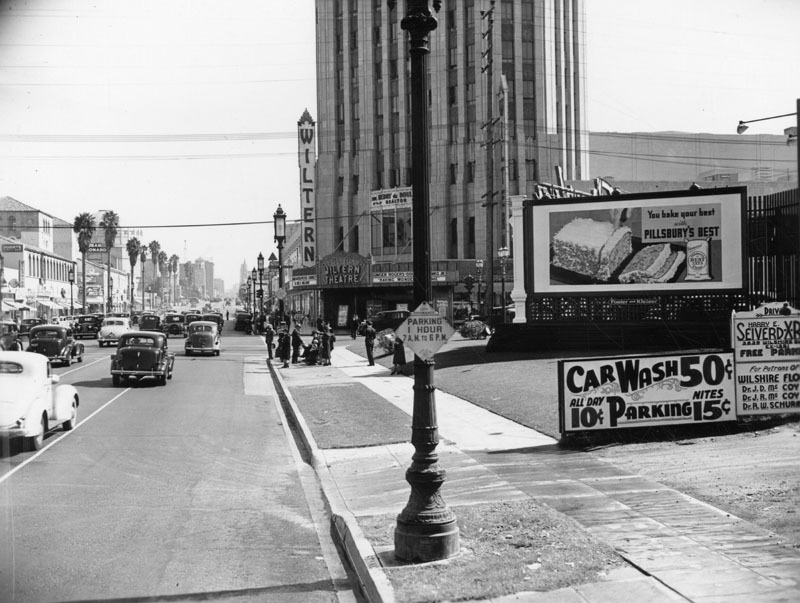 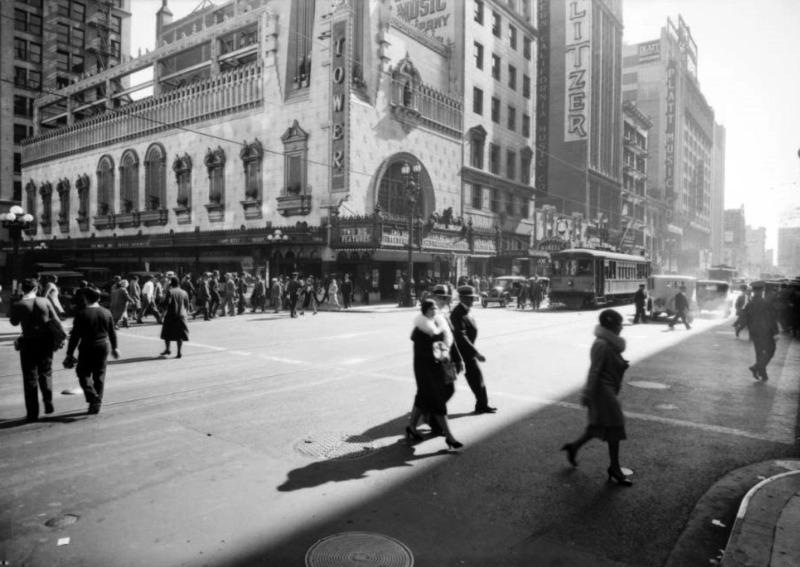 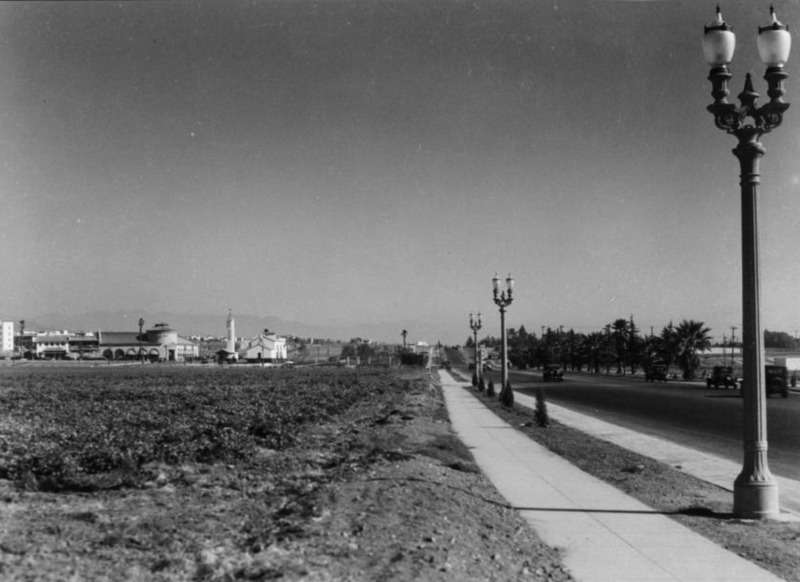 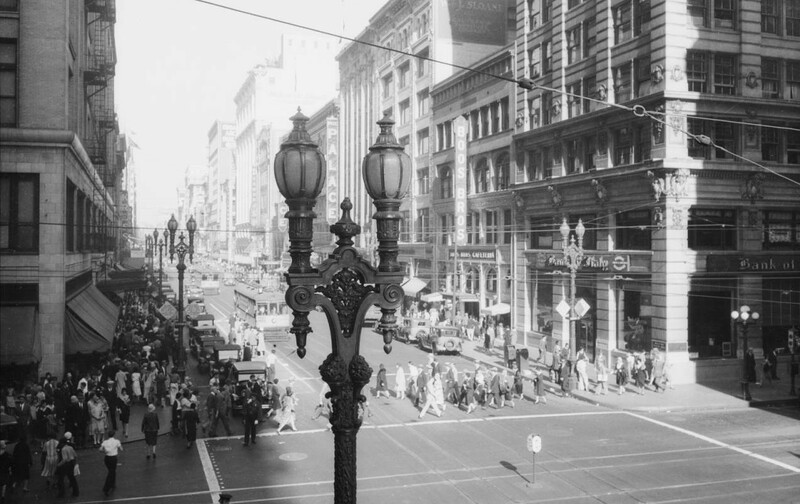 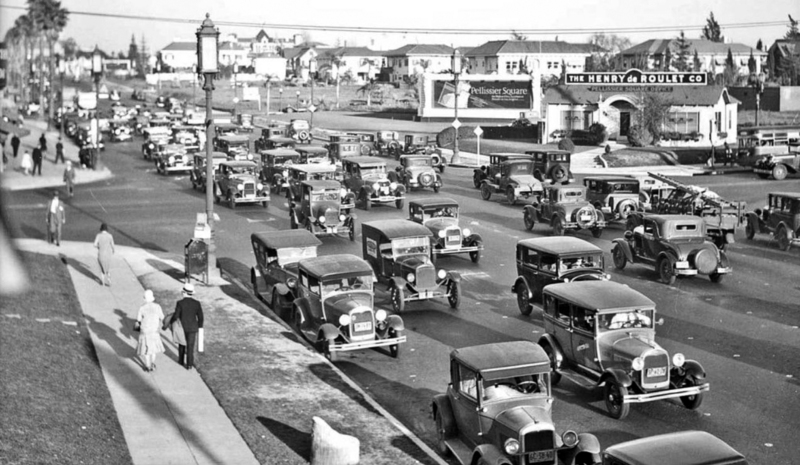 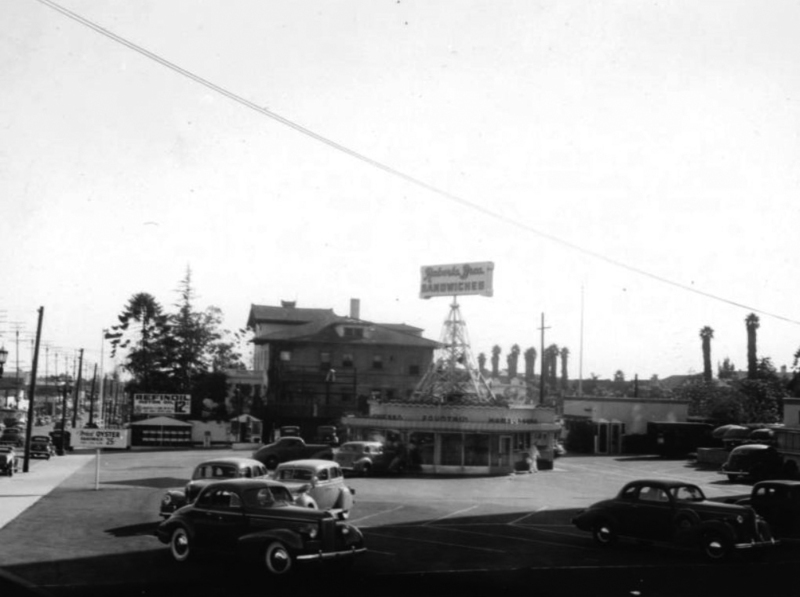 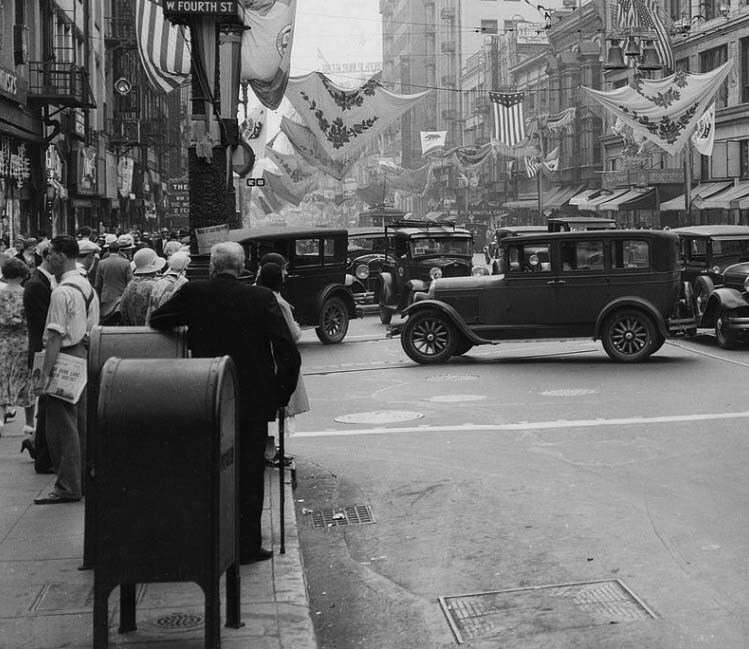 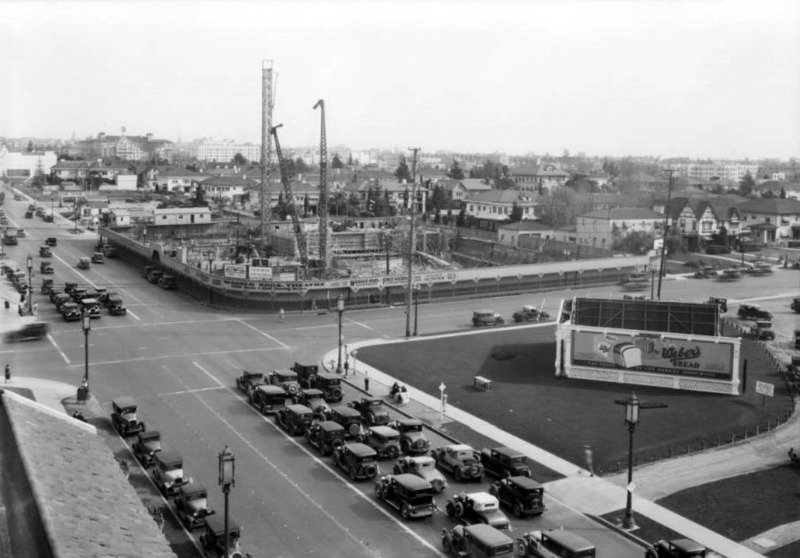 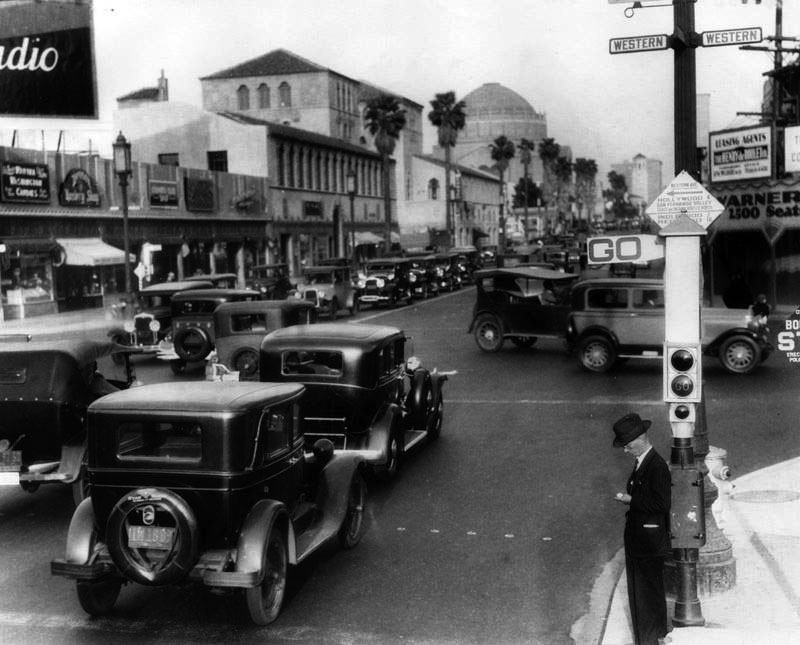 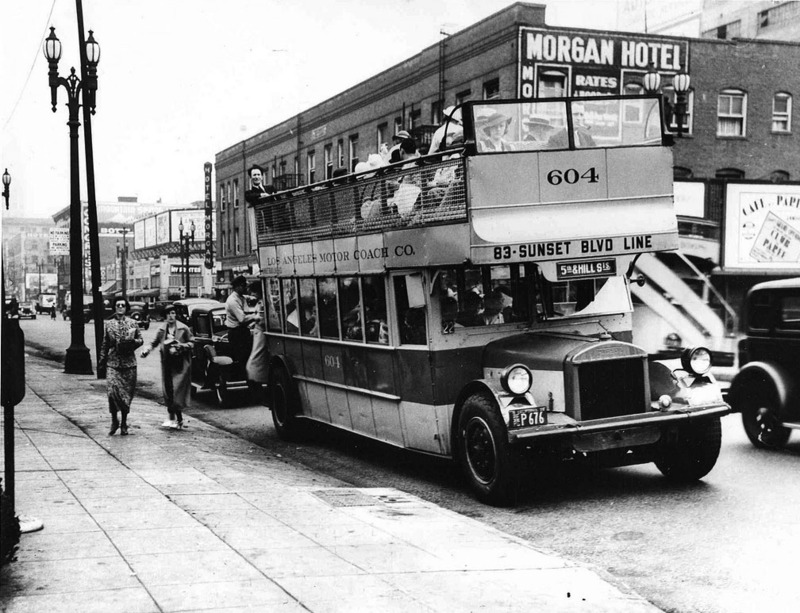 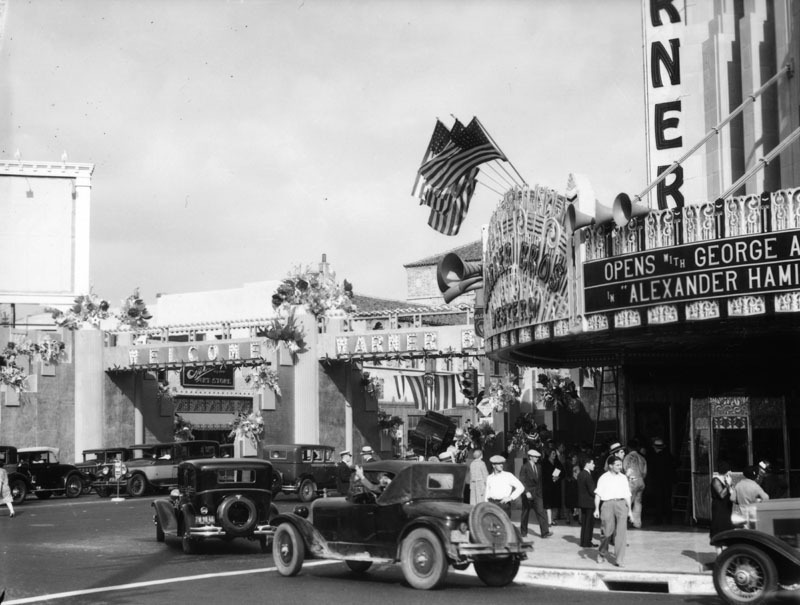 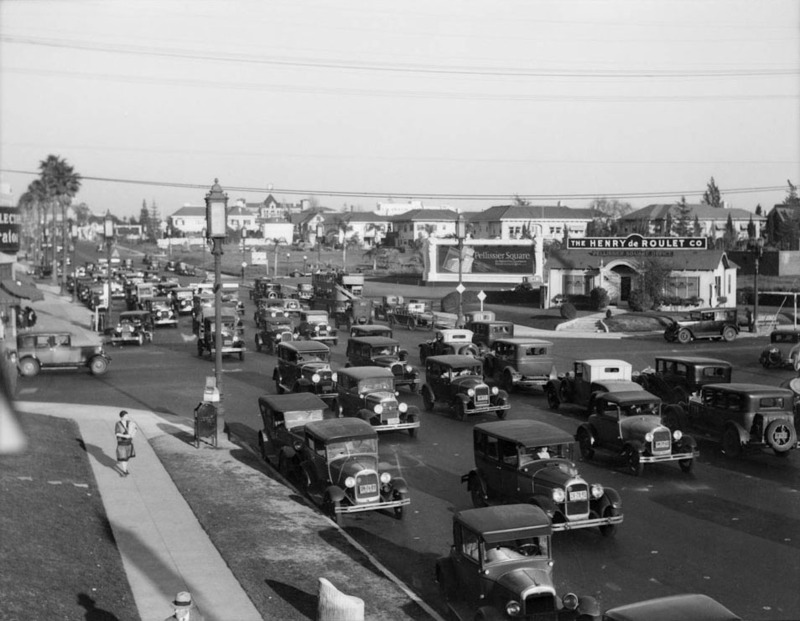 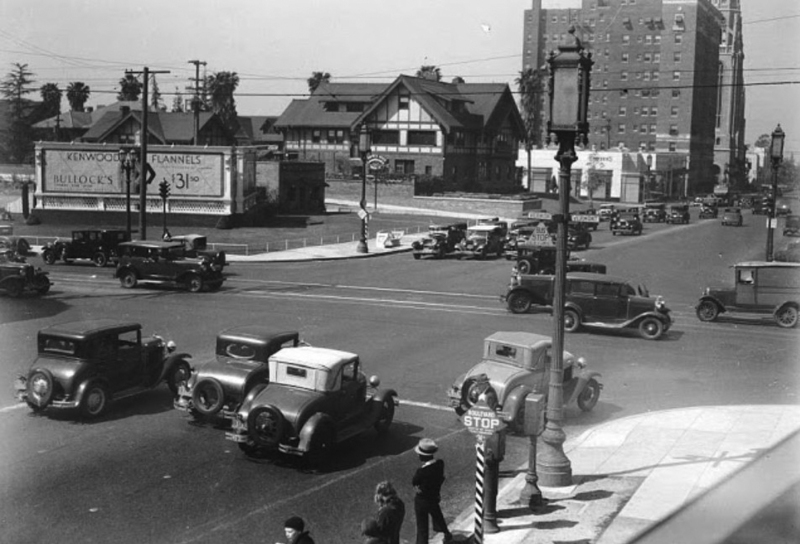 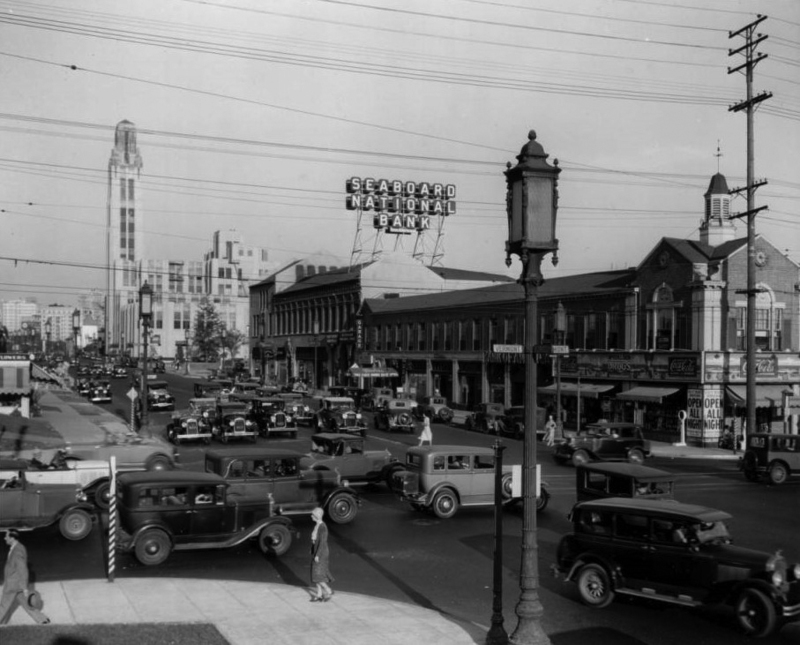 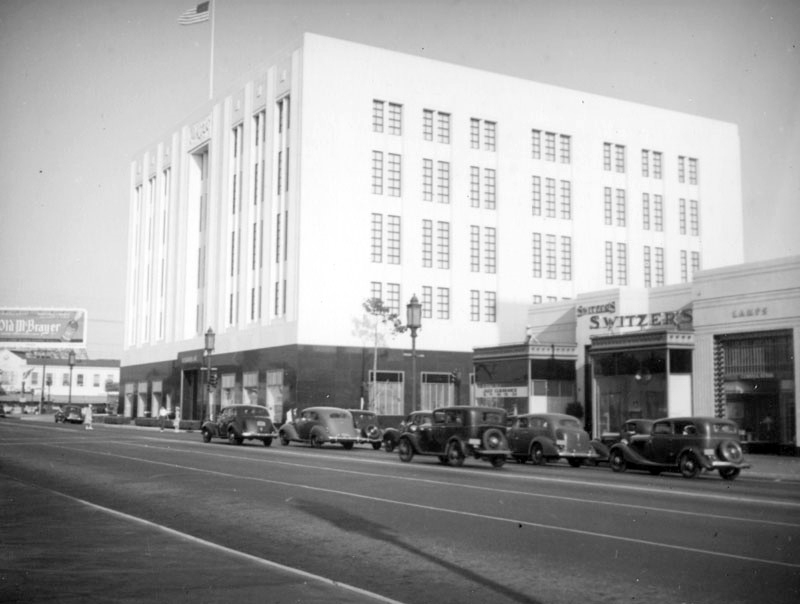 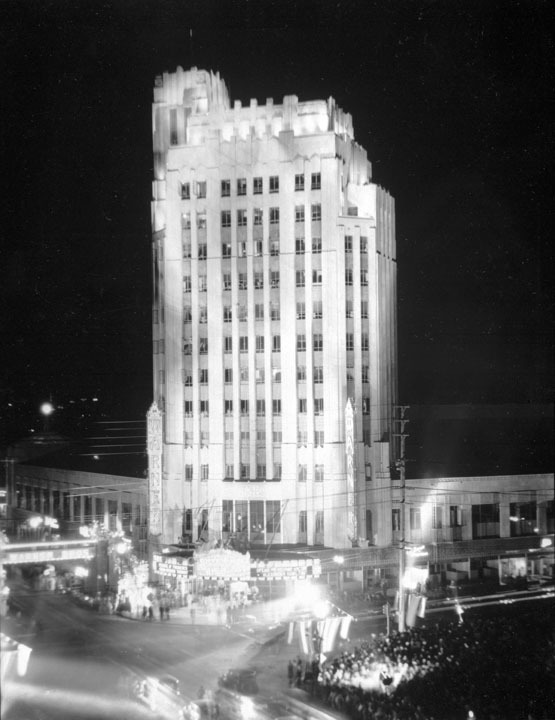 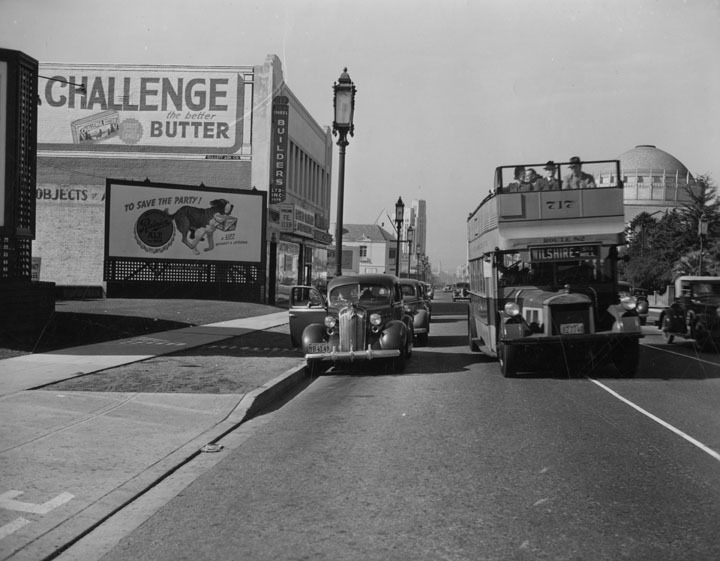 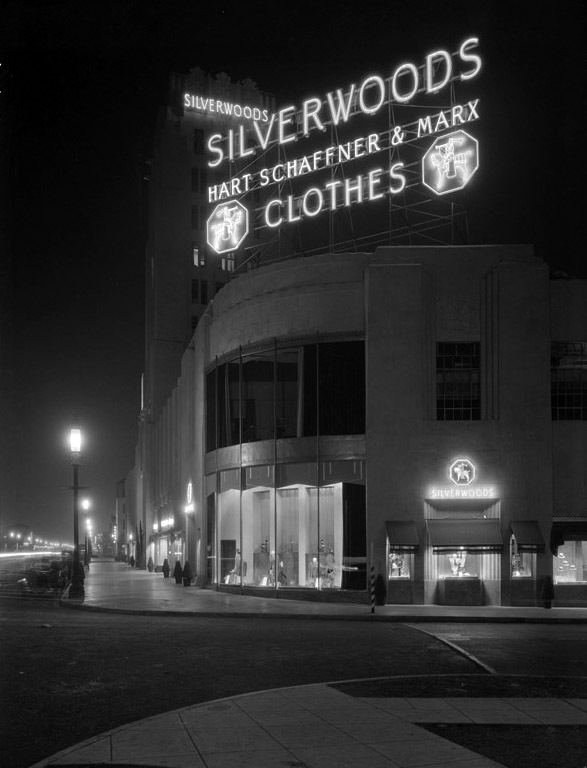 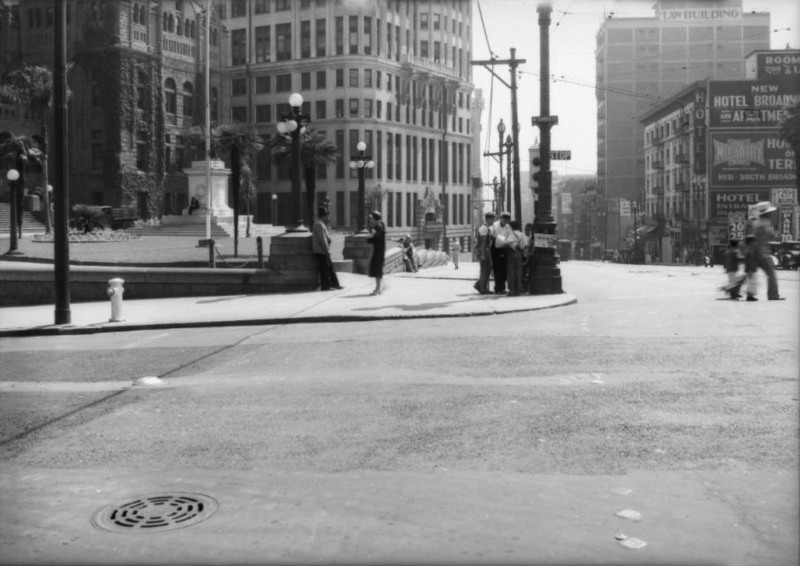 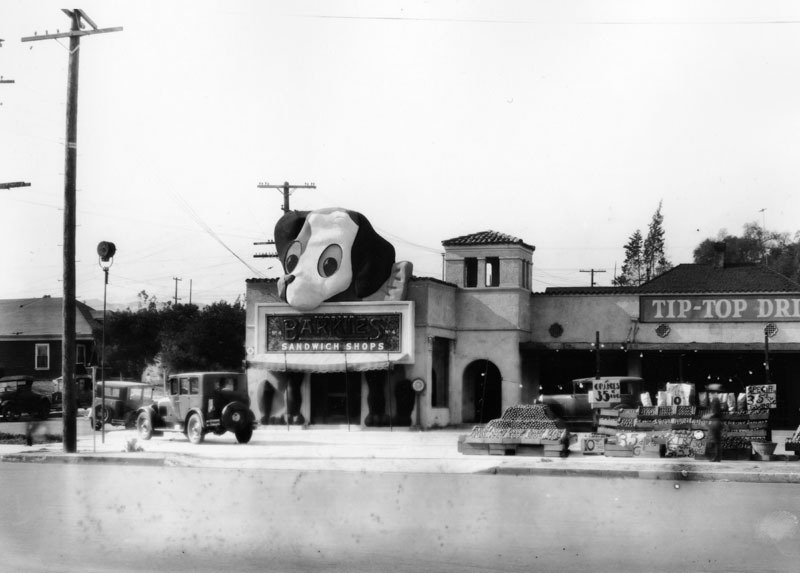 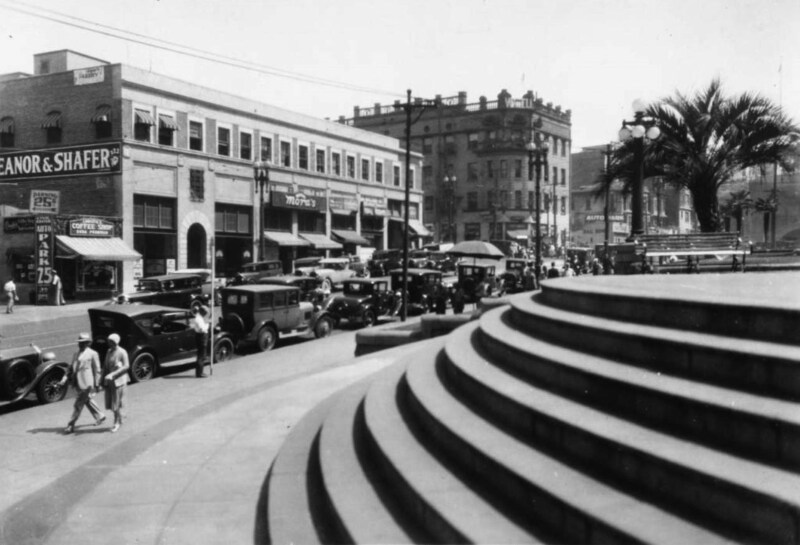 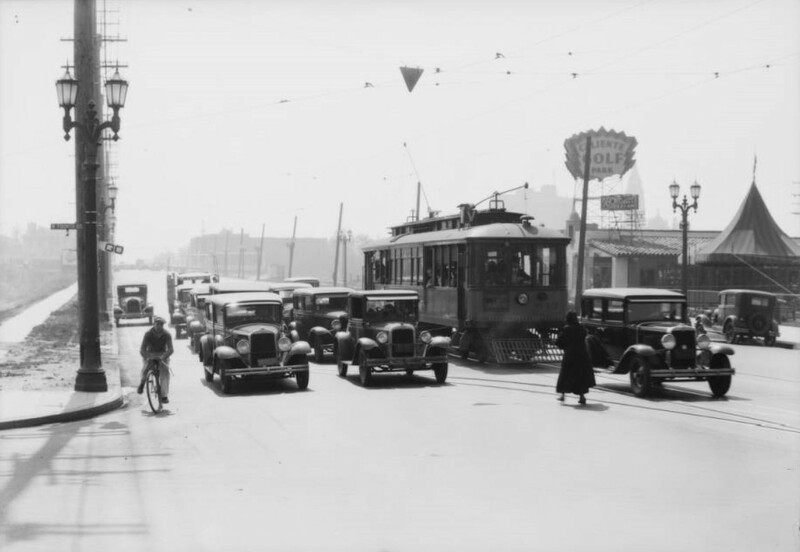 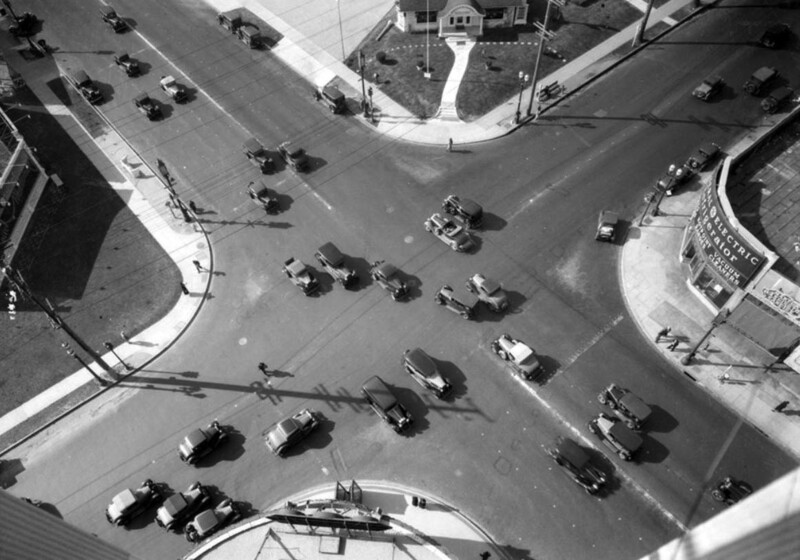 1936)*# – View looking east on Wilshire Boulevard from the corner of Vermont Avenue showing the bustling activity of cars and pedestrians at the intersection. 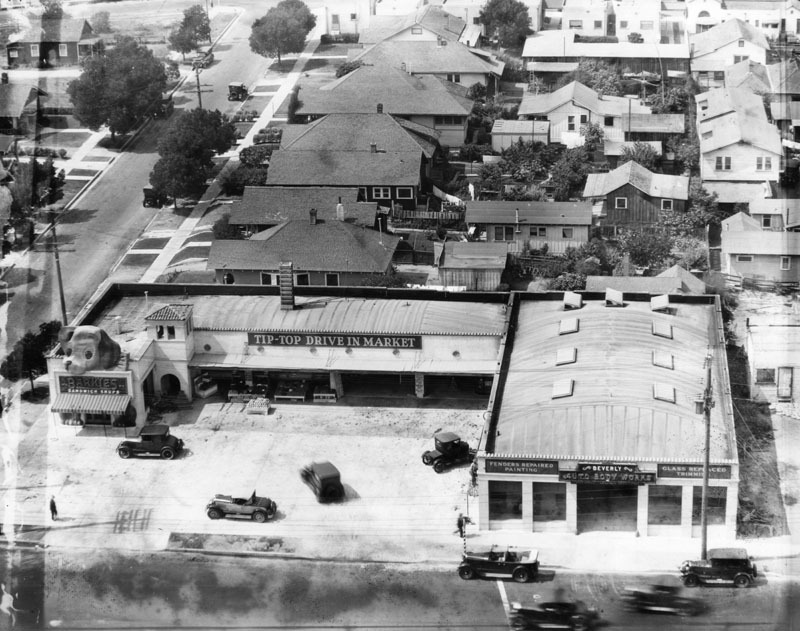 The Villa Florist Shop is seen on left. 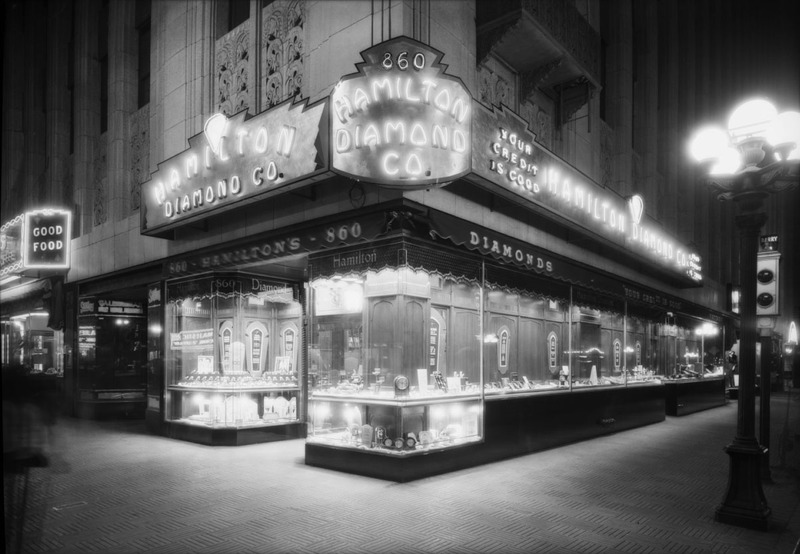 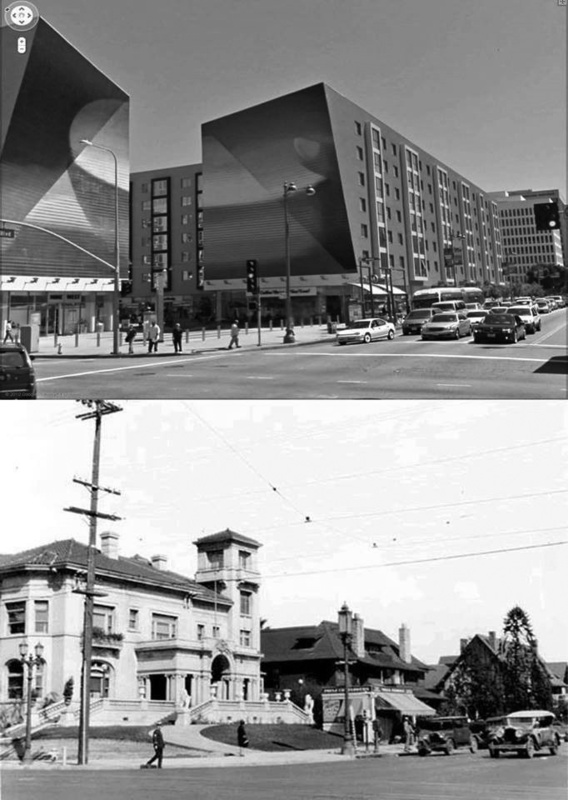 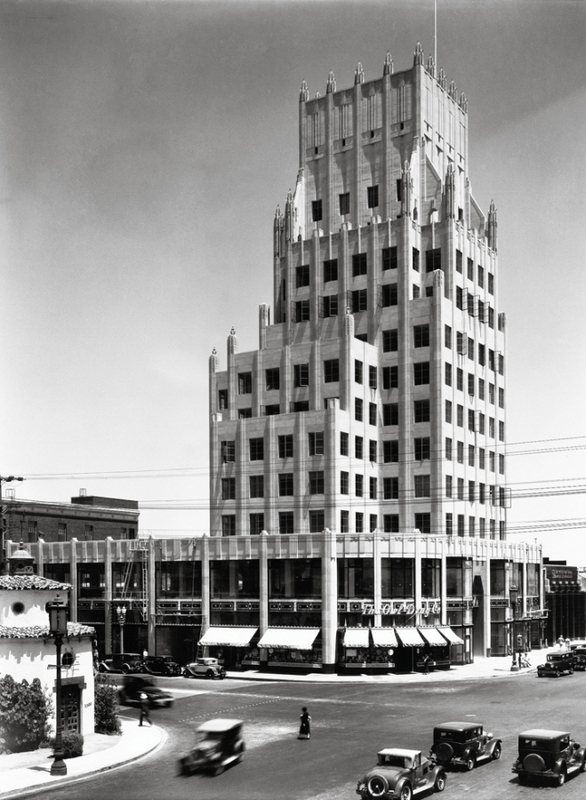 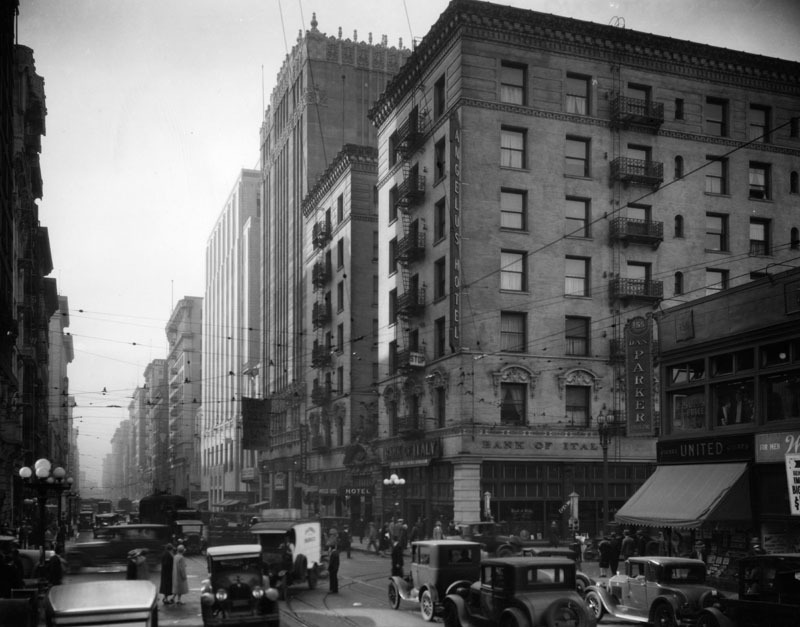 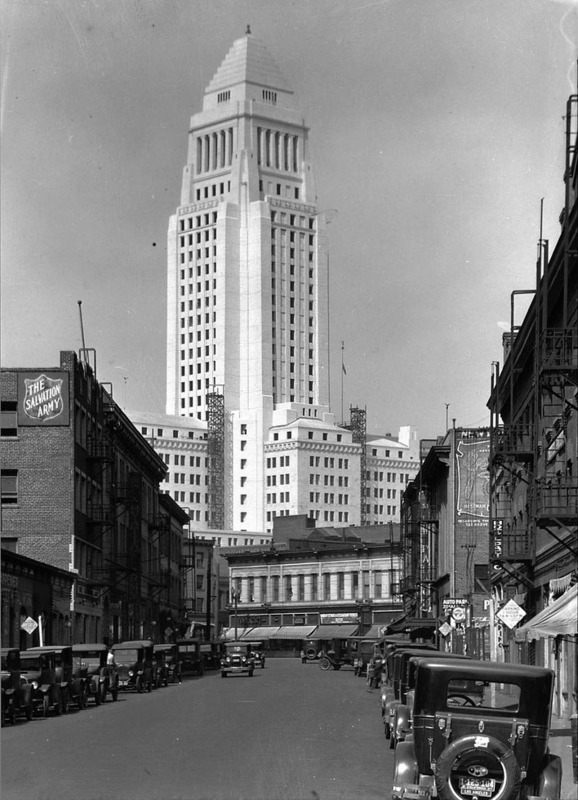 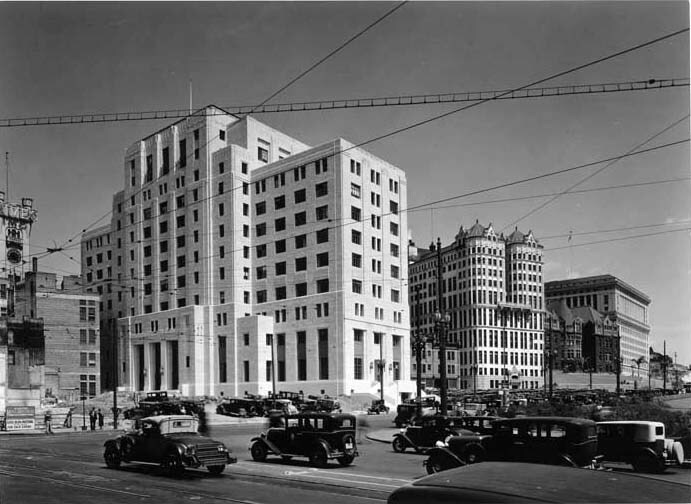 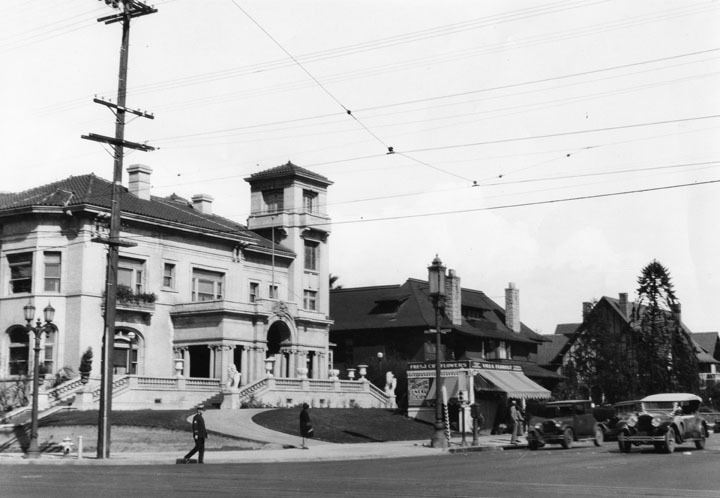 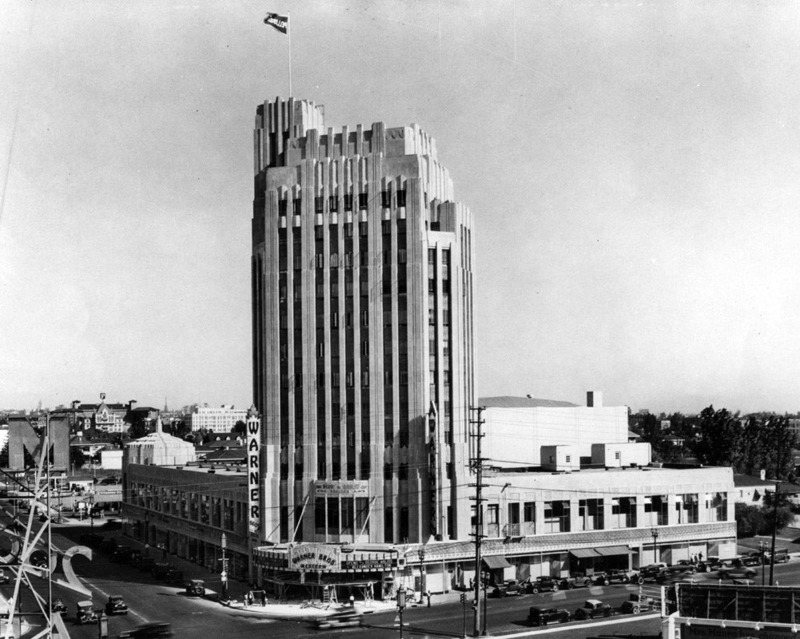 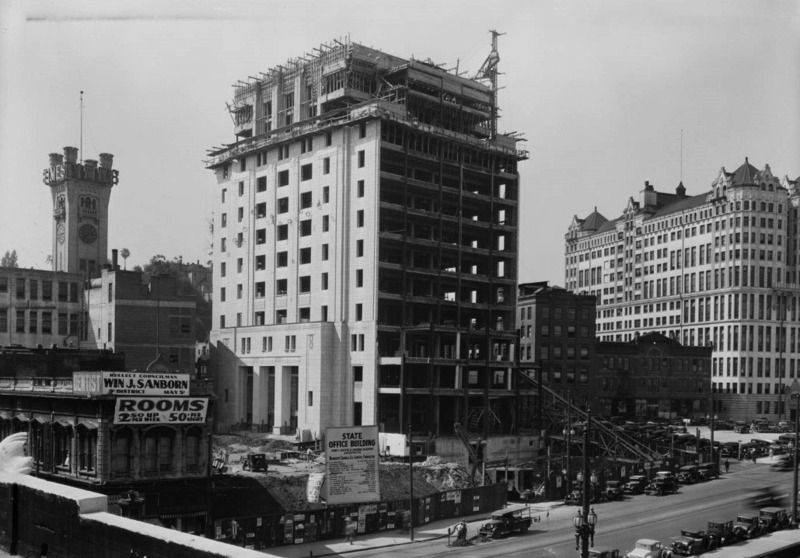 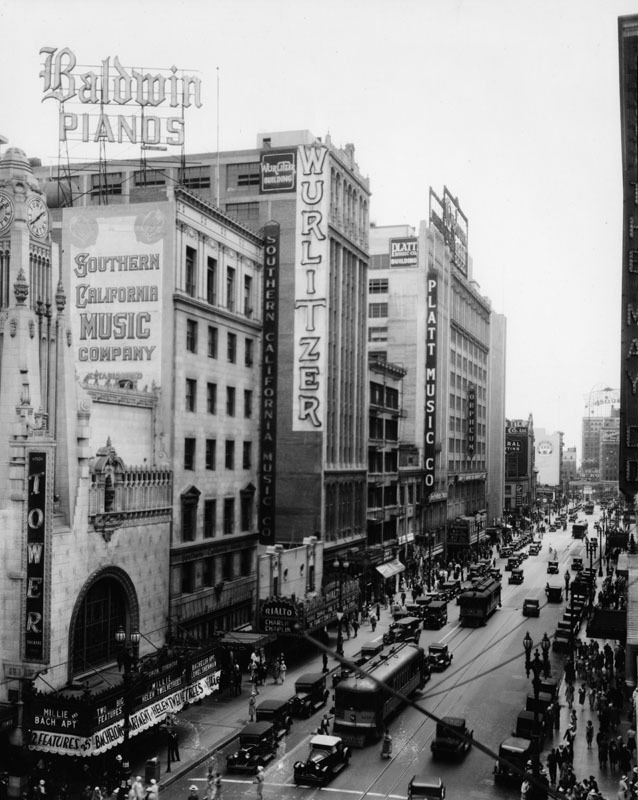 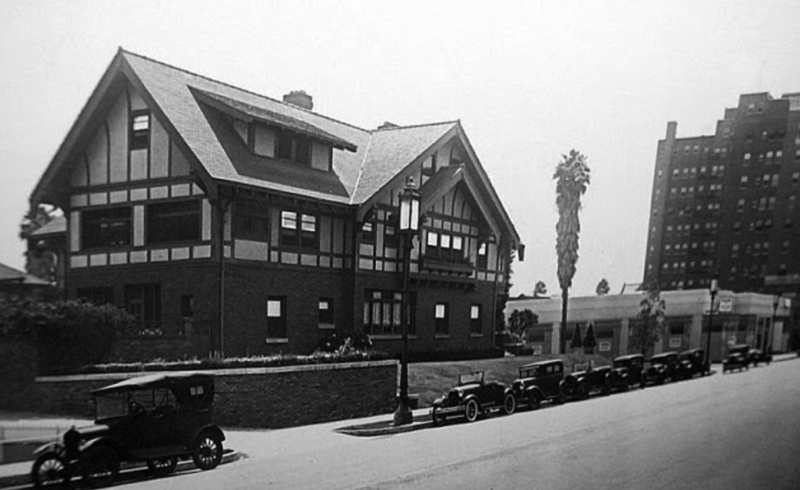 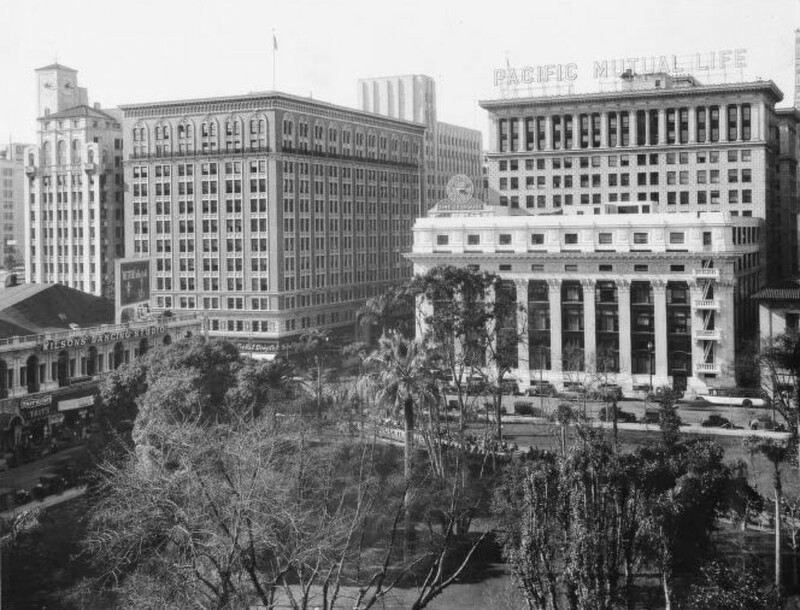 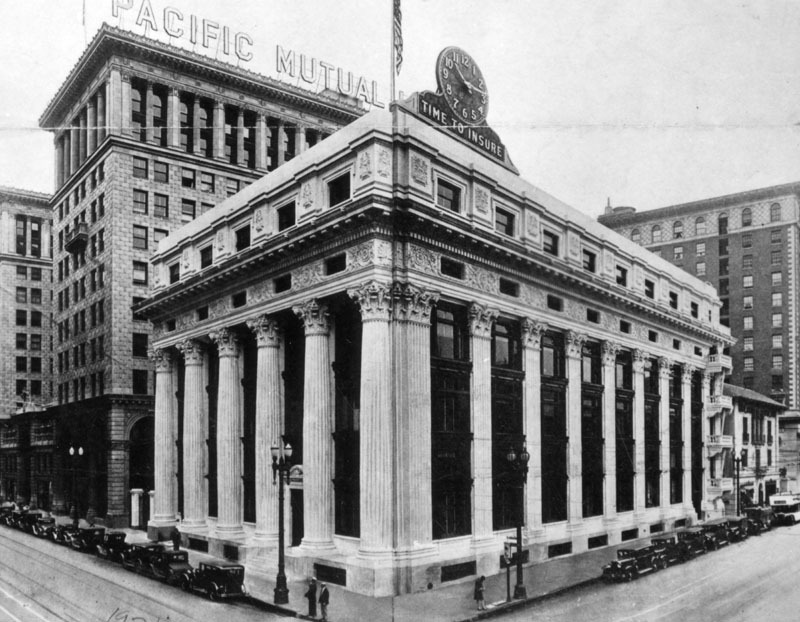 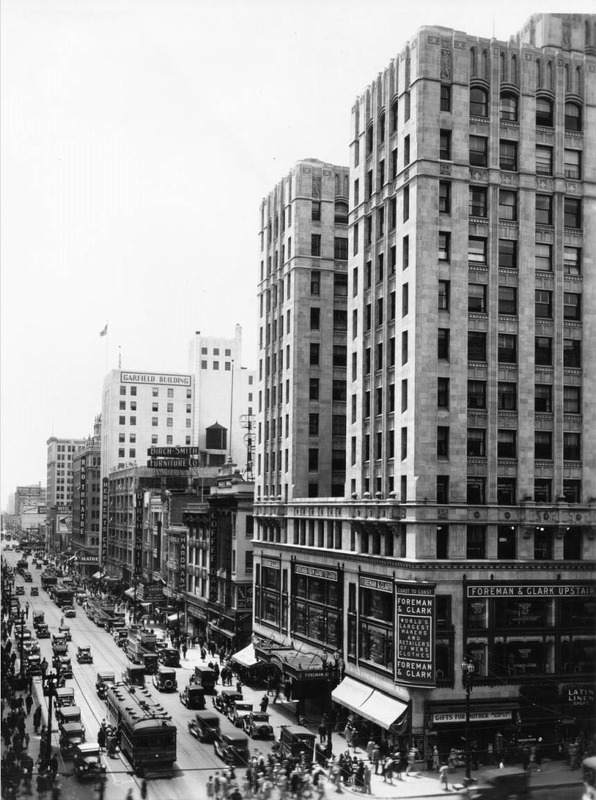 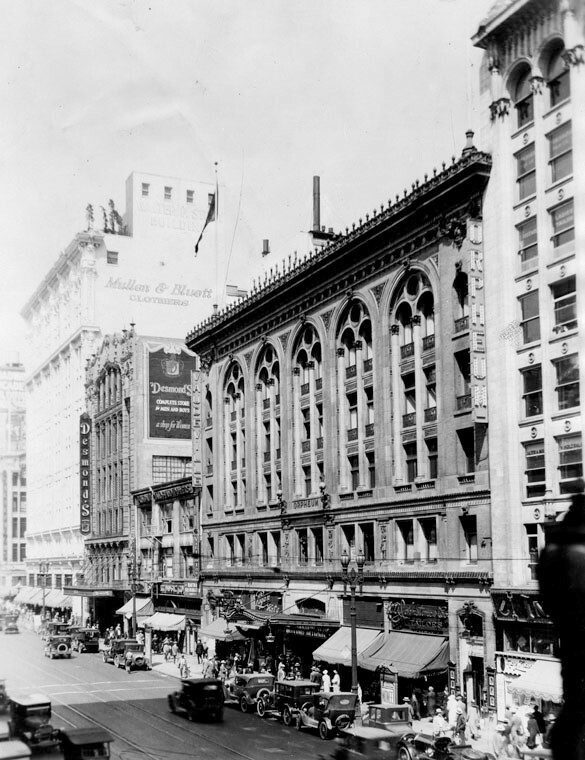 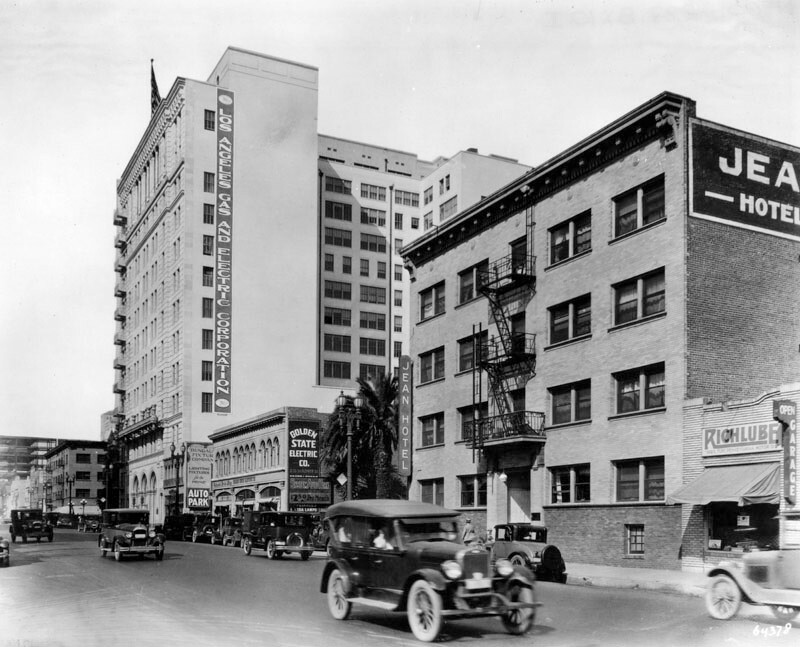 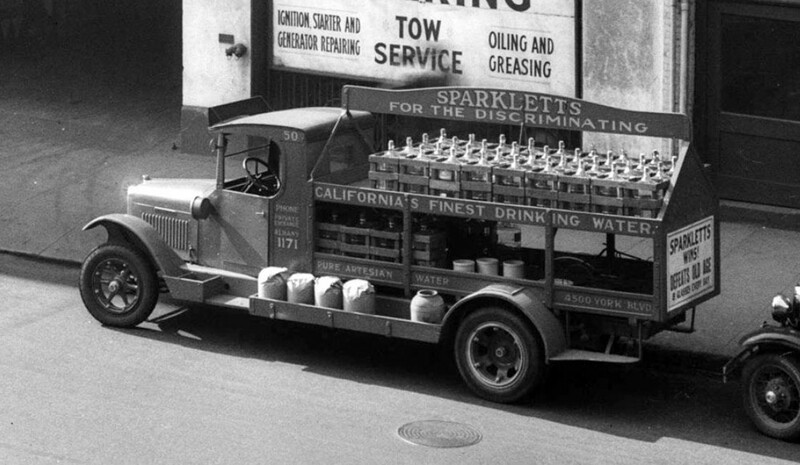 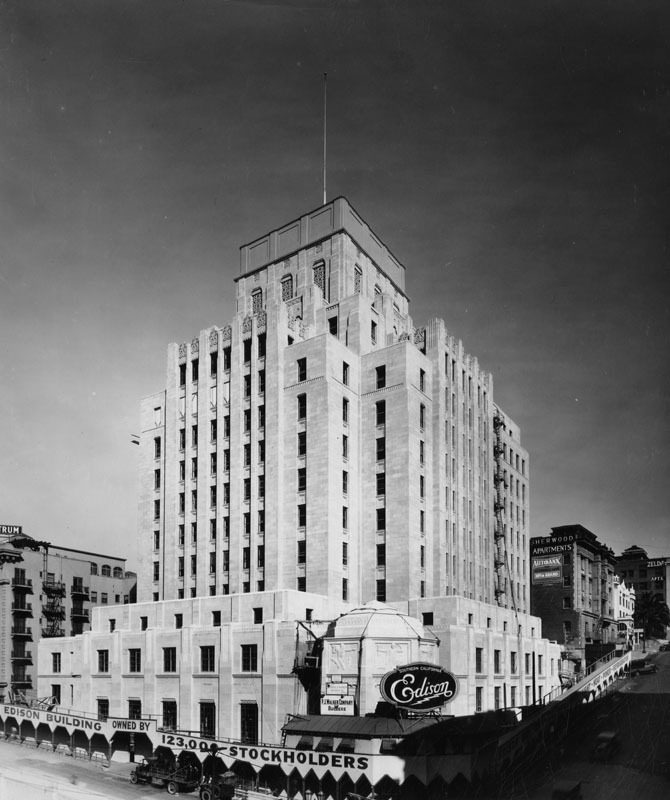 Seaboard National Bank is on the south side of Wilshire as well as the Bullock's Wilshire two blocks further east.